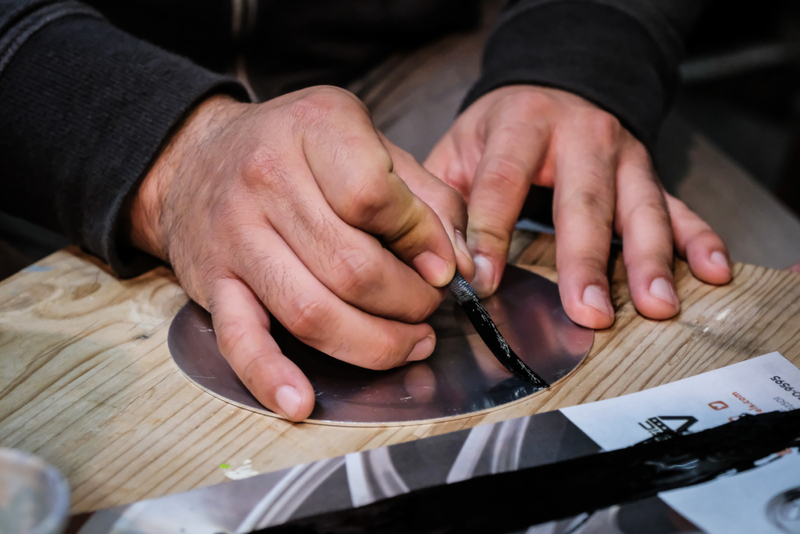 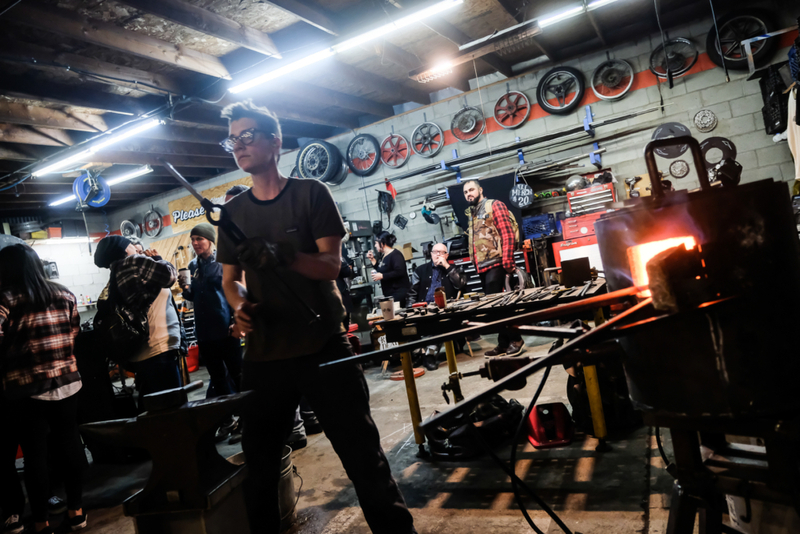 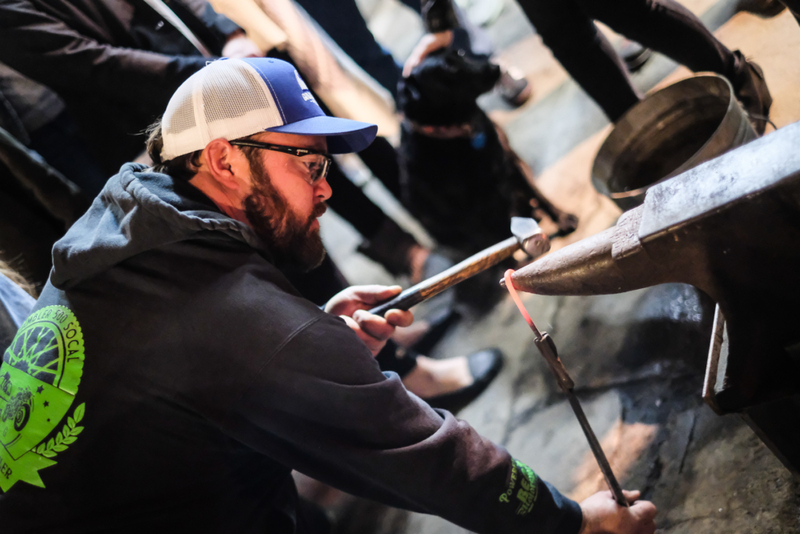 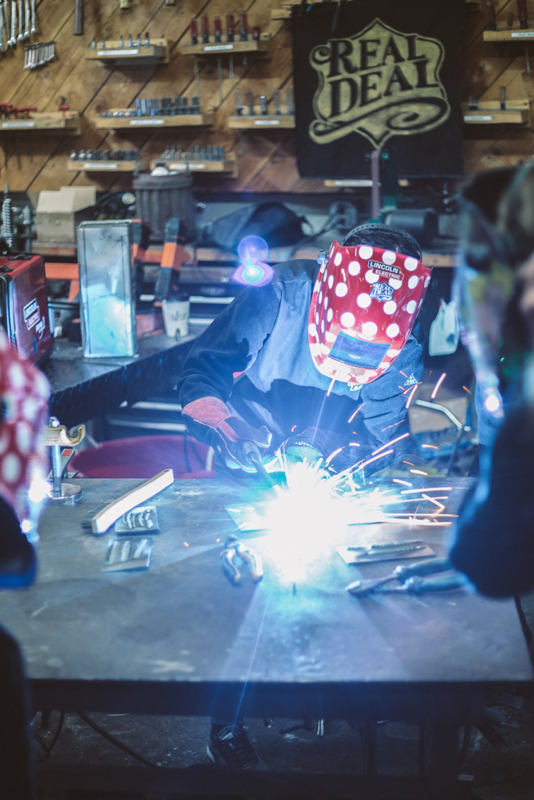 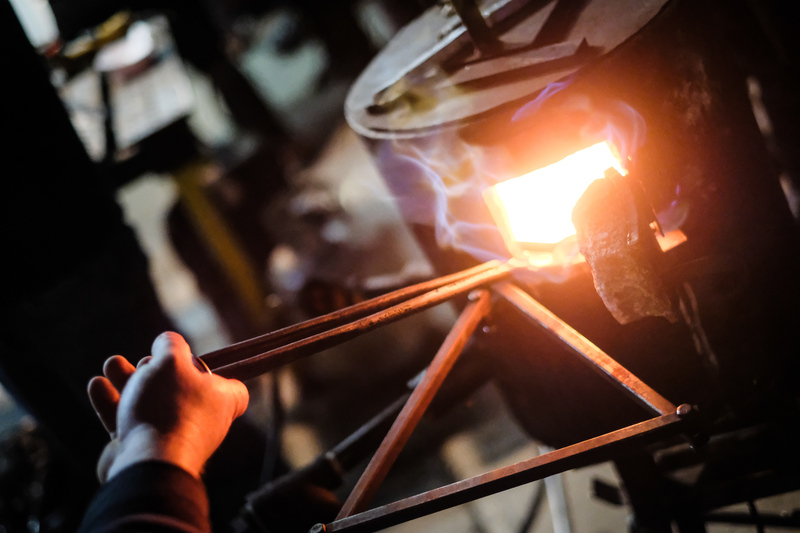 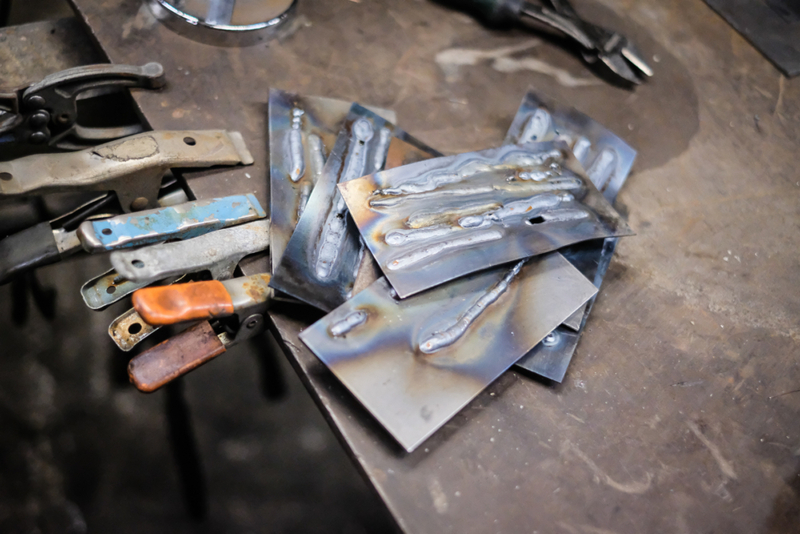 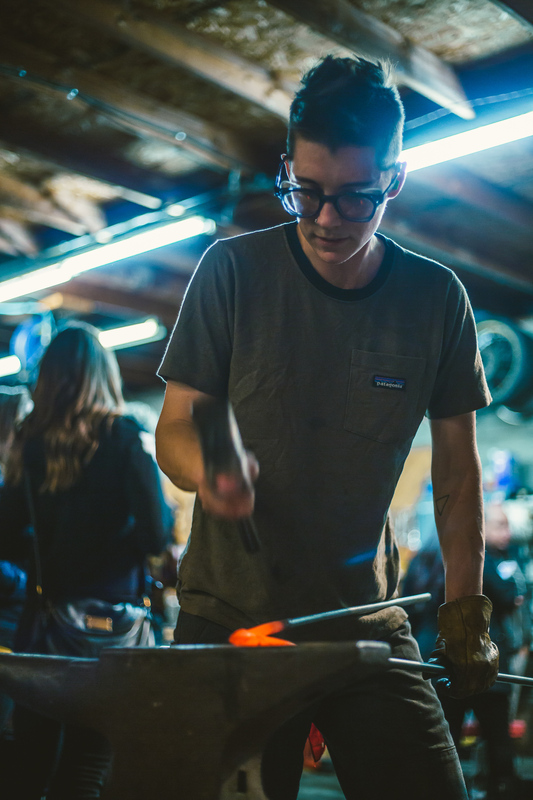 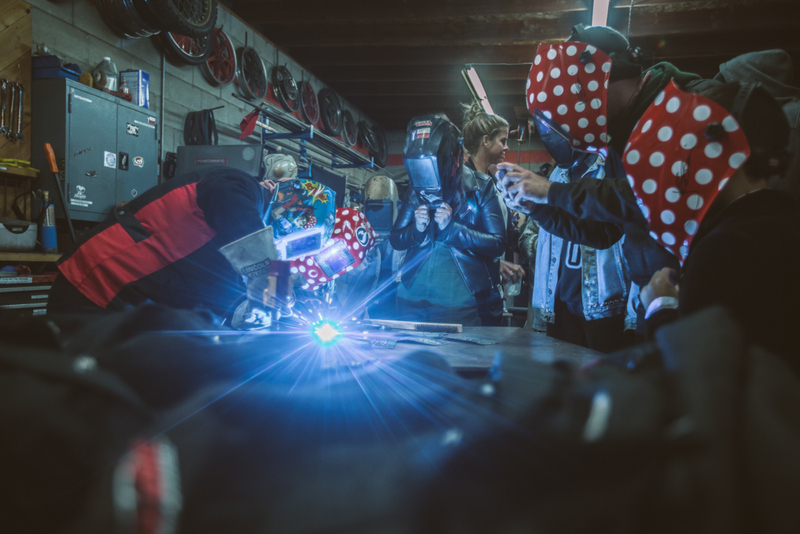 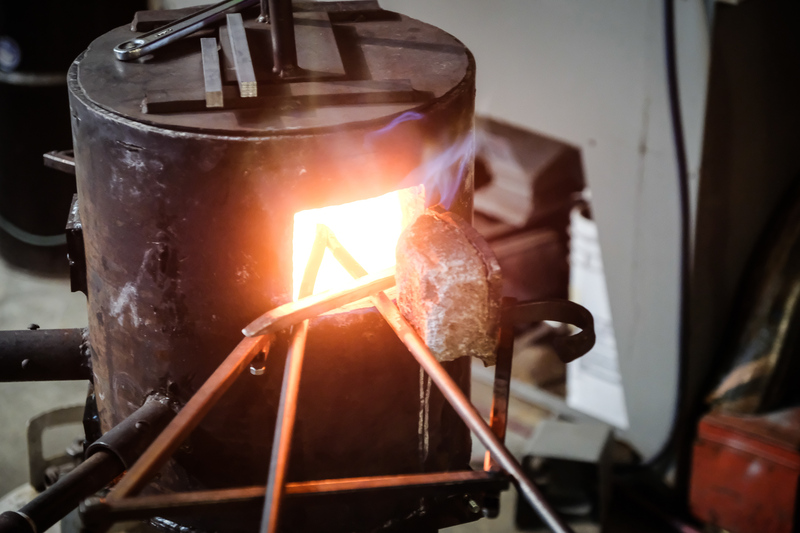 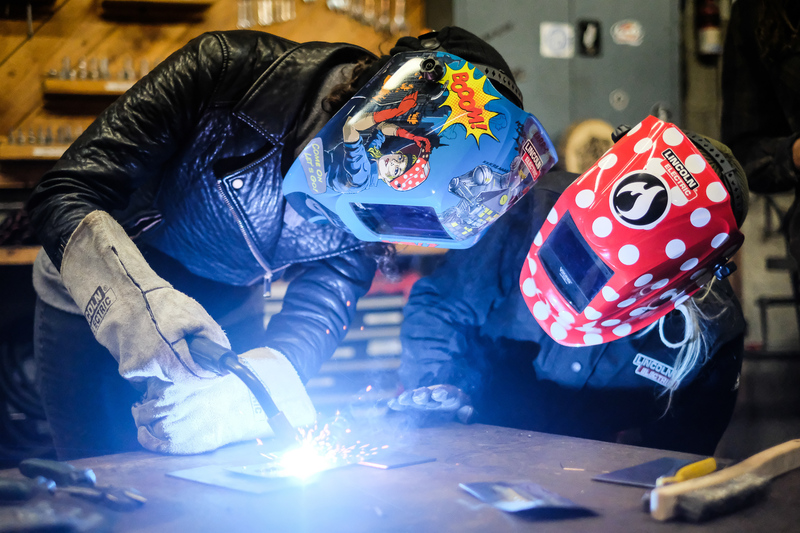 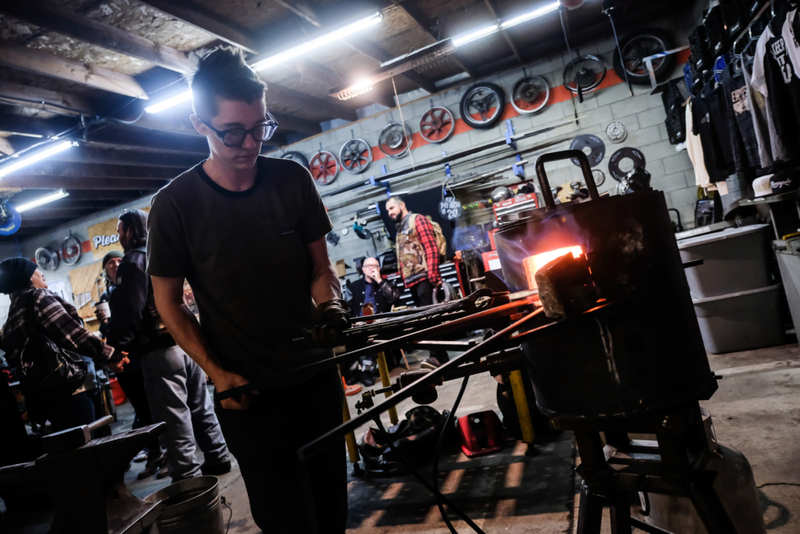 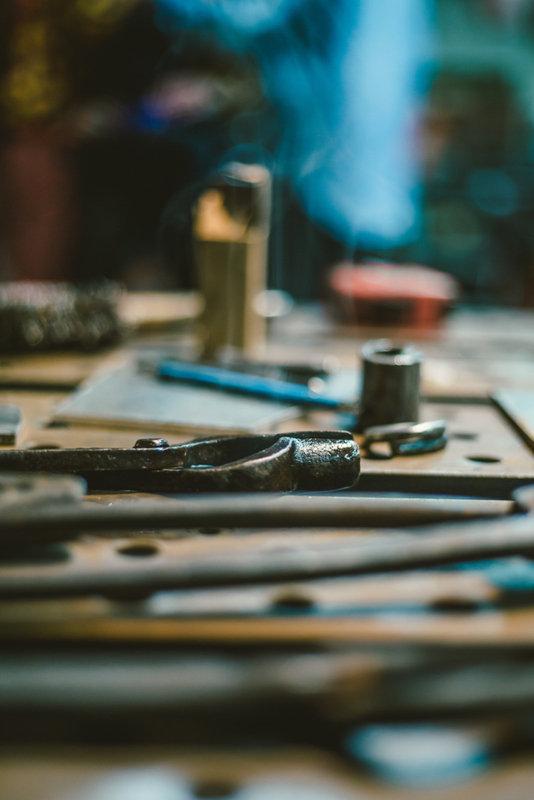 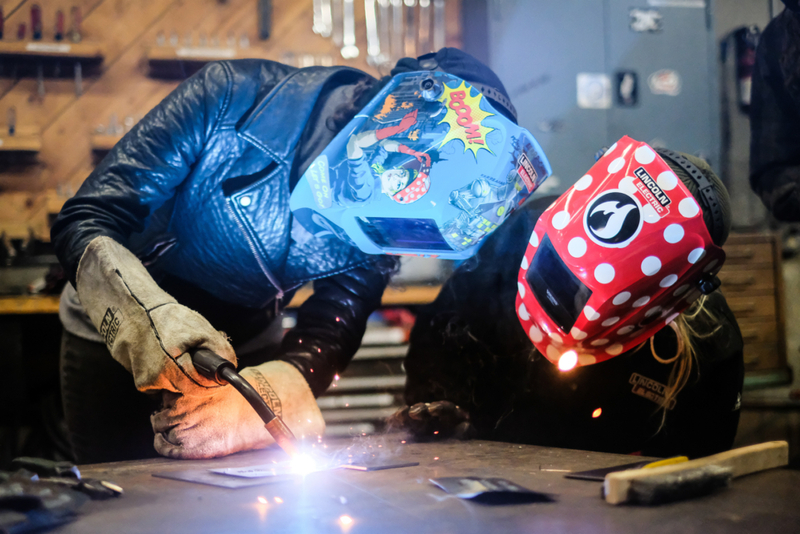 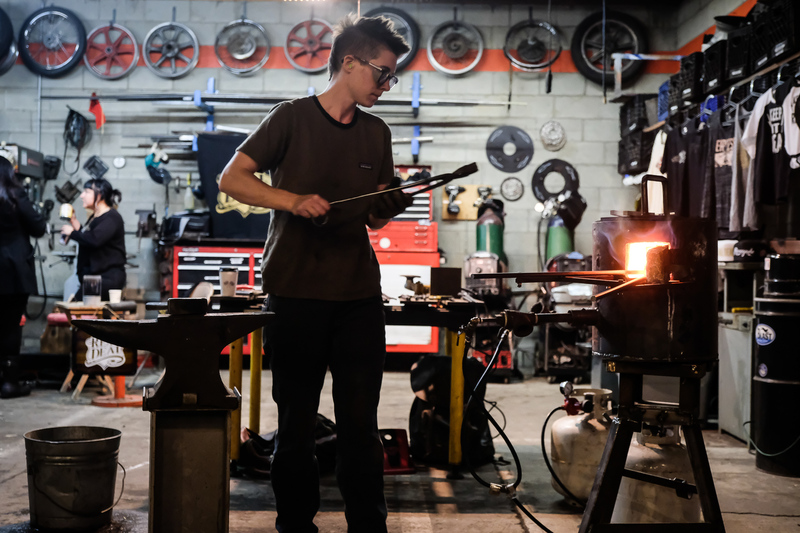 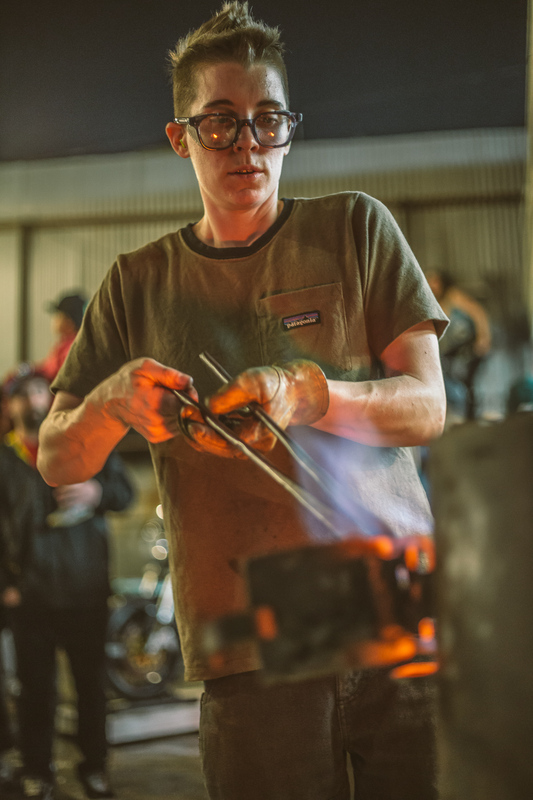 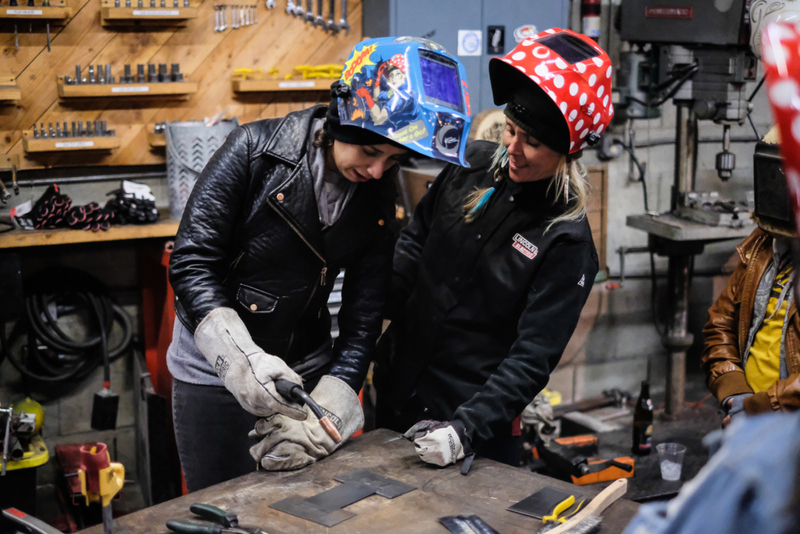 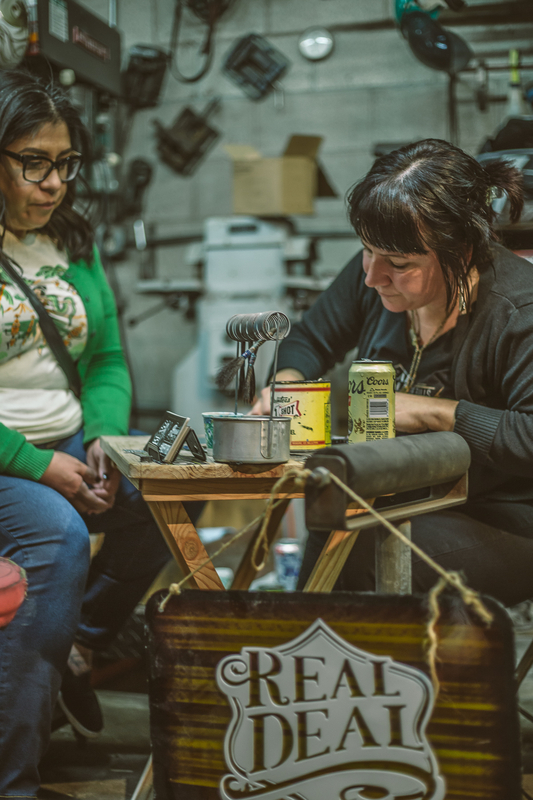 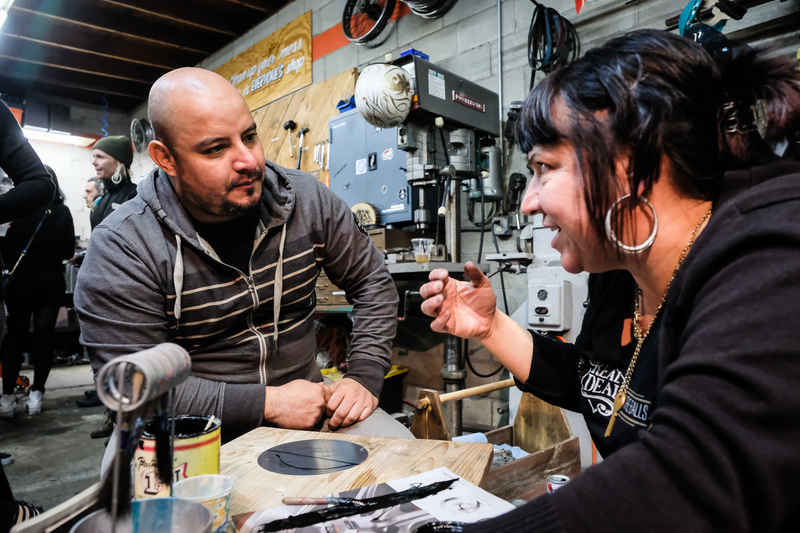 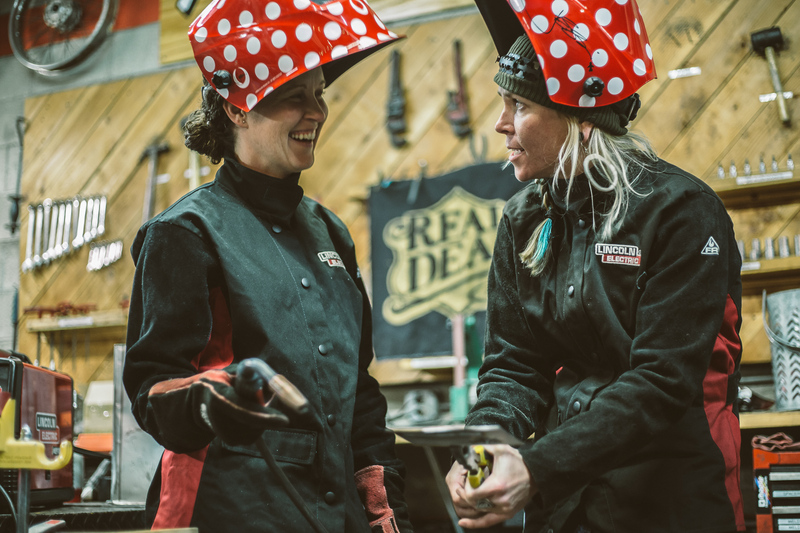 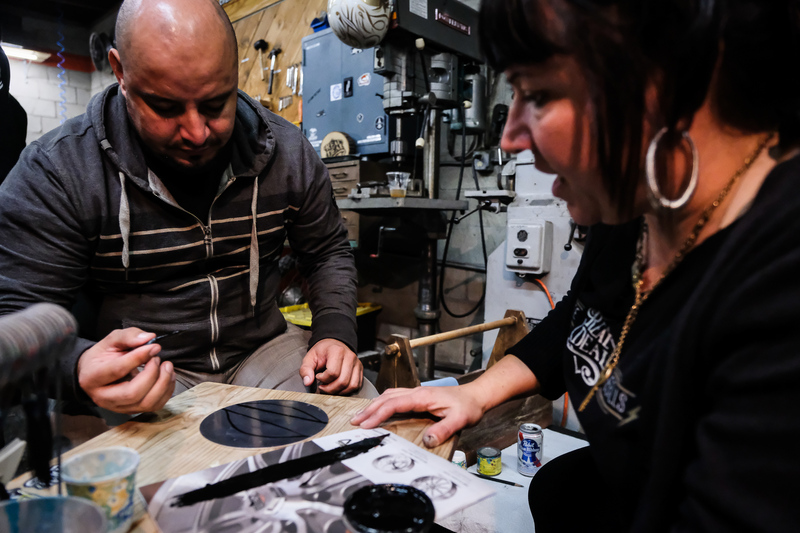 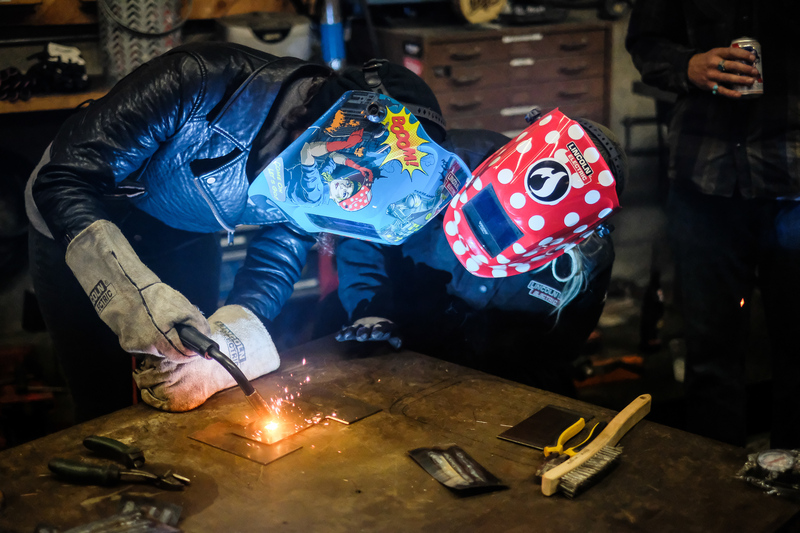 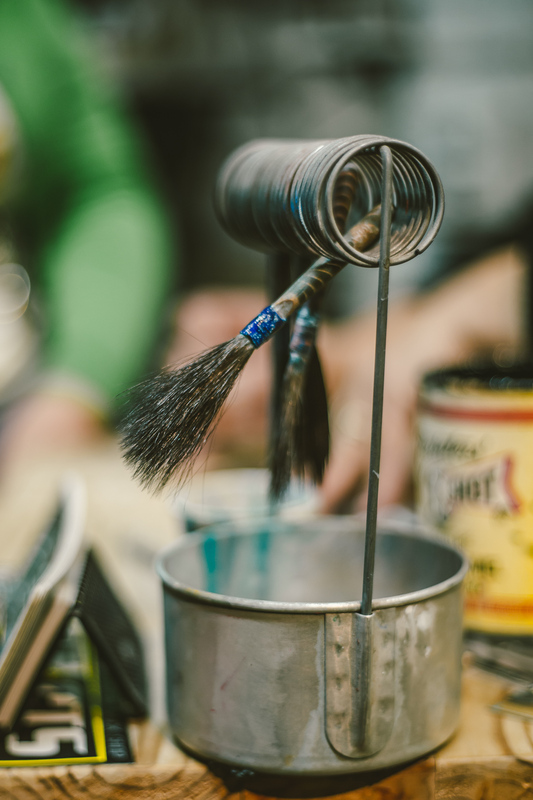 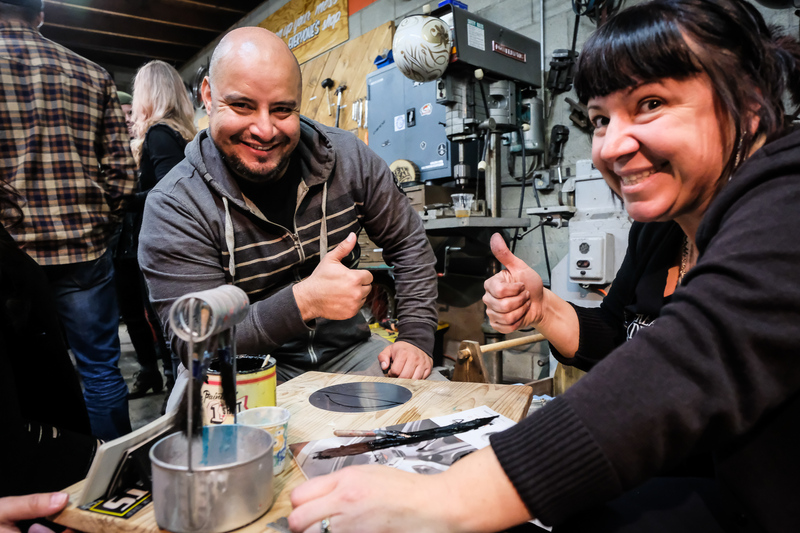 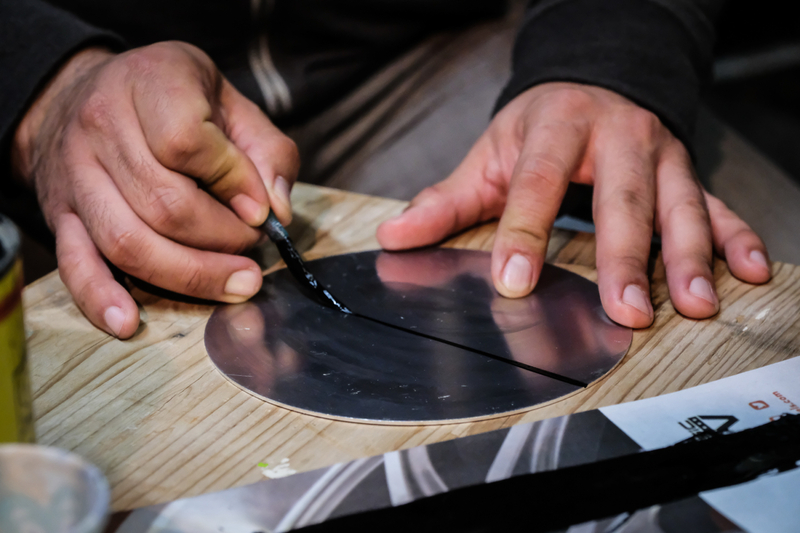 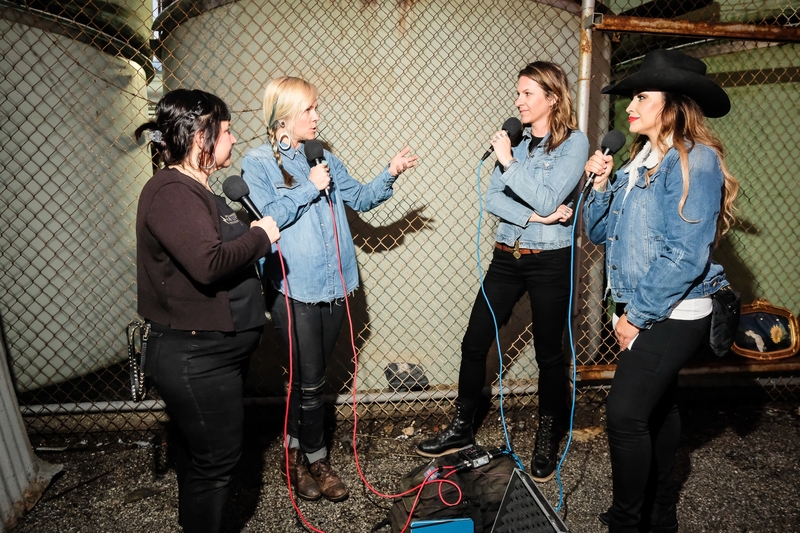 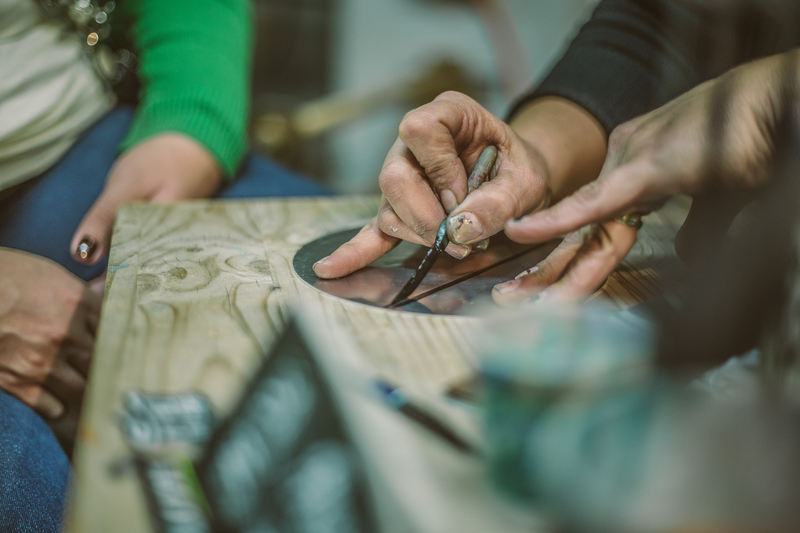 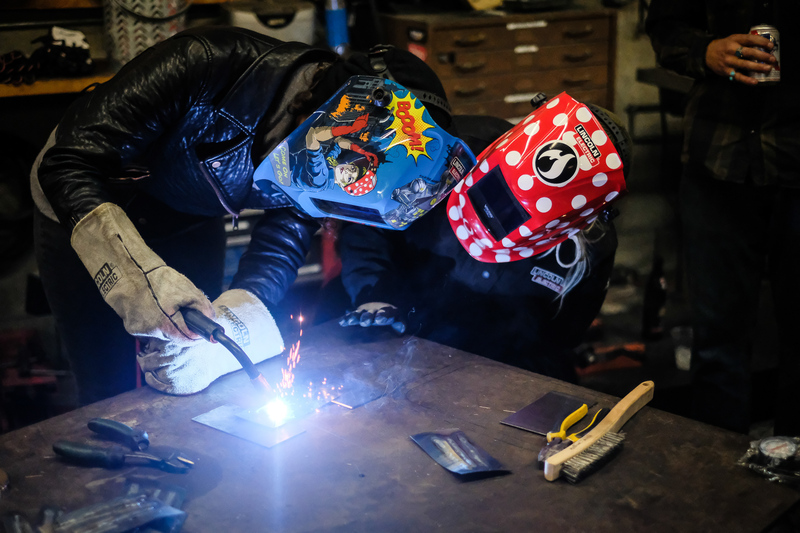 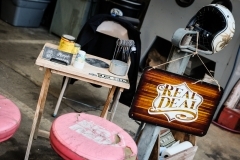 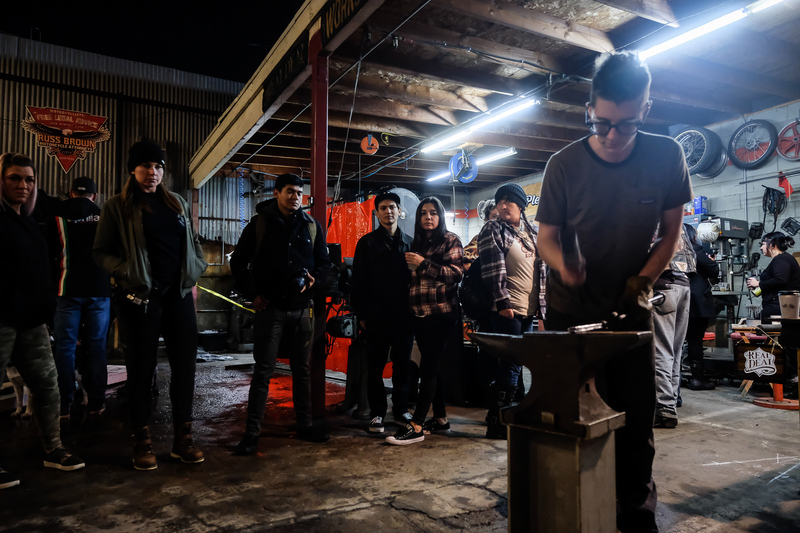 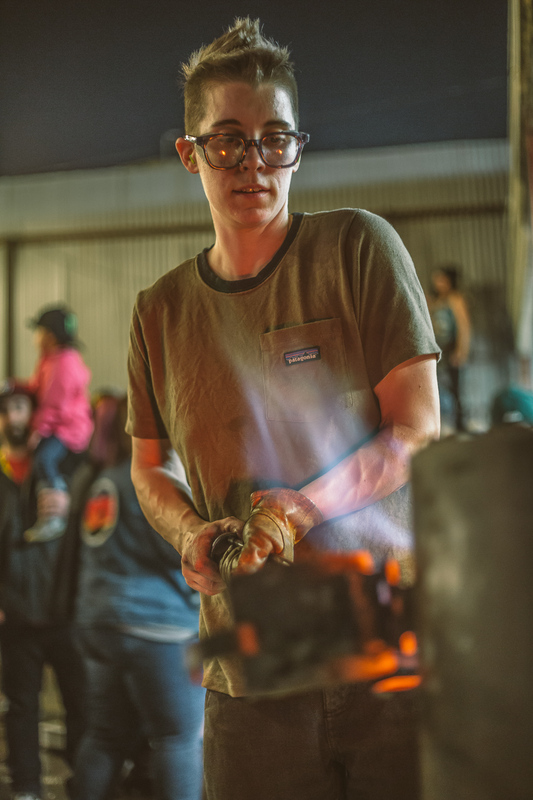 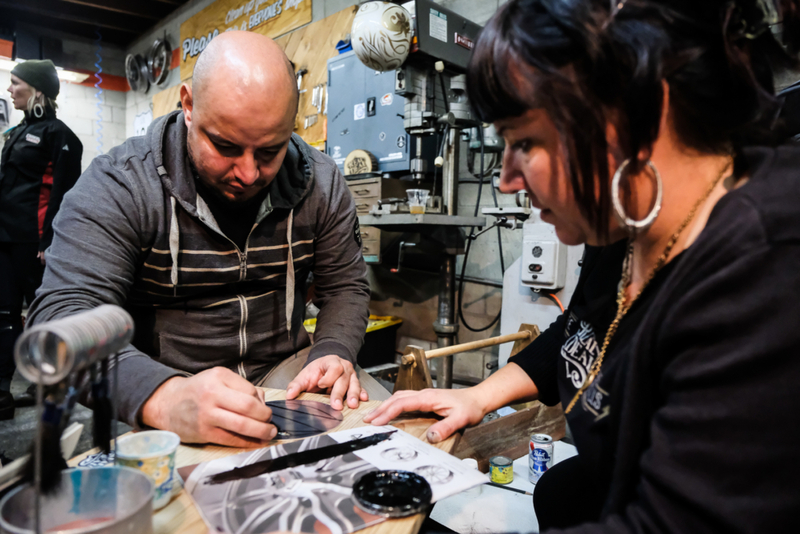 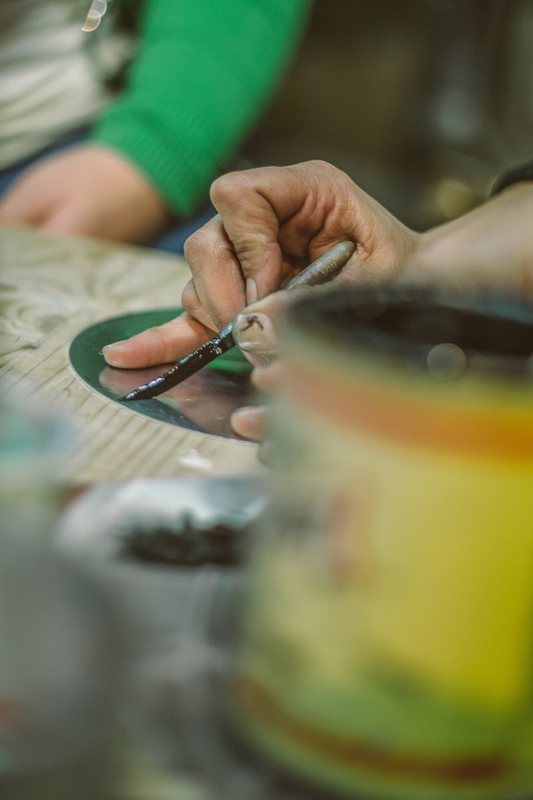 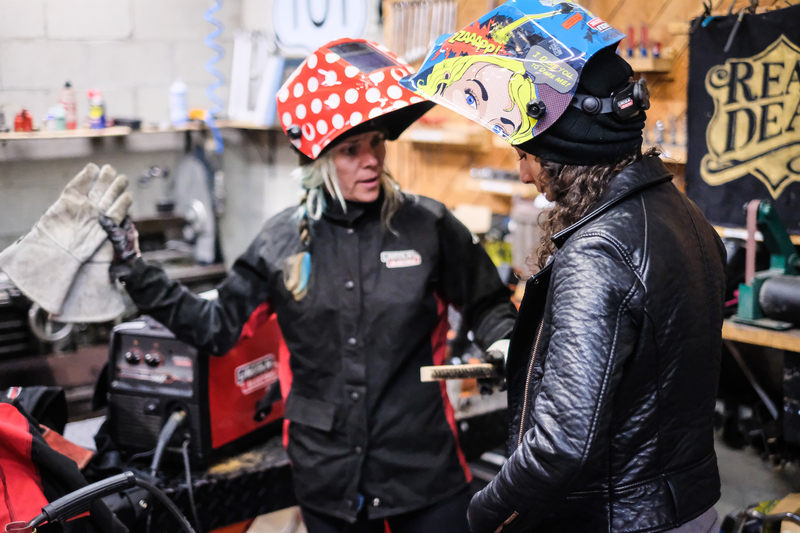 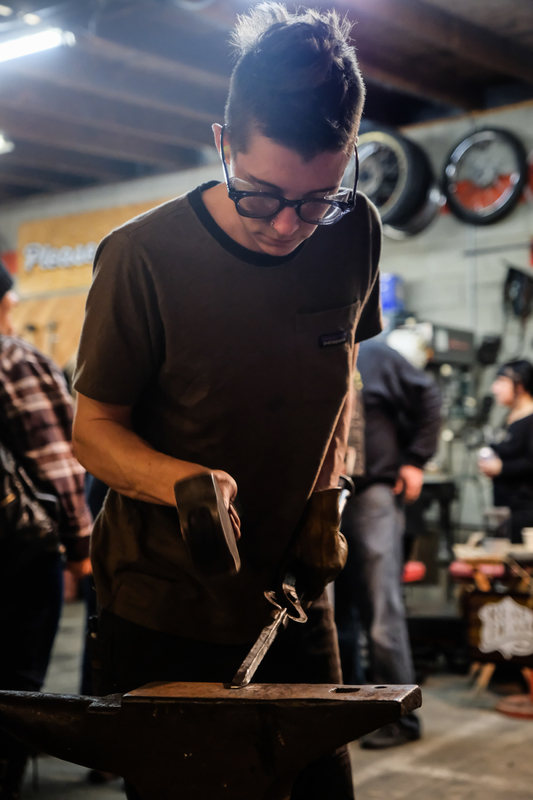 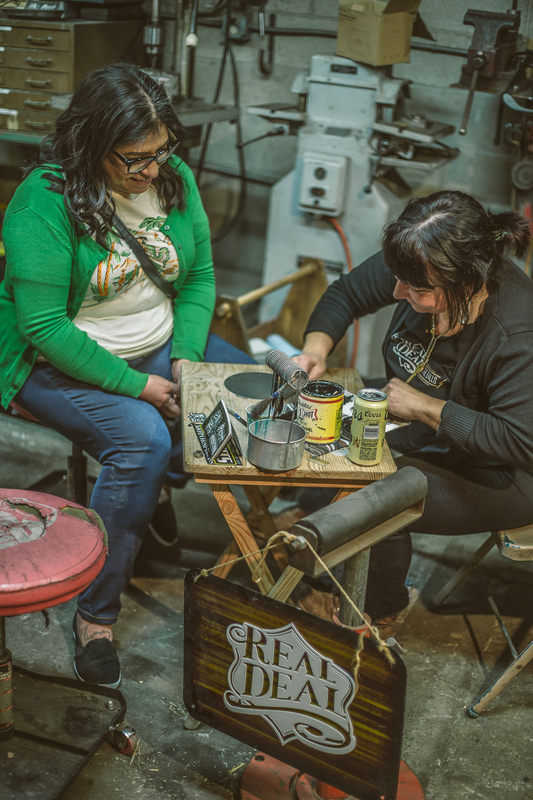 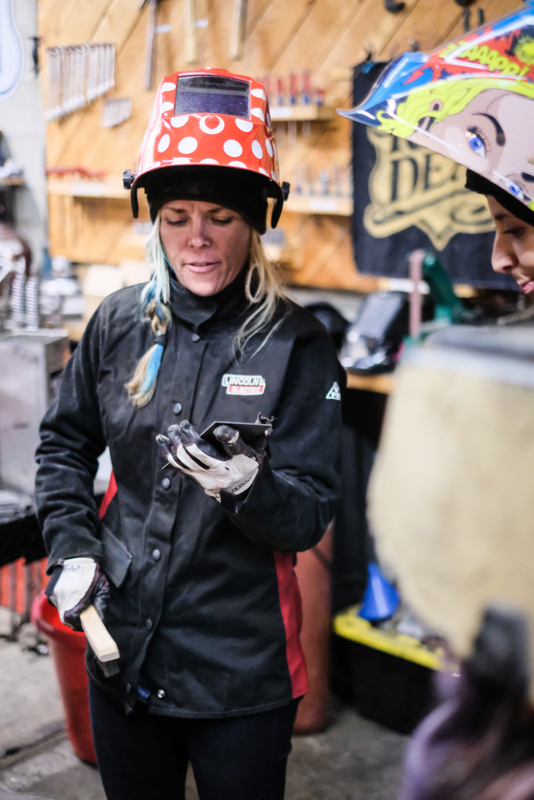 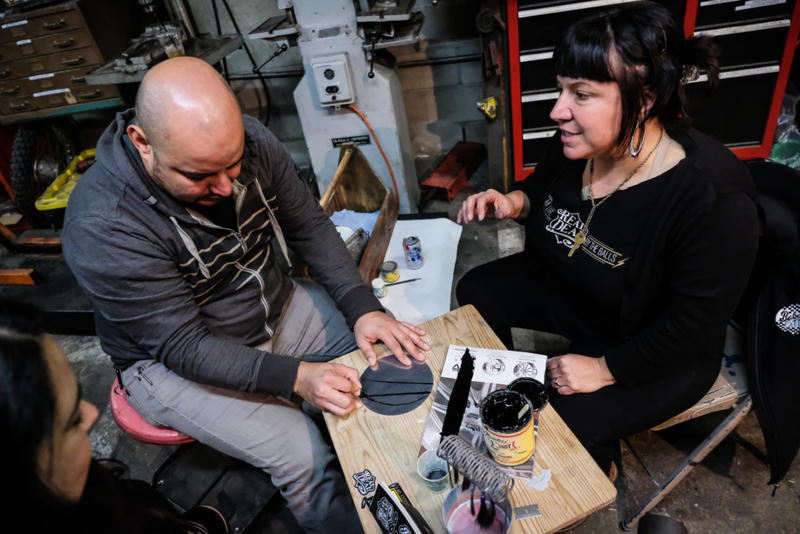 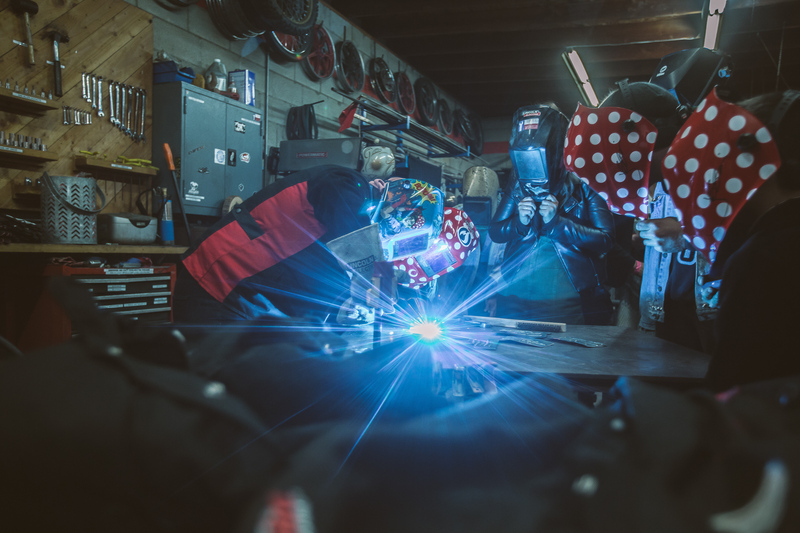 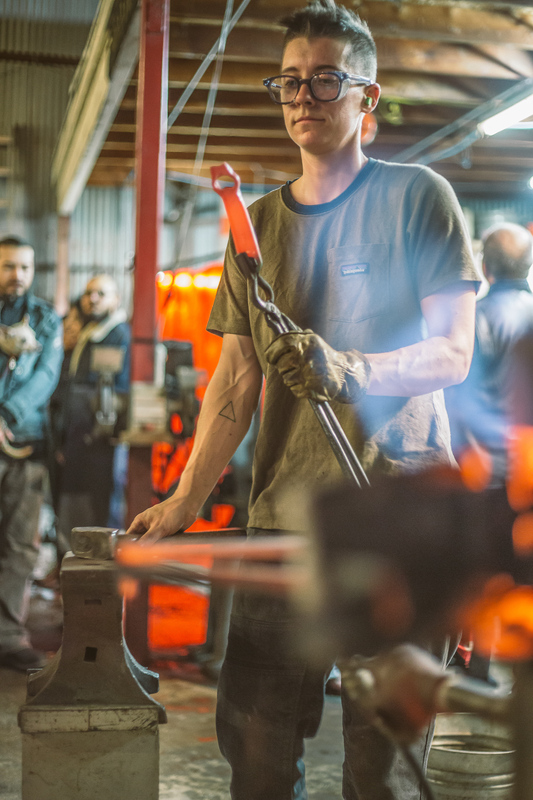 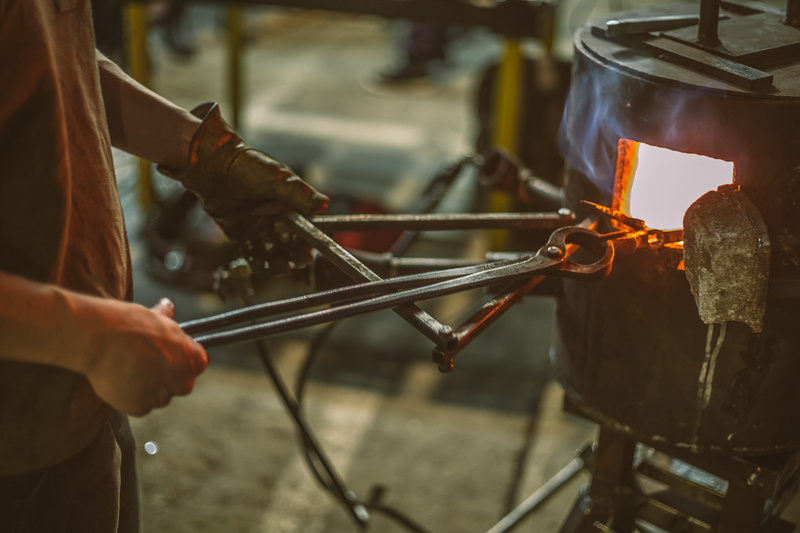 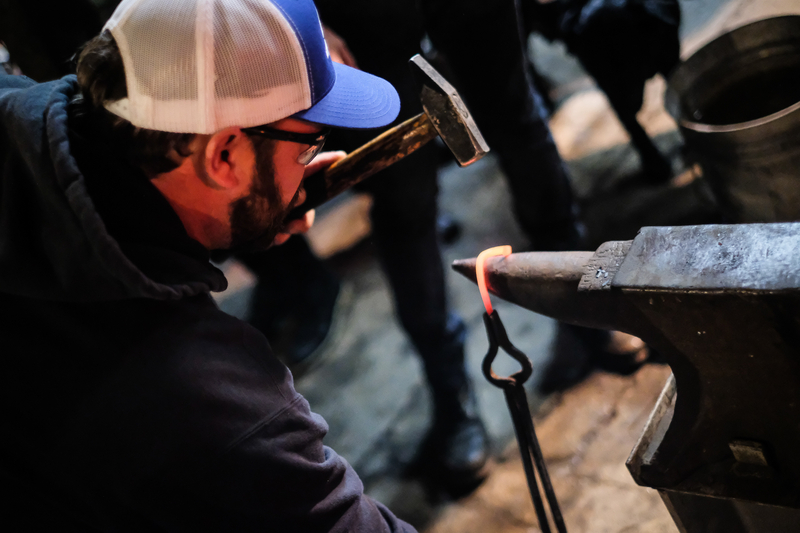 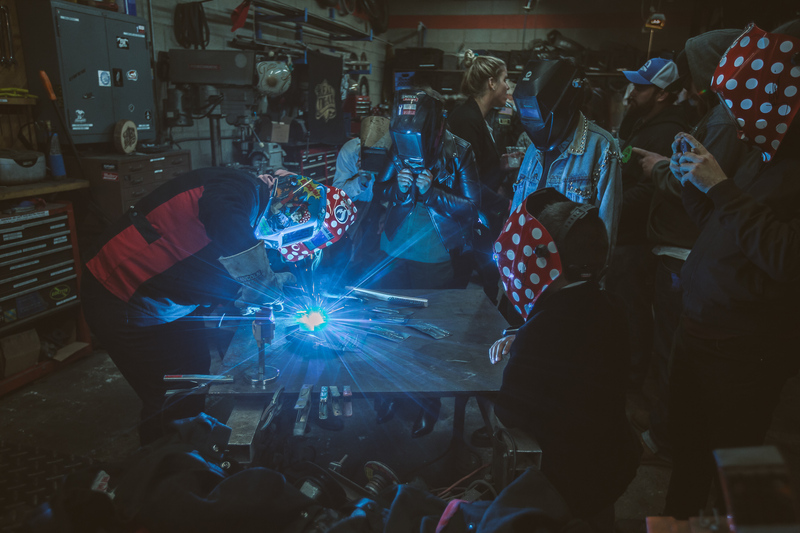 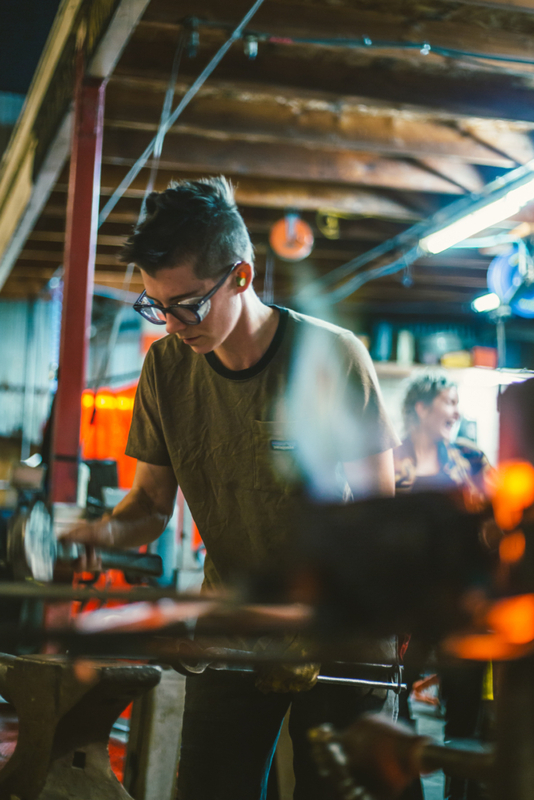 We had the ladies of Real Deal doing hands-on demos– welding with Jessi Combs, pinstriping with Theresa Contreras, and blacksmithing with Joy Fire. 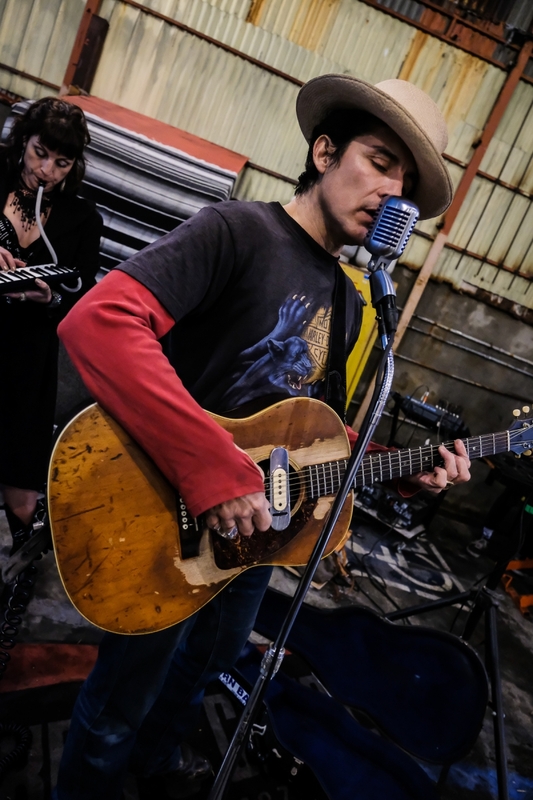 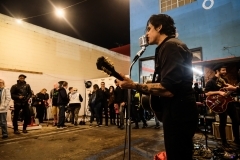 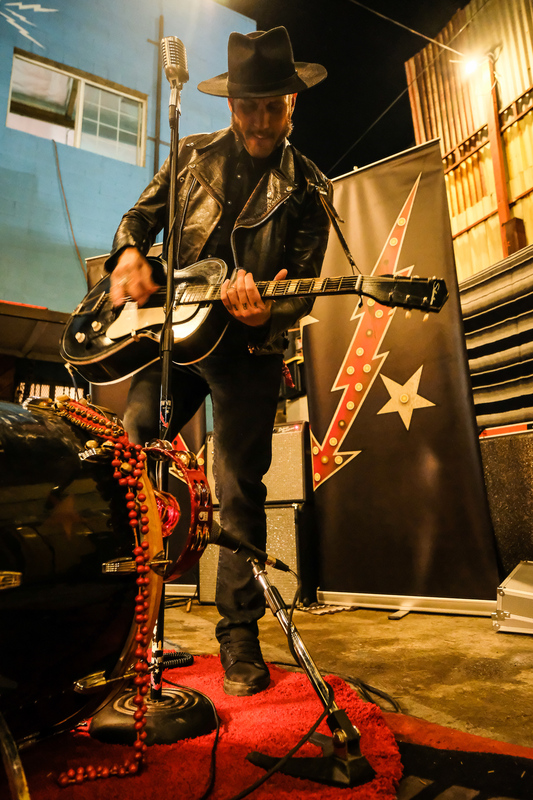 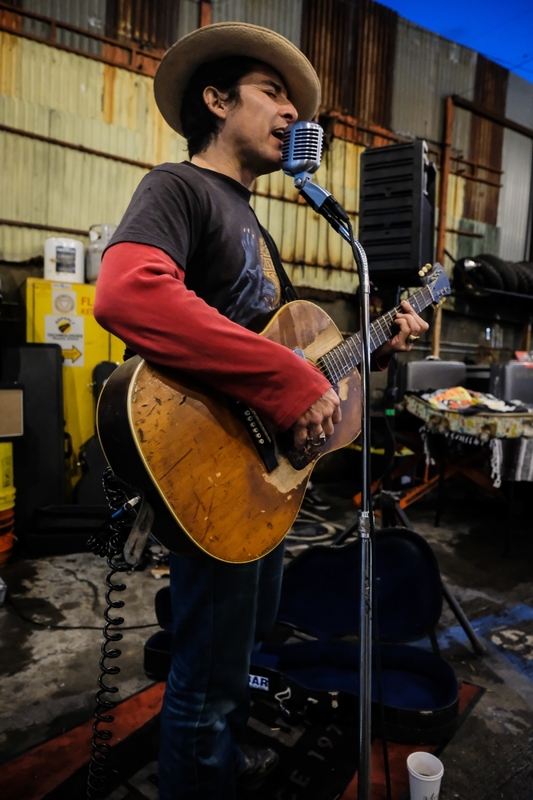 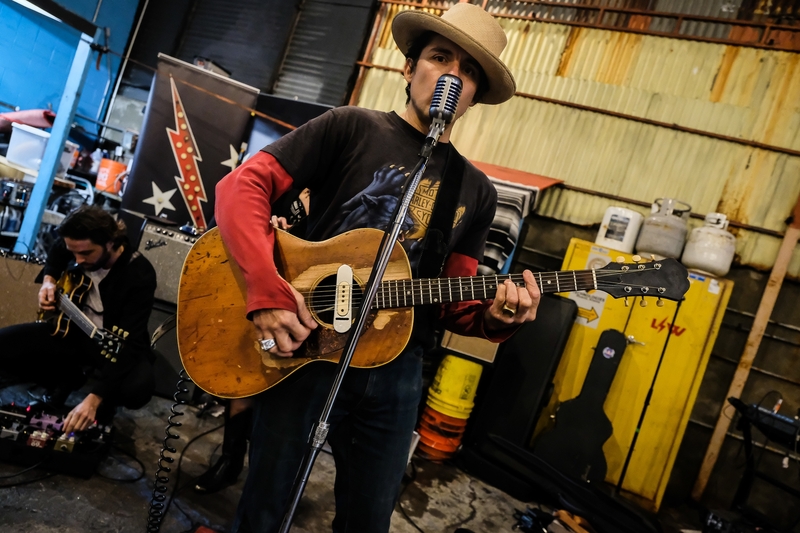 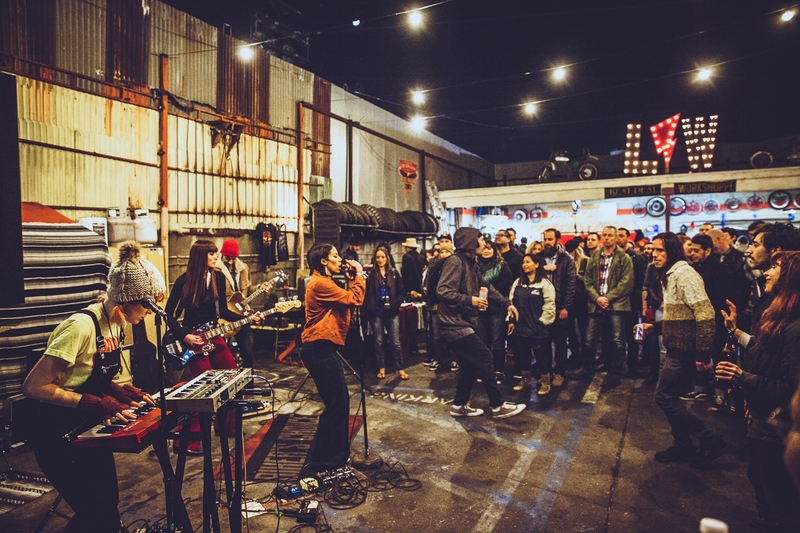 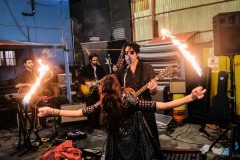 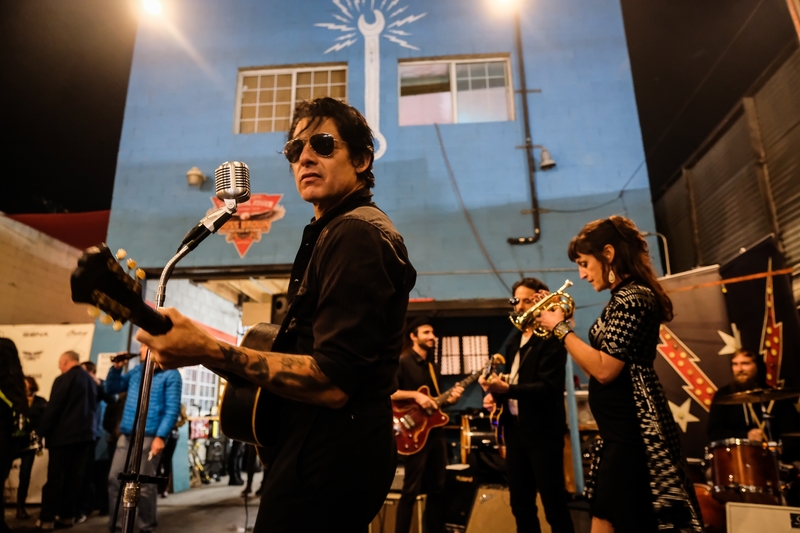 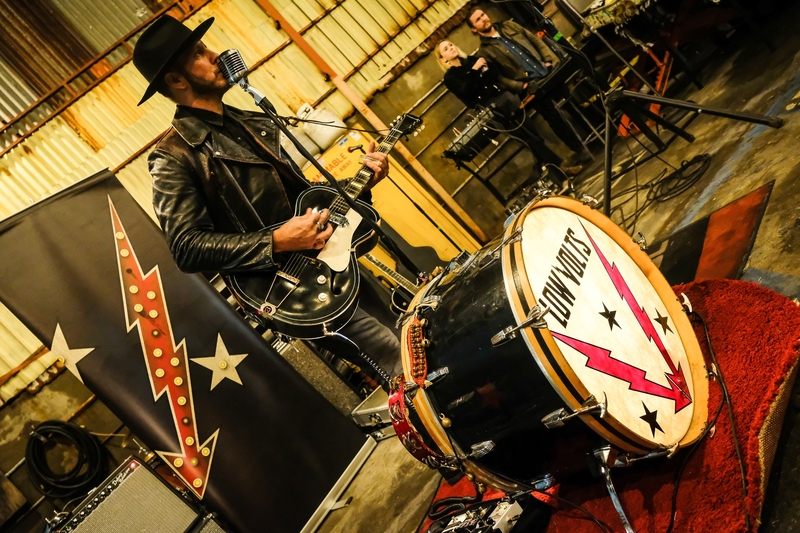 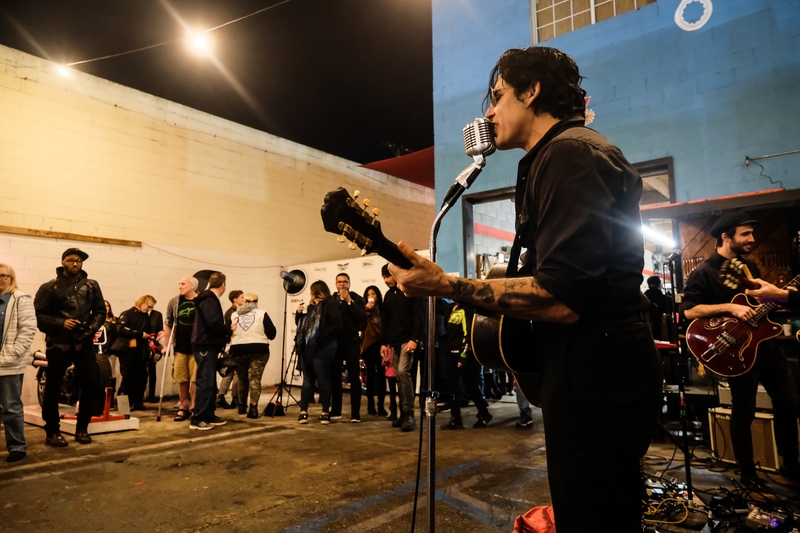 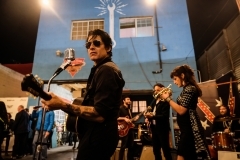 The tunes of Stephen El Rey and Low Volts serenaded the crowd before headliner band Wargirl took the stage. 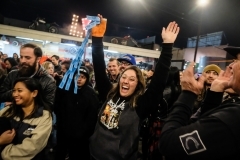 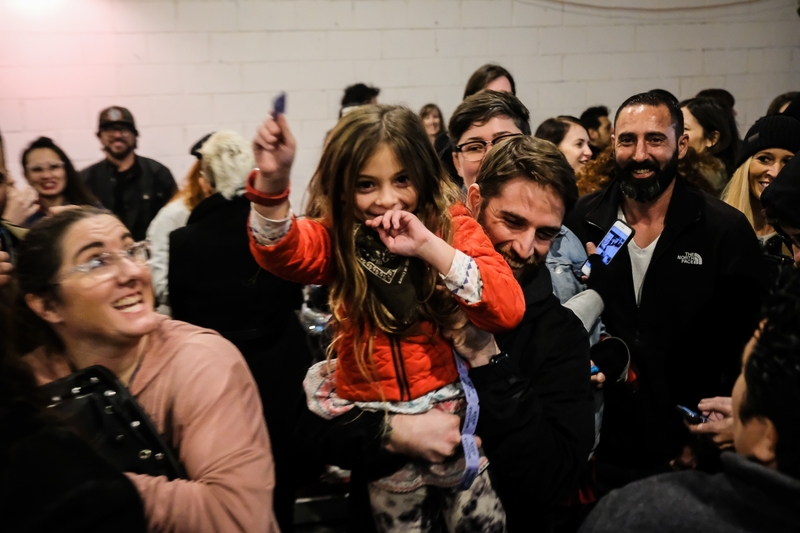 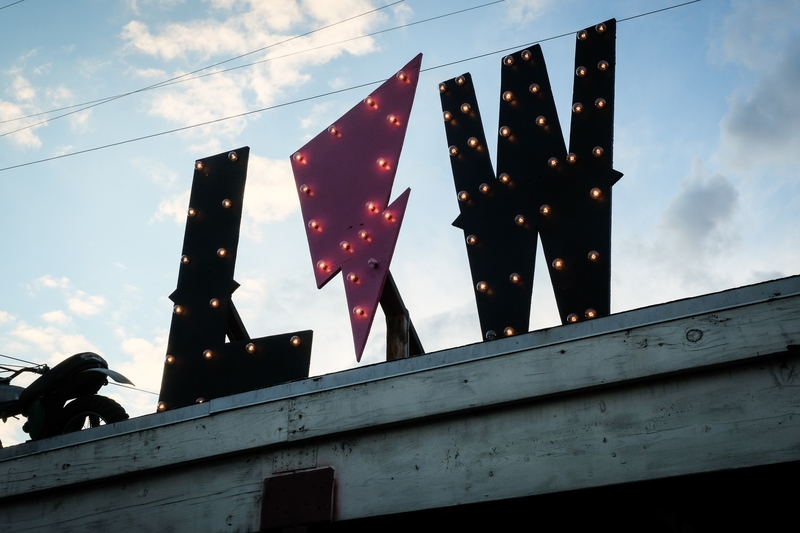 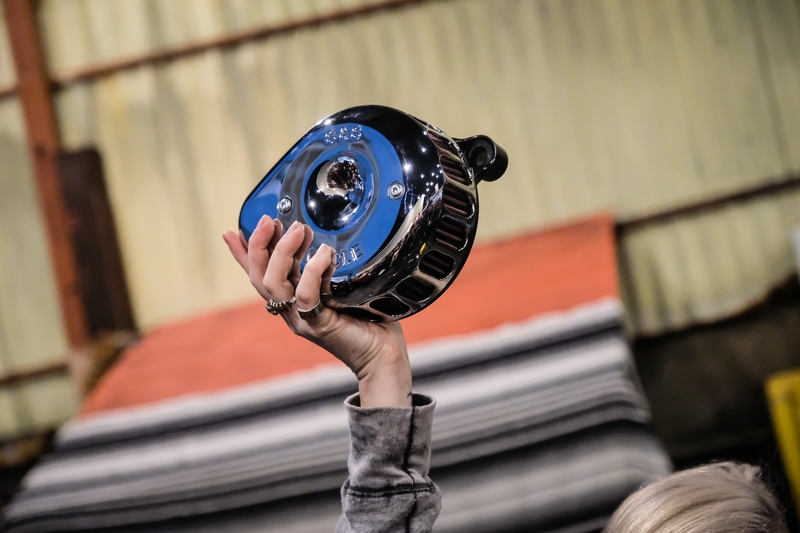 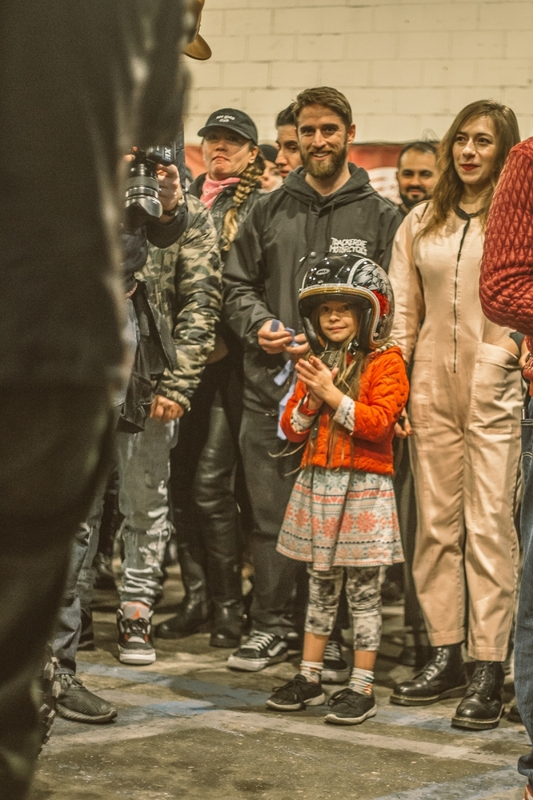 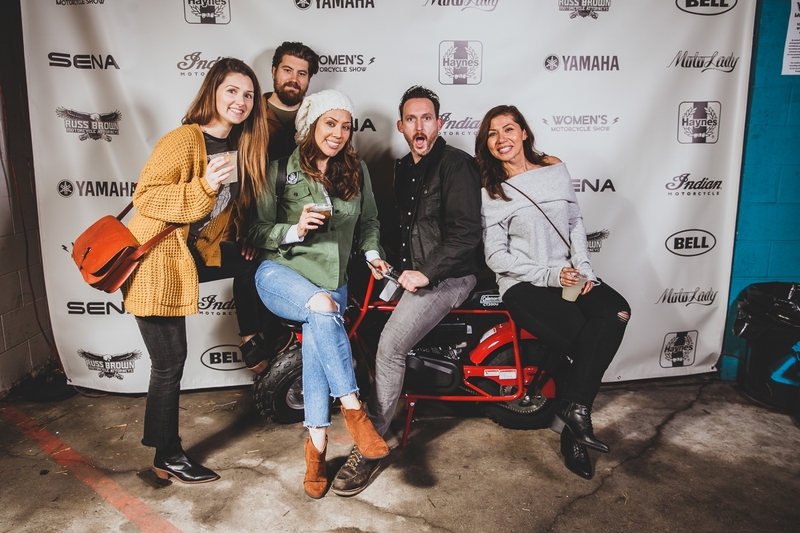 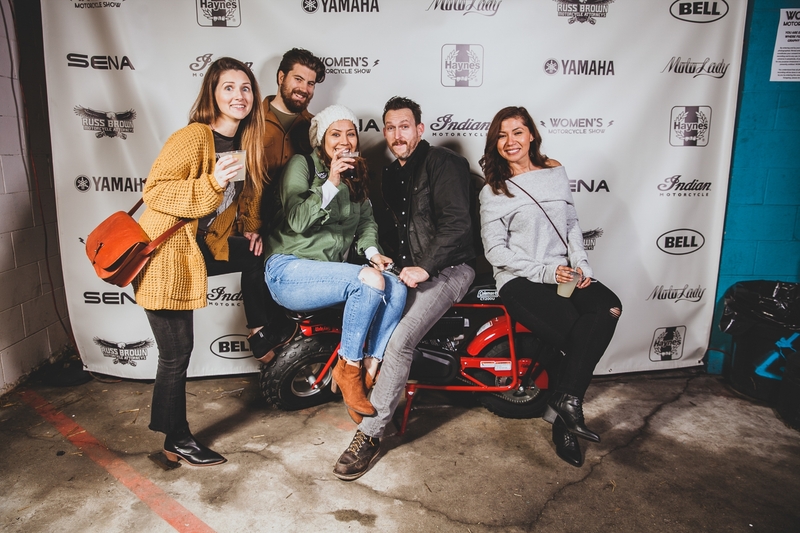 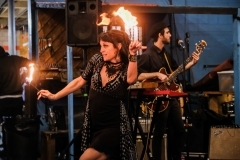 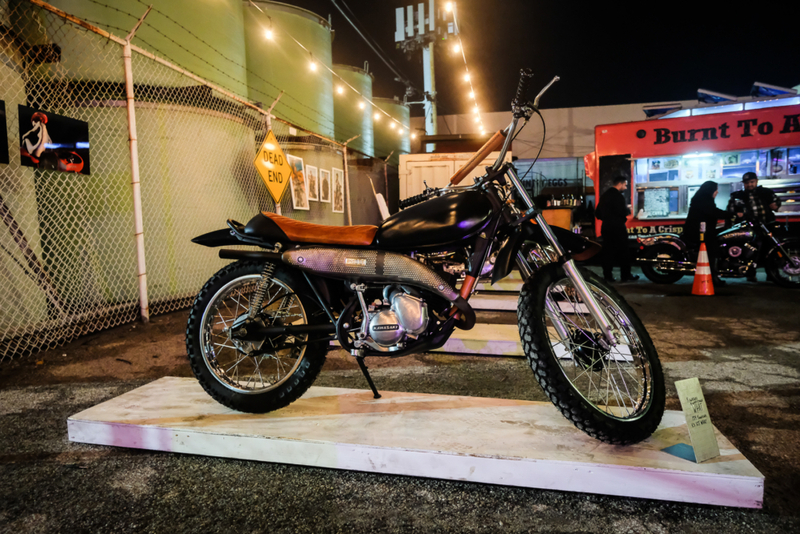 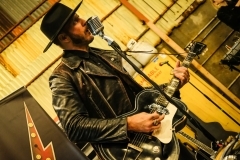 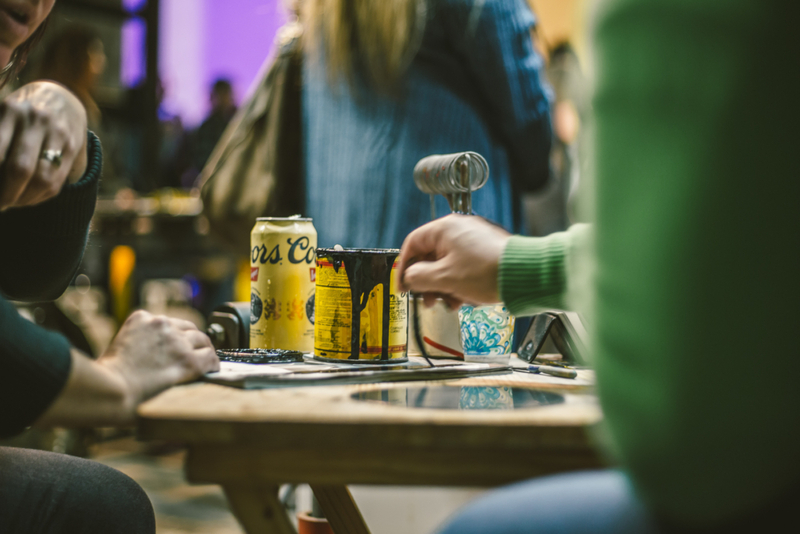 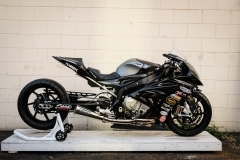 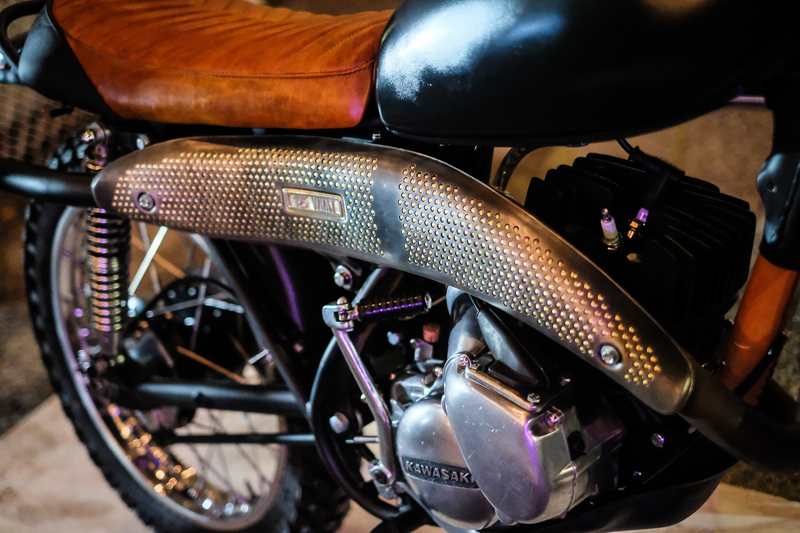 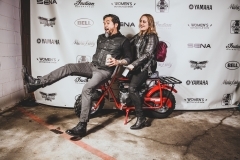 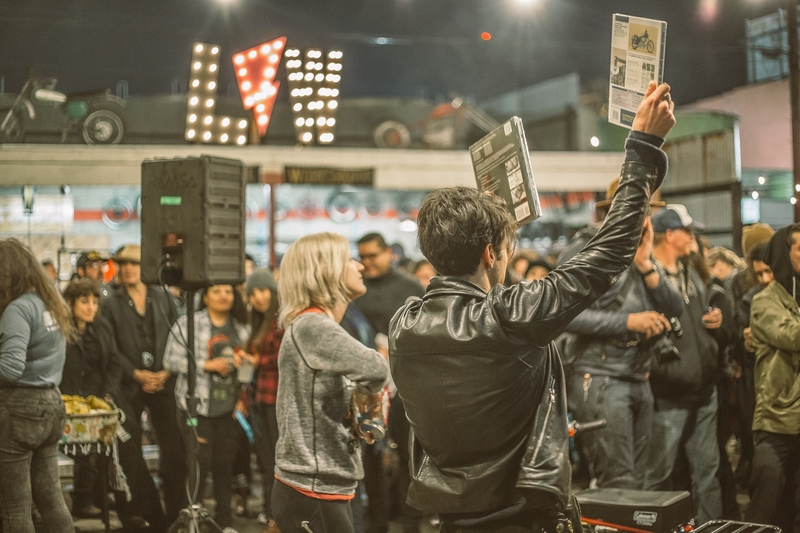 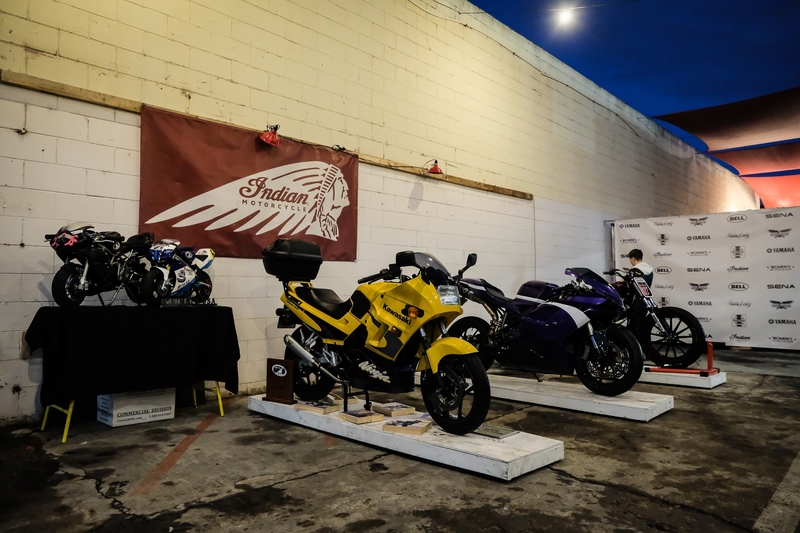 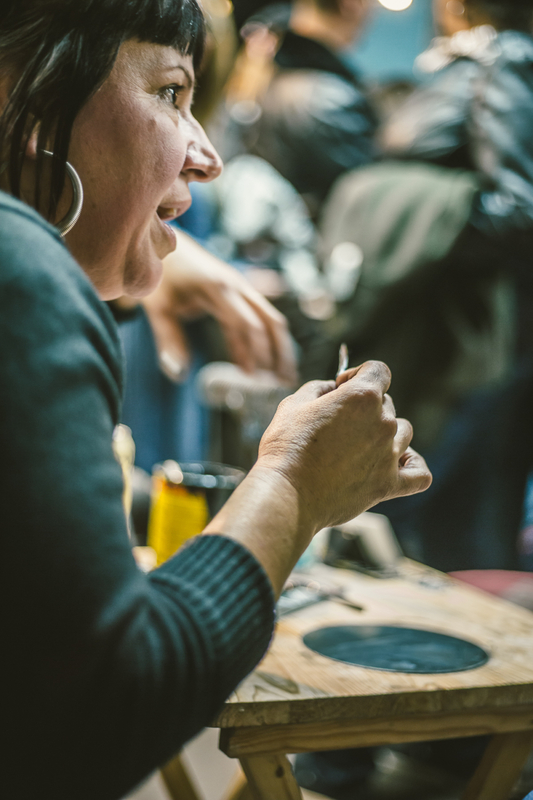 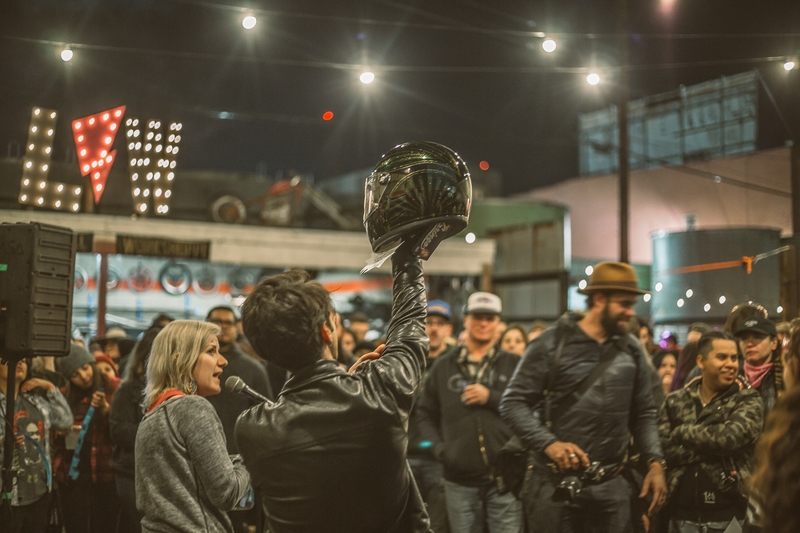 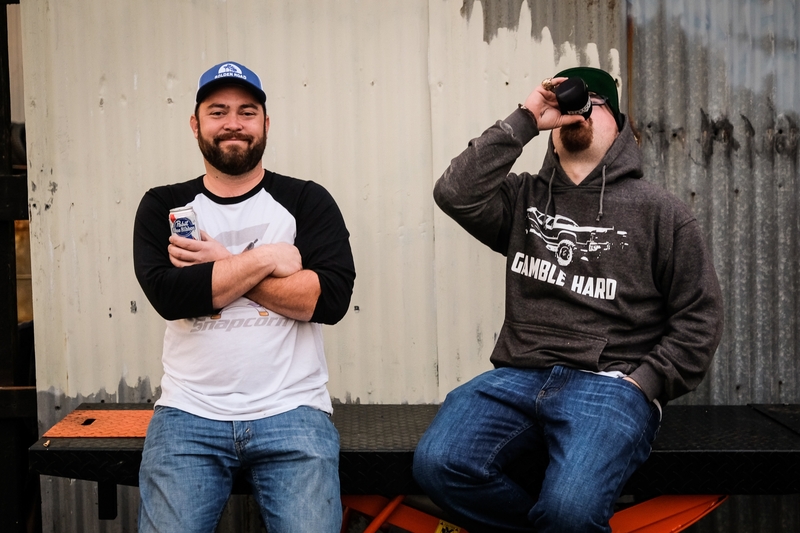 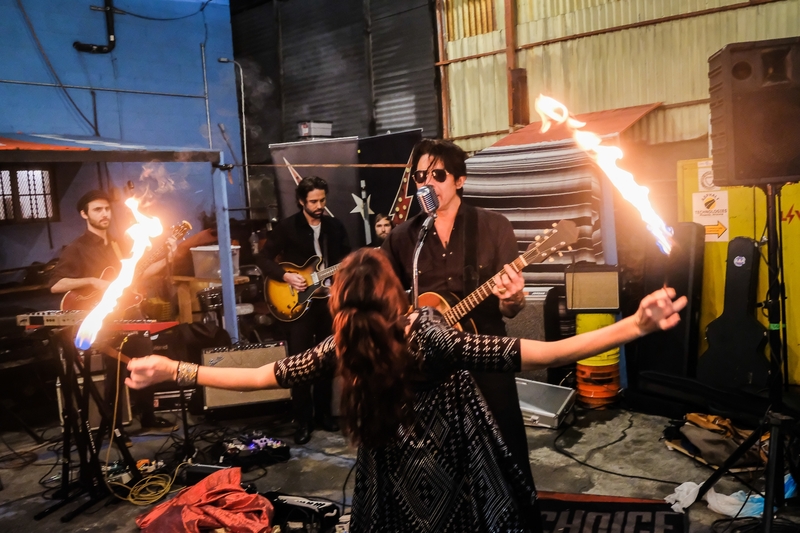 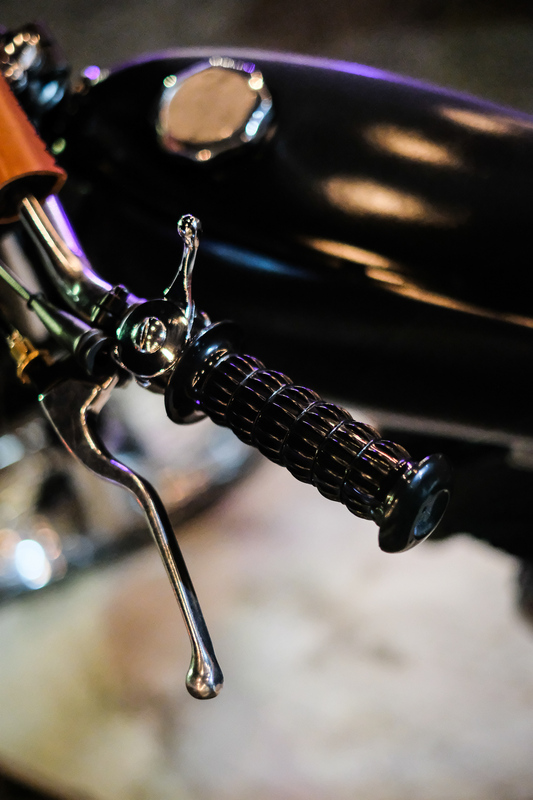 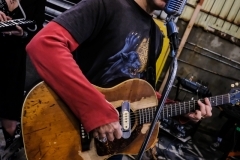 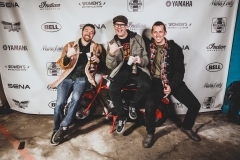 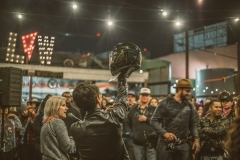 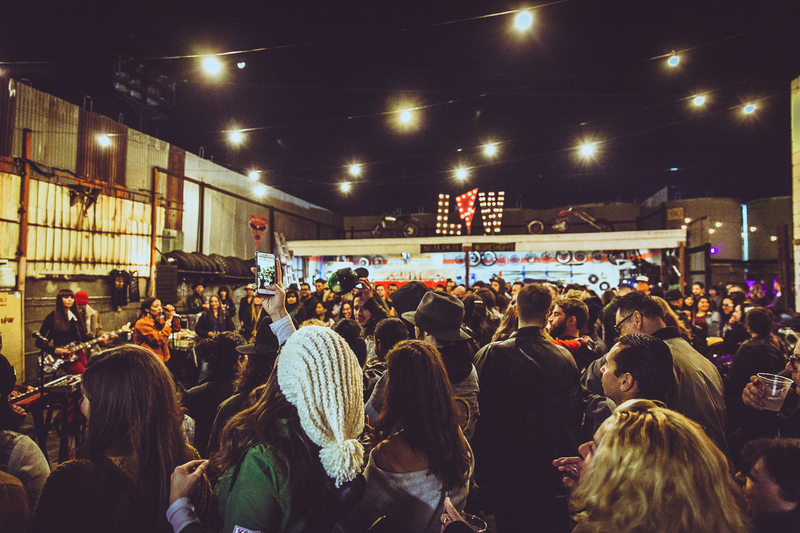 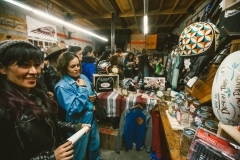 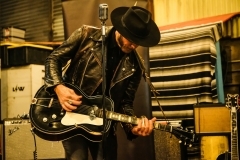 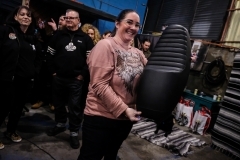 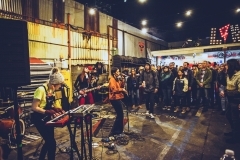 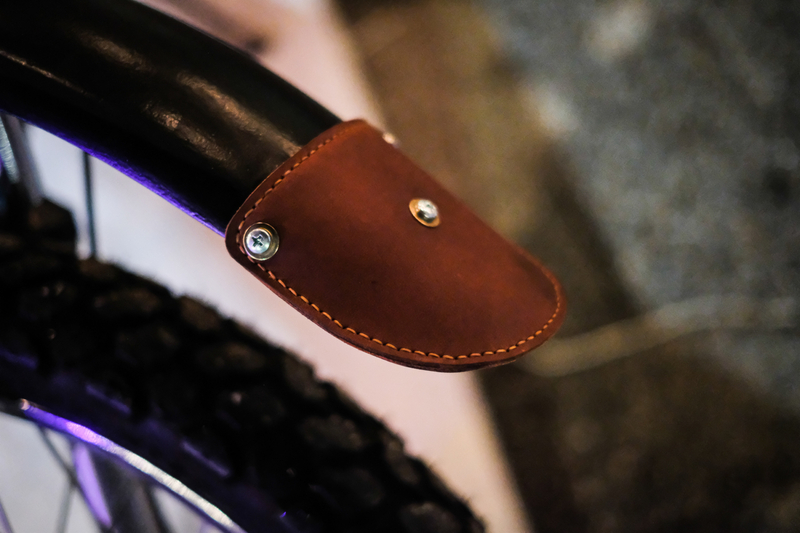 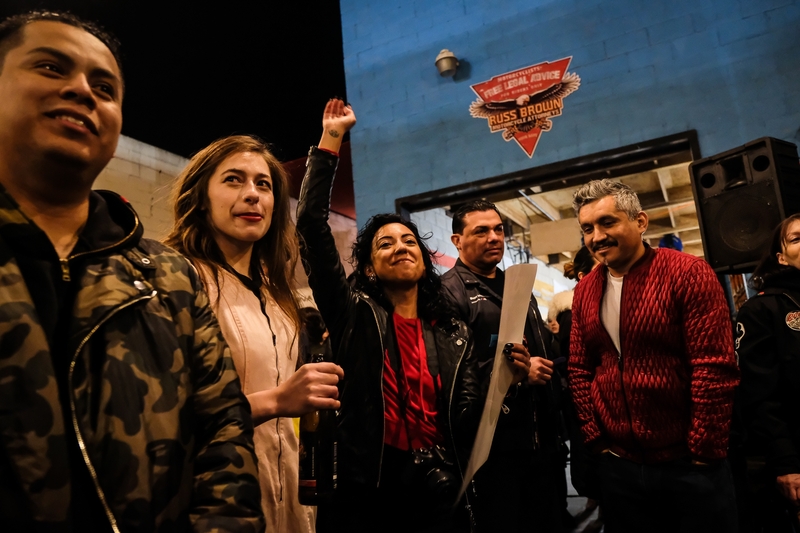 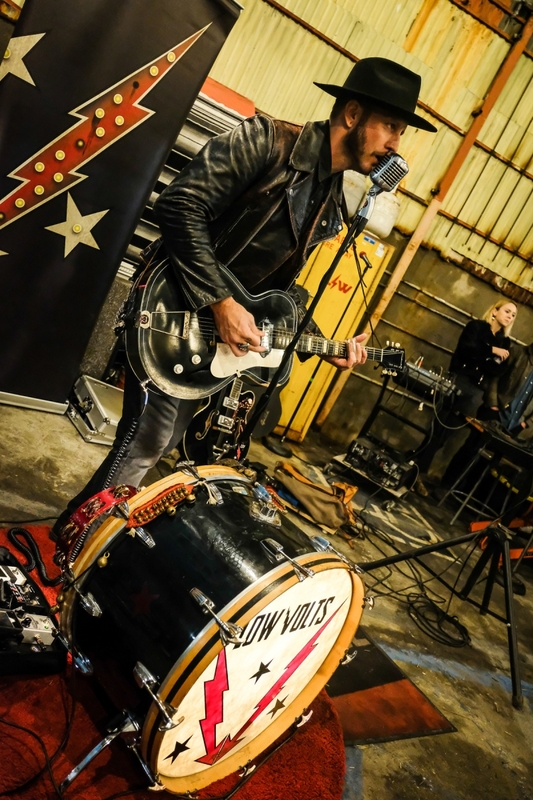 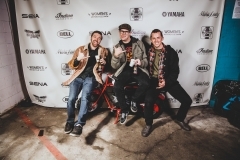 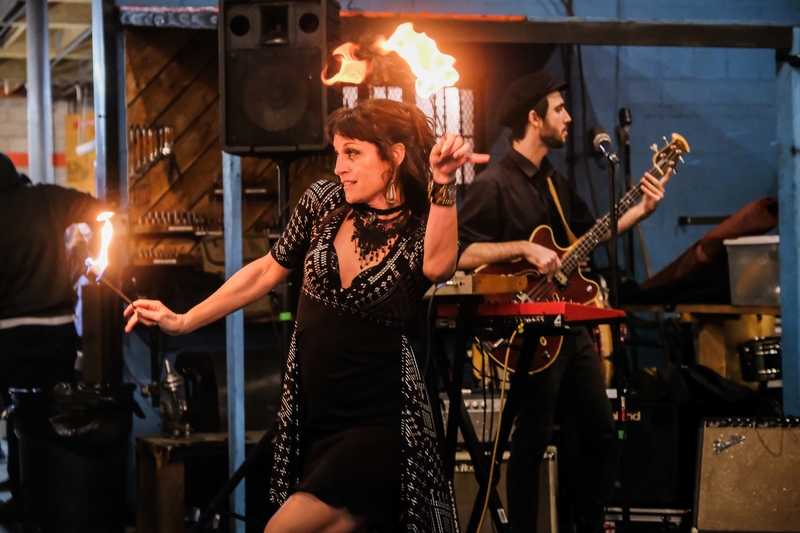 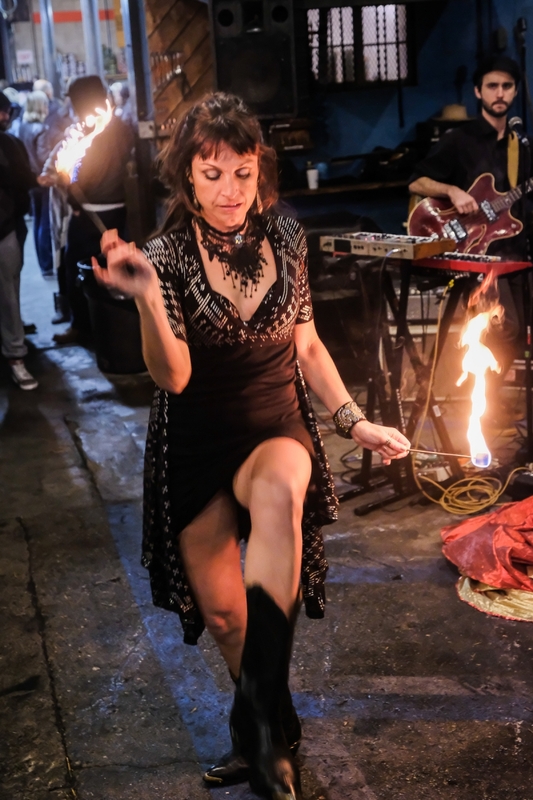 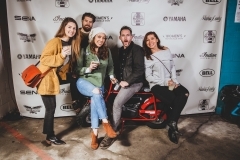 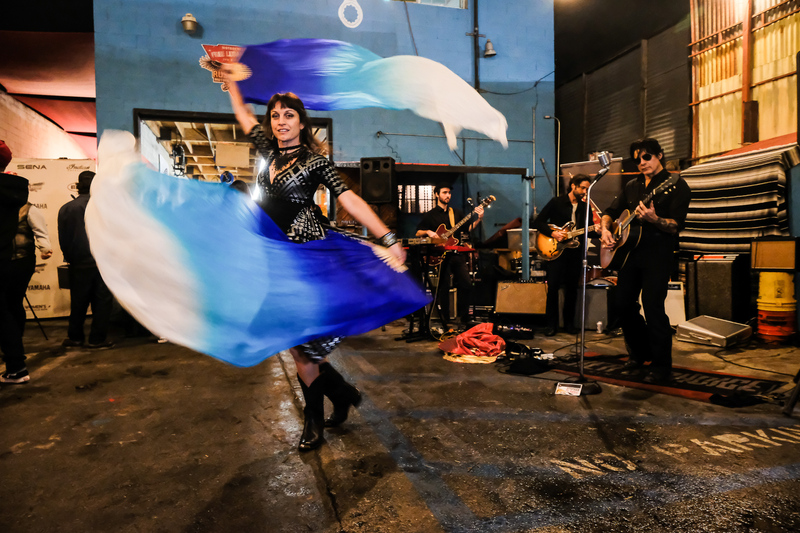 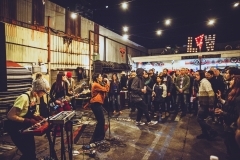 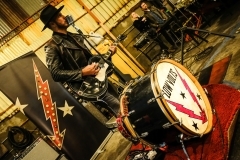 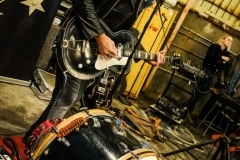 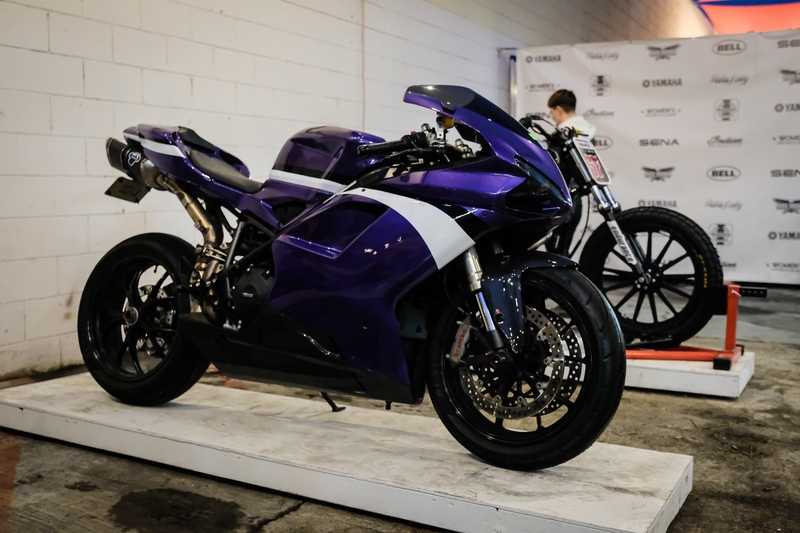 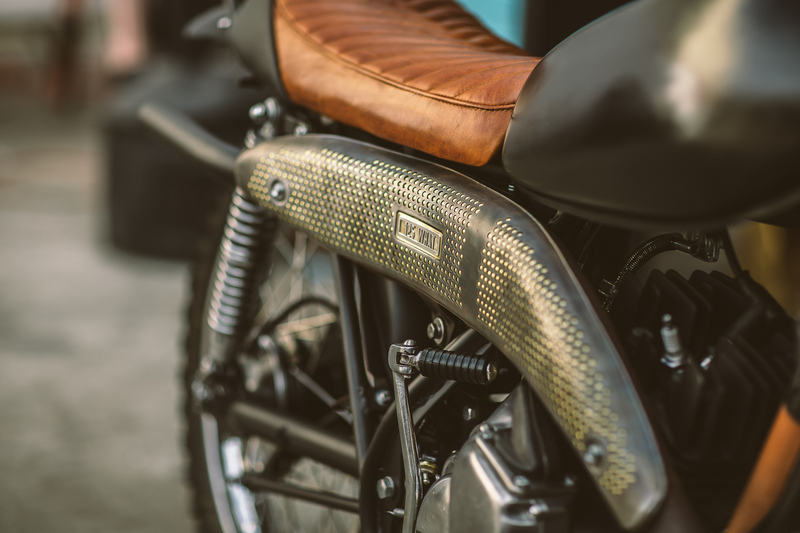 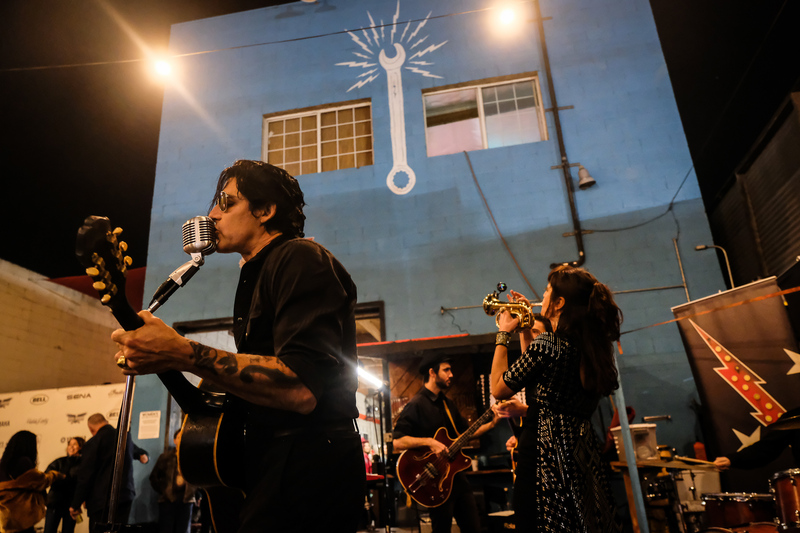 Show-goers enjoyed the Lucky Wheels Cafe and full bar and chowed down on yummy Texas BBQ from Burnt to a Crisp food truck, whilst checking out awesome motorcycles. 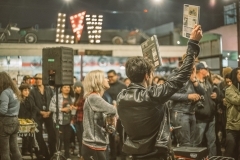 The bands were followed by the famous piñata whack, then the awards and raffle announcements. 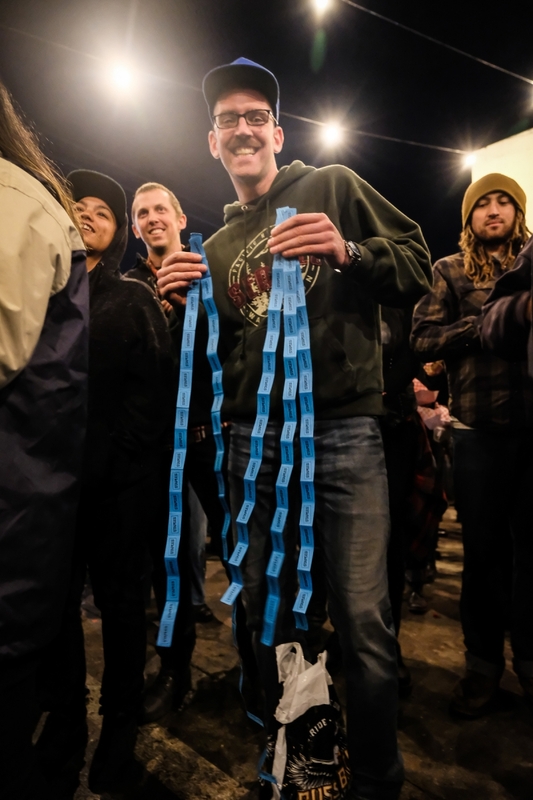 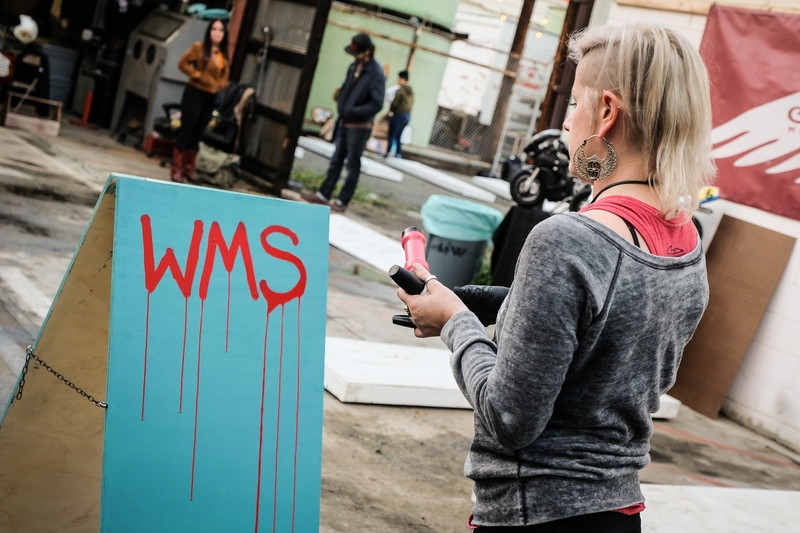 An estimated 3,500 people came through this year’s WMS! 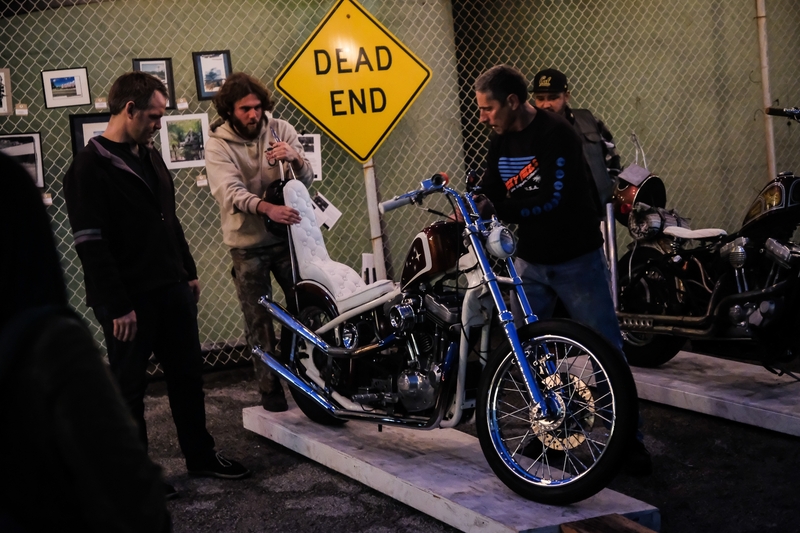 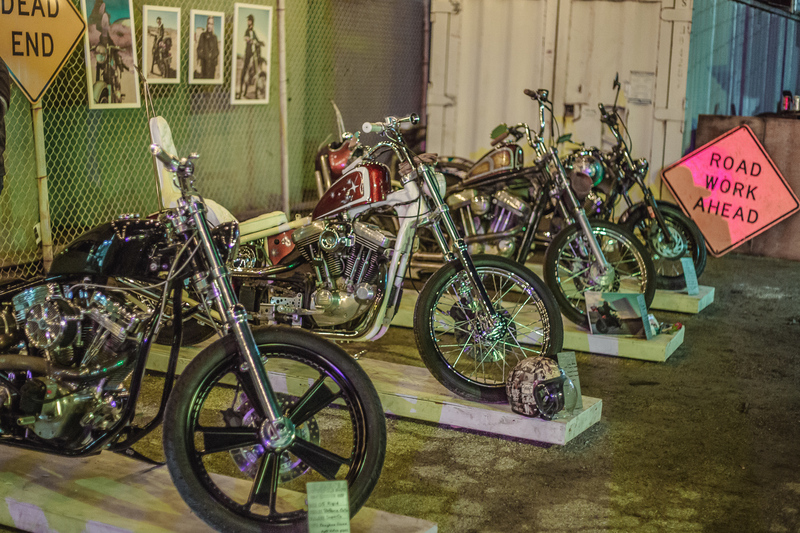 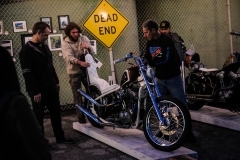 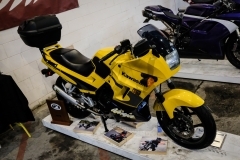 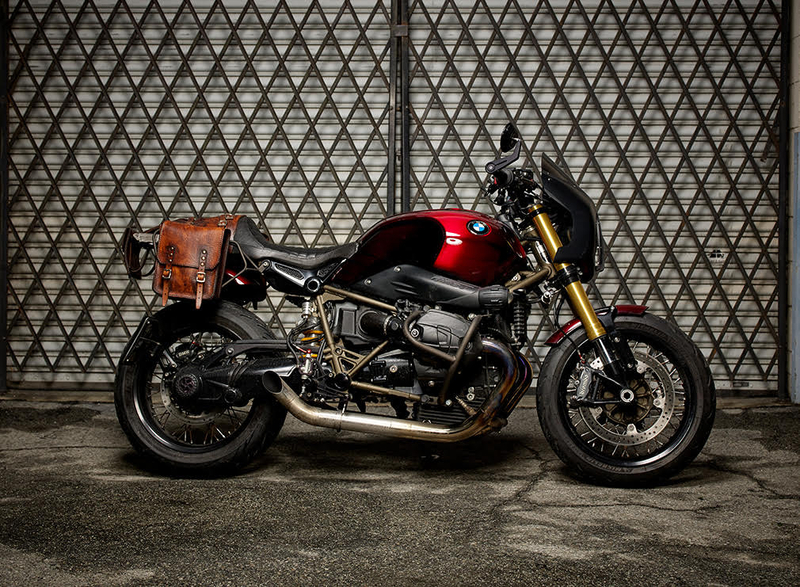 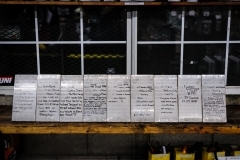 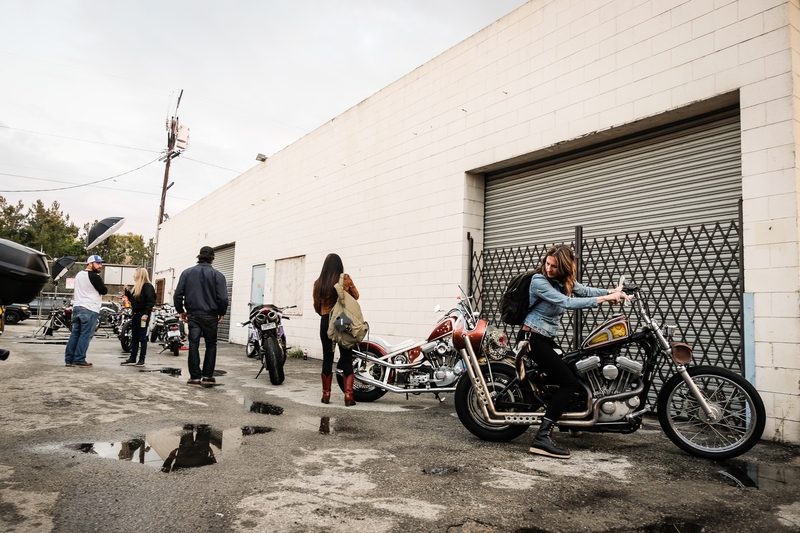 We had 21 total motorcycles, displaying the bulk of them in the added industrial space attached to Lucky Wheels. This effectively doubled the ground area of the event from last year! 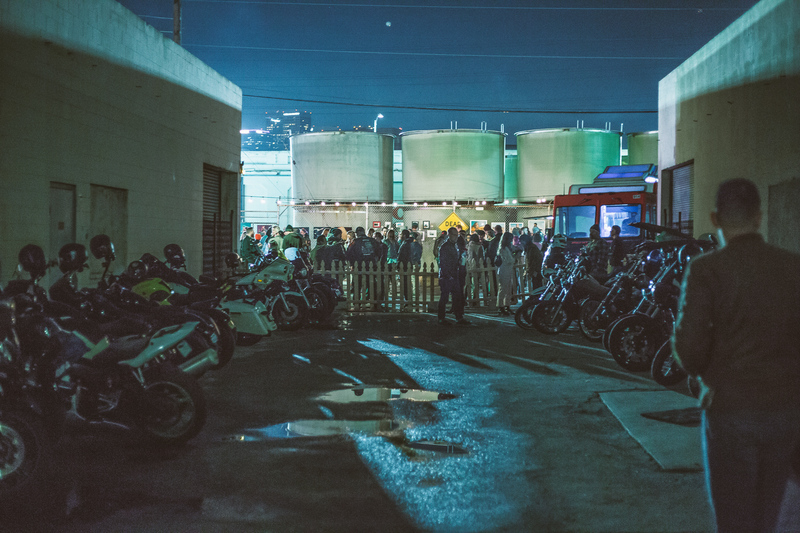 VIP motorcycle parking was available off street in the cordoned off alleyway. 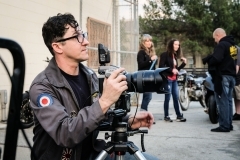 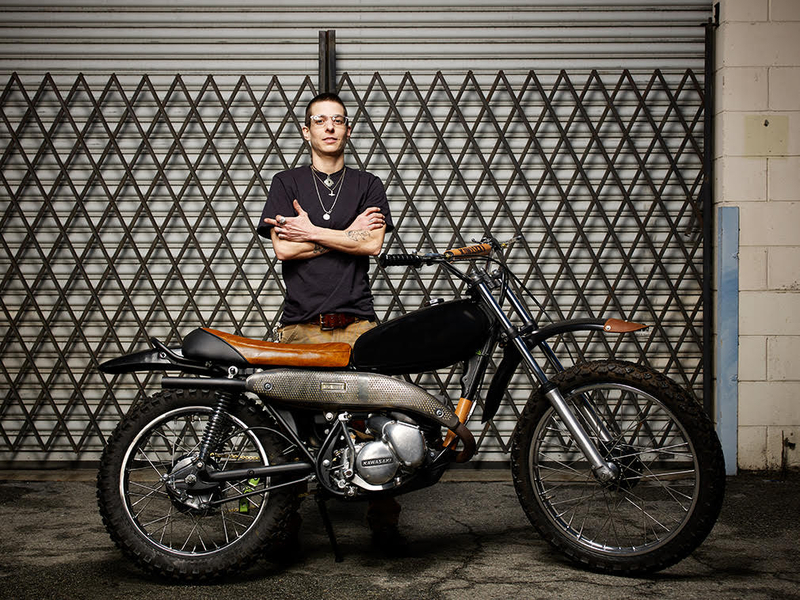 Celebrity photographer Daniel Bergeron came through during set up for portraits of the show motorcycles. 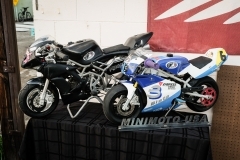 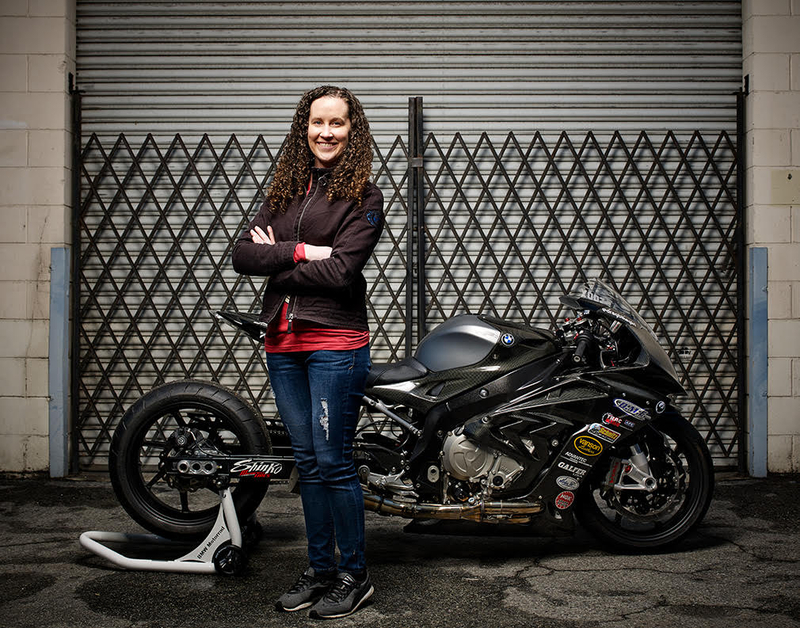 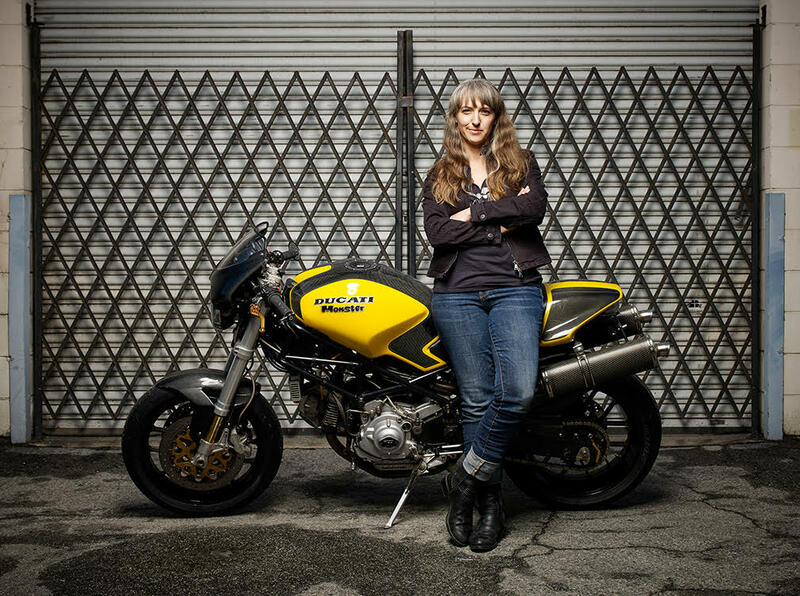 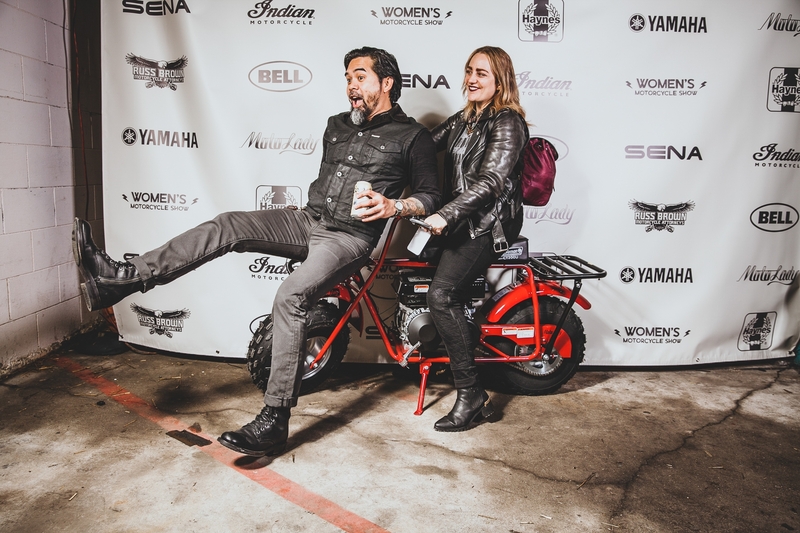 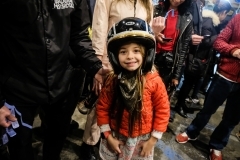 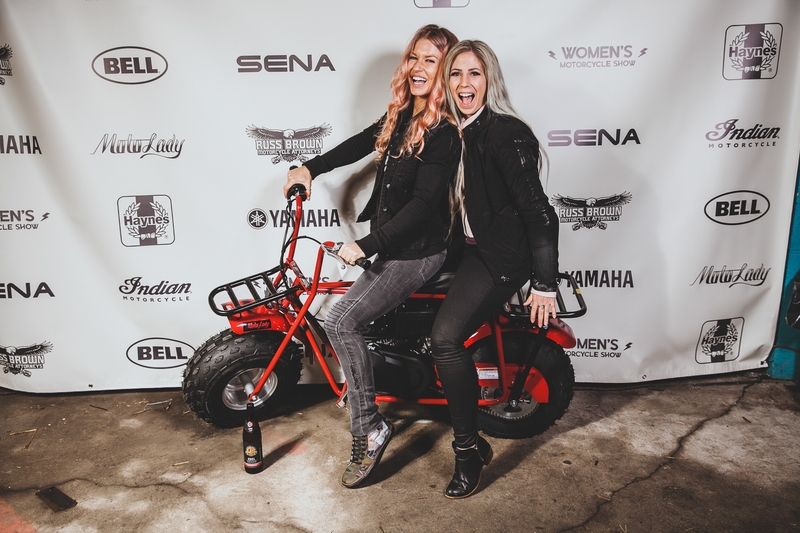 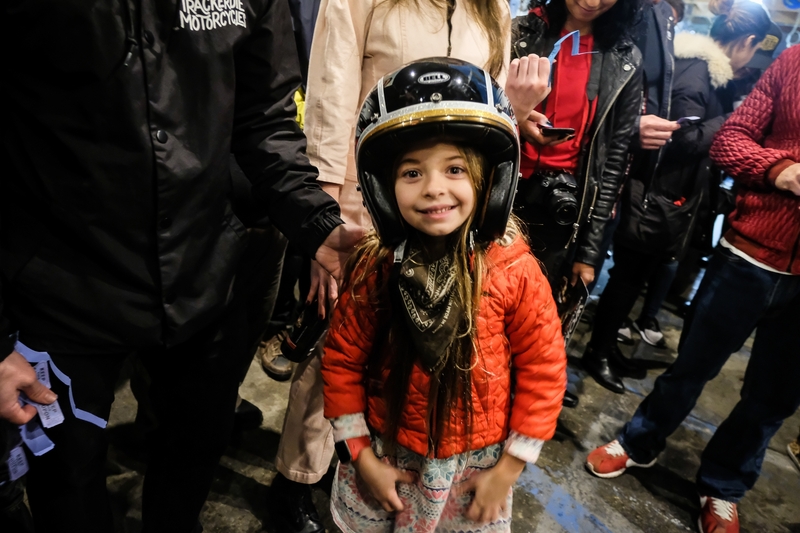 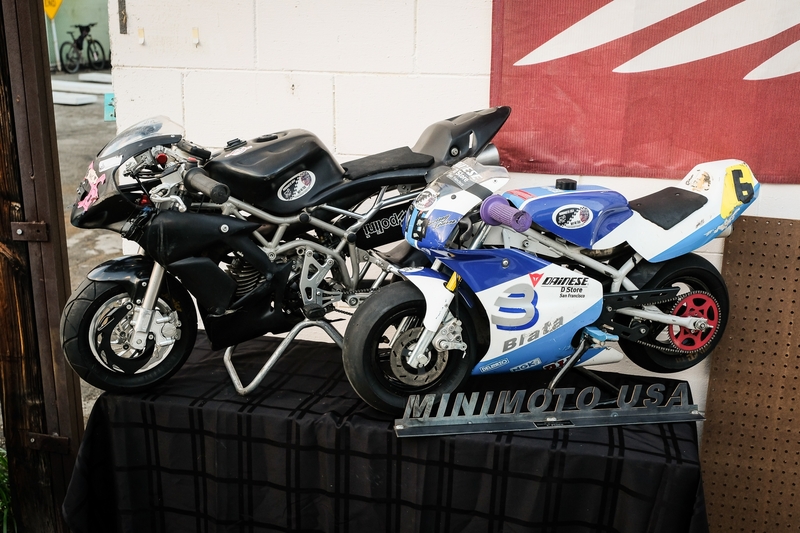 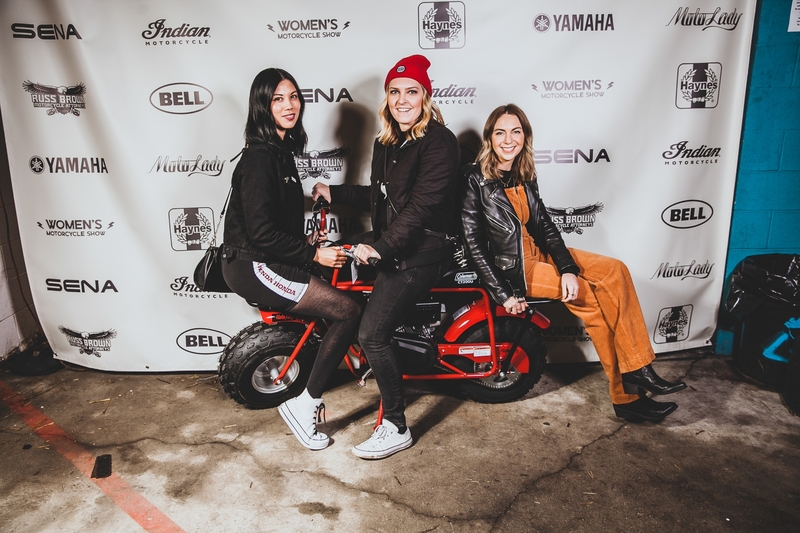 Not pictured: Emi Van Cleave’s MiniMoto USA GP race minibikes, and Francesca Wilby’s purple Ducati 848 evo that won her the Modern Mama Award! 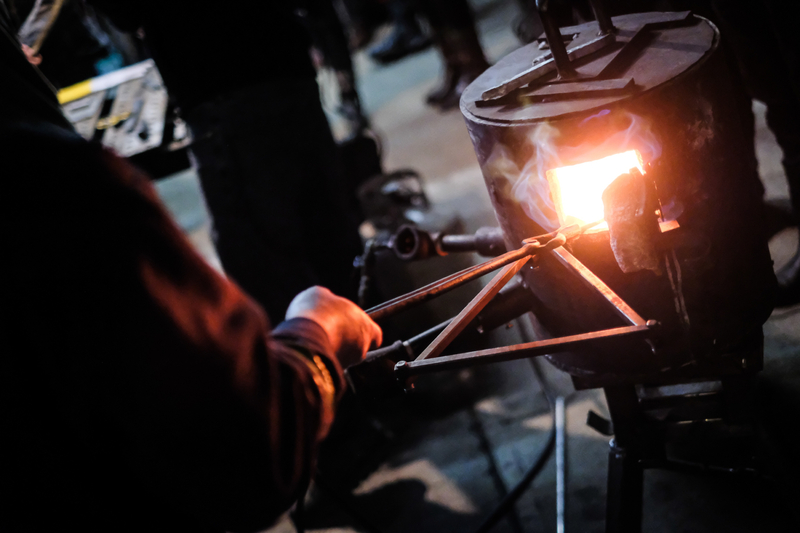 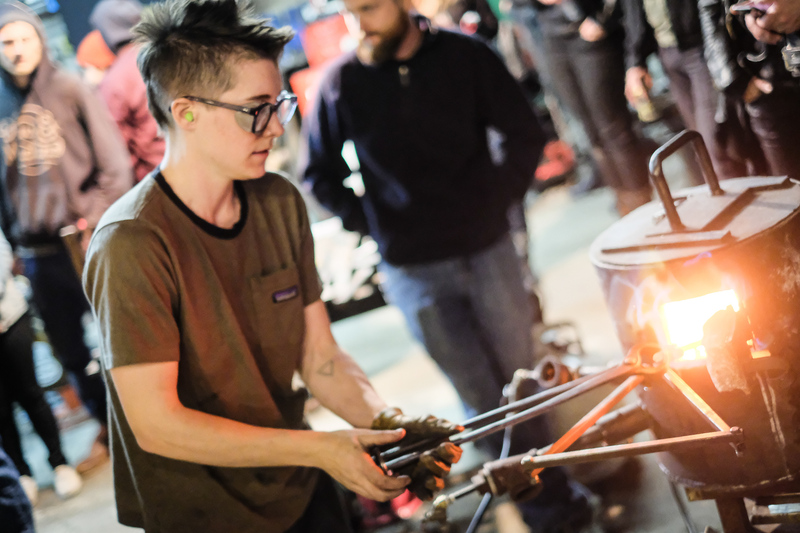 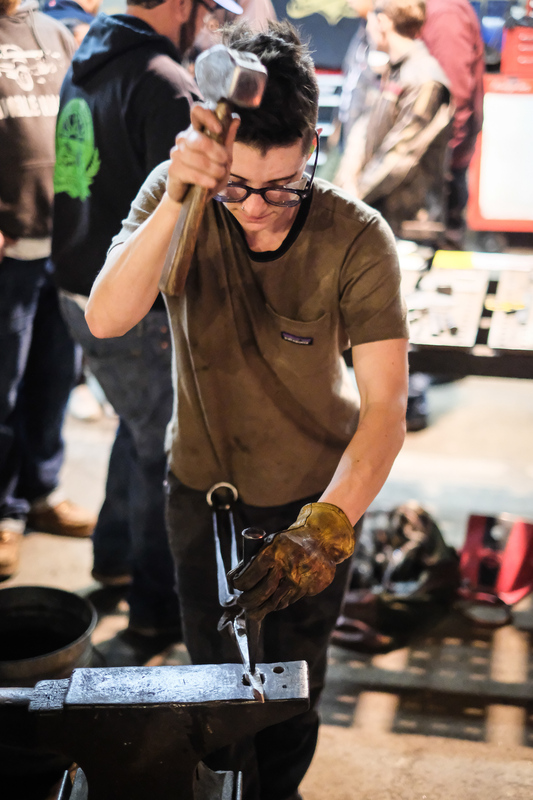 Over 70 people learned to weld with miss Jessi Combs in the Real Deal demos area! 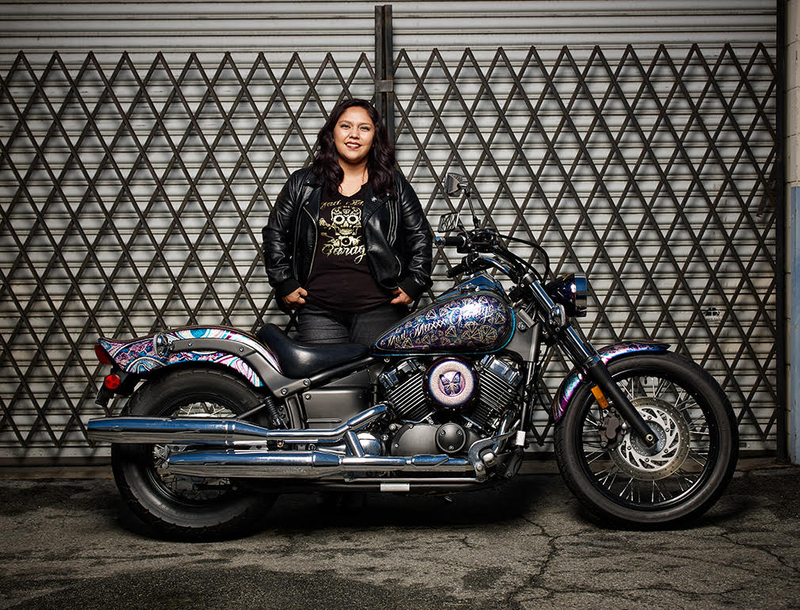 Theresa Contreras of LGE-CTS Motorsports showed how some practice and a steady hand can create some stunning pinstriping art with 1shot! 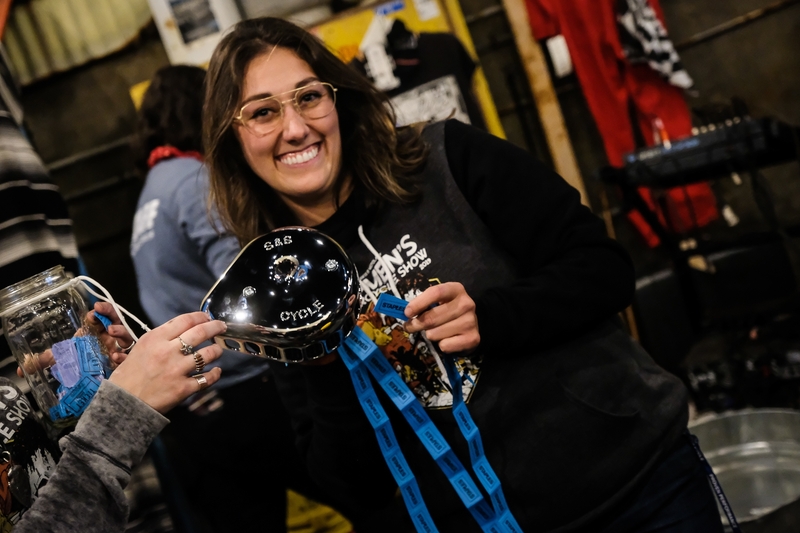 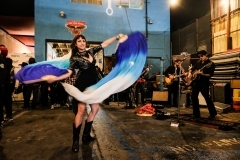 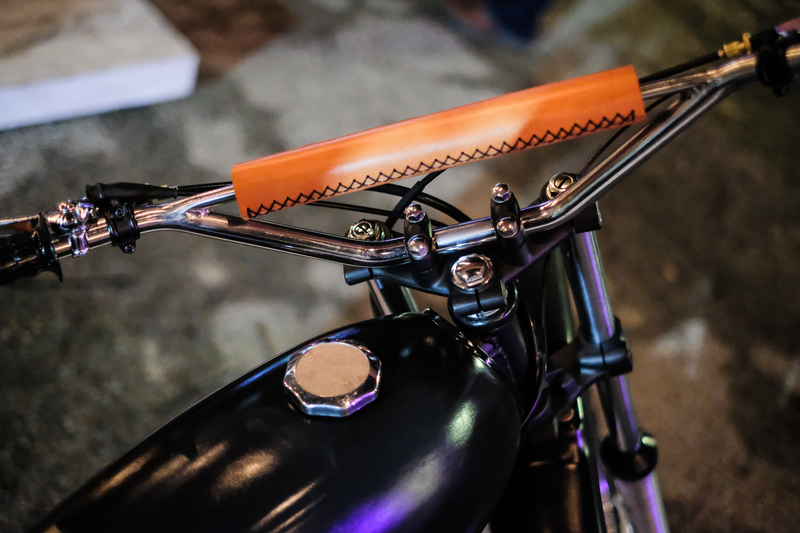 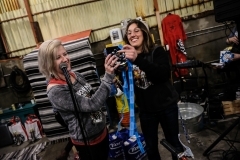 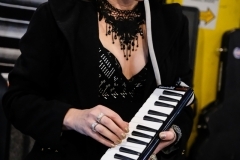 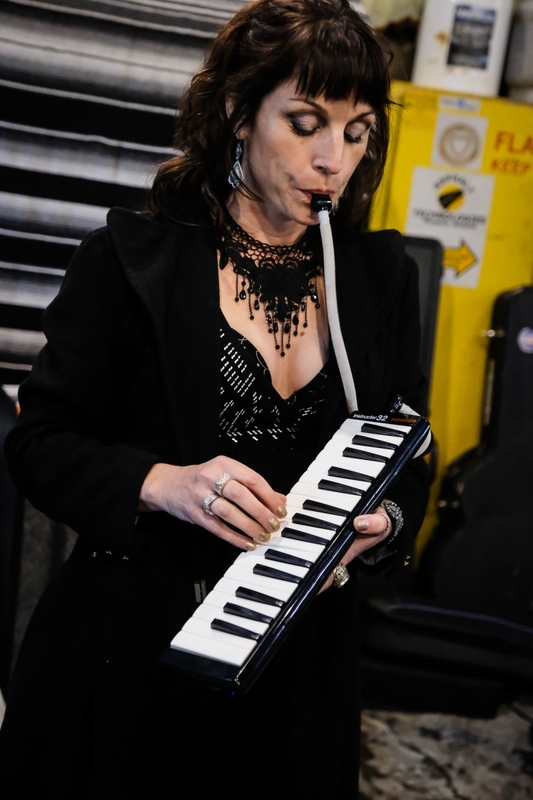 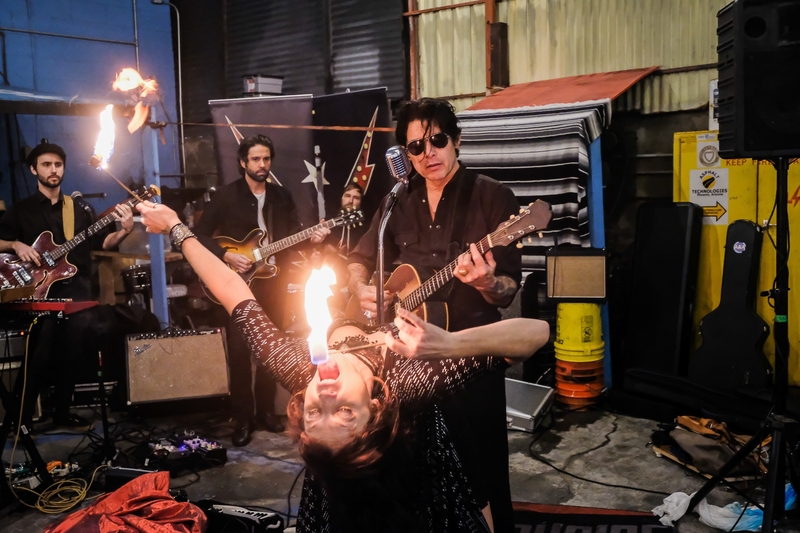 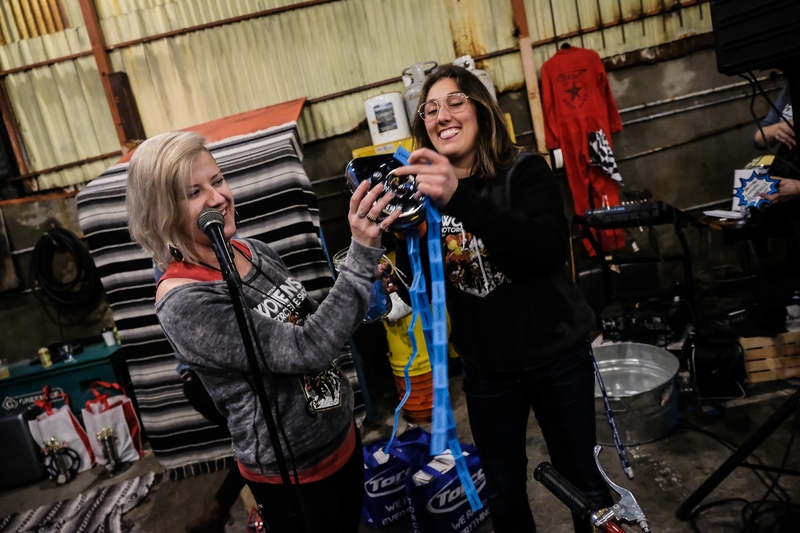 Joy Fire spent the show creating a sissy bar with help from the crowd! 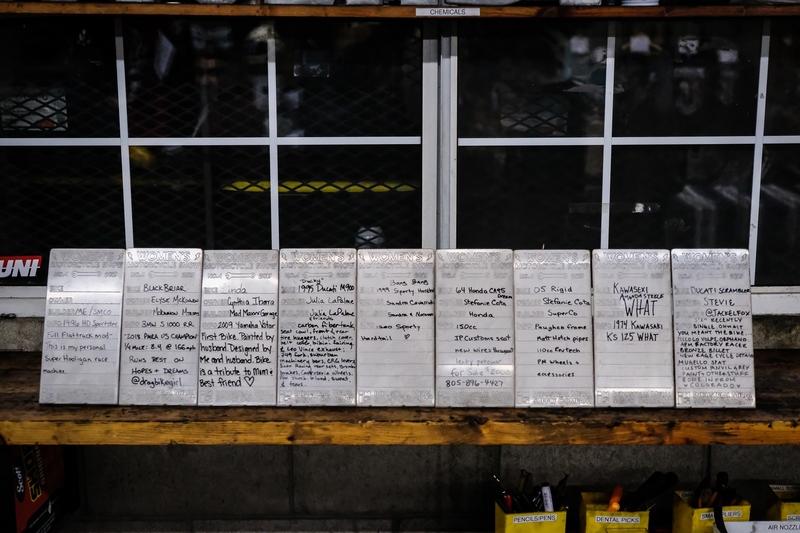 Our bands put on some great performances. 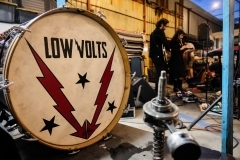 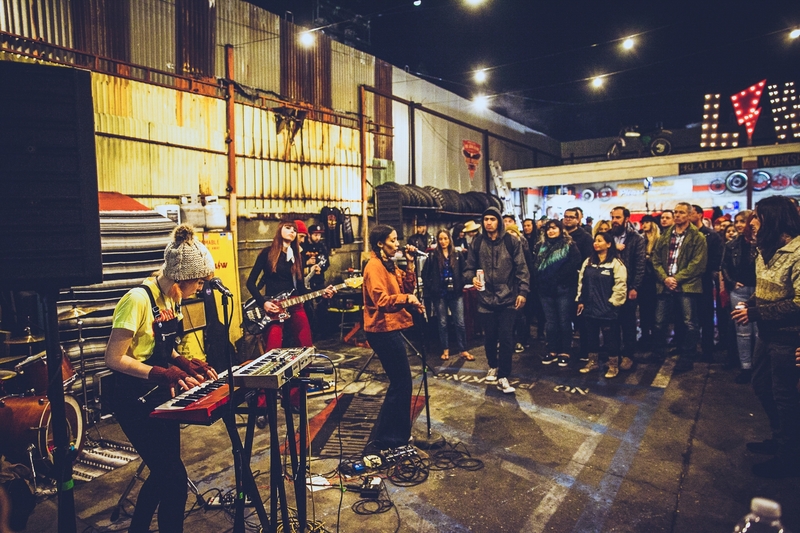 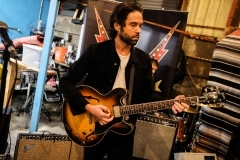 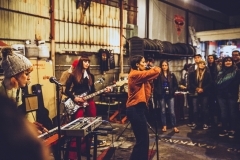 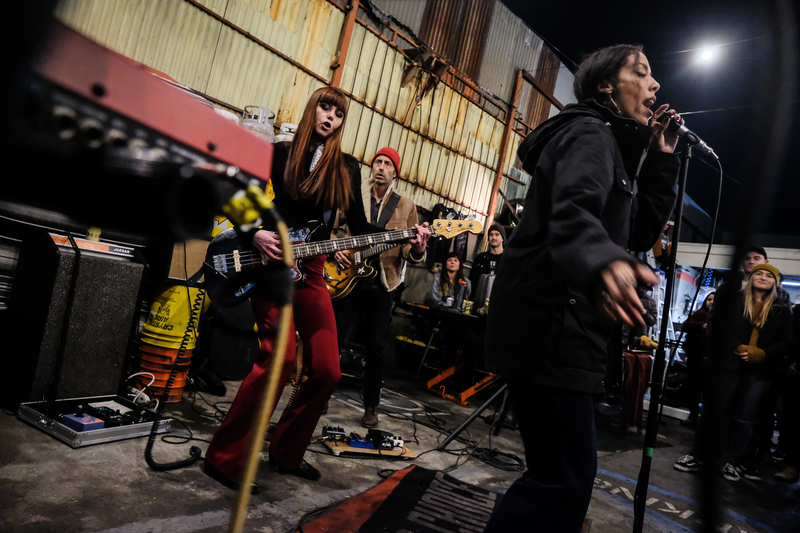 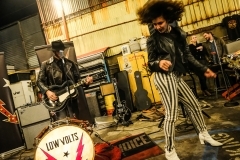 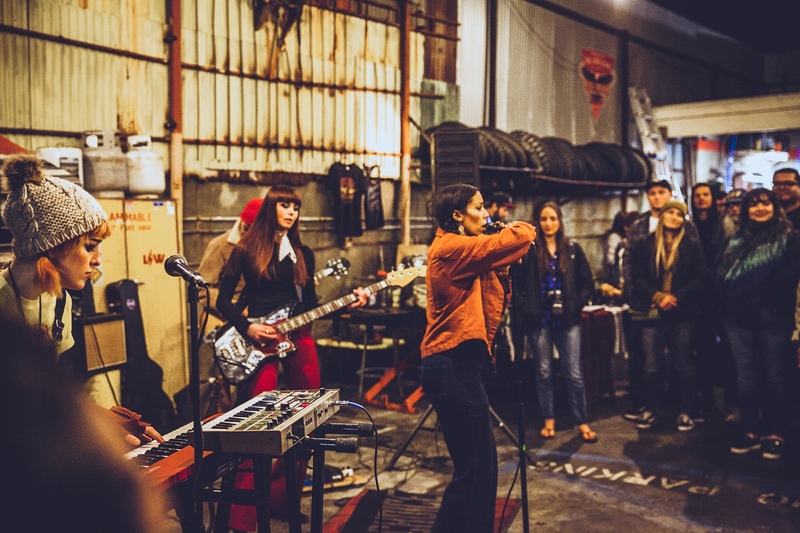 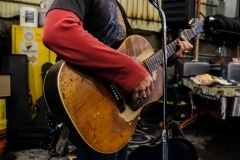 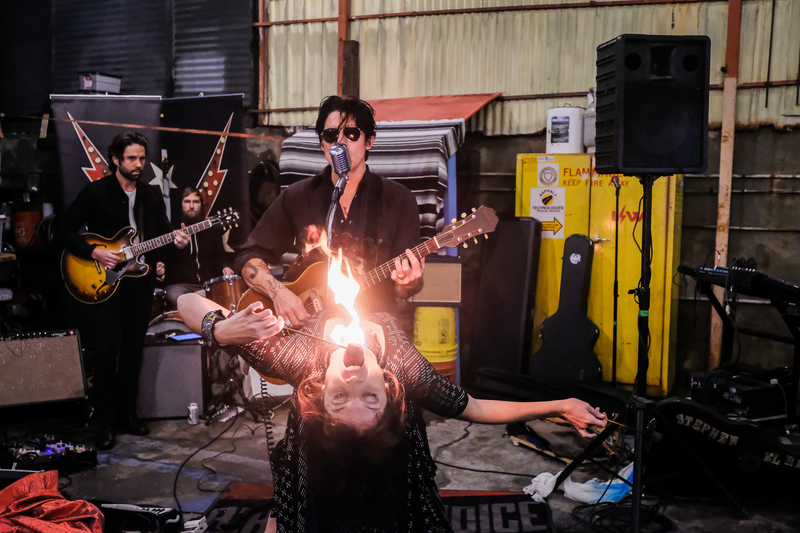 Big thanks again to Stephen El Rey, Low Volts, and Wargirl. 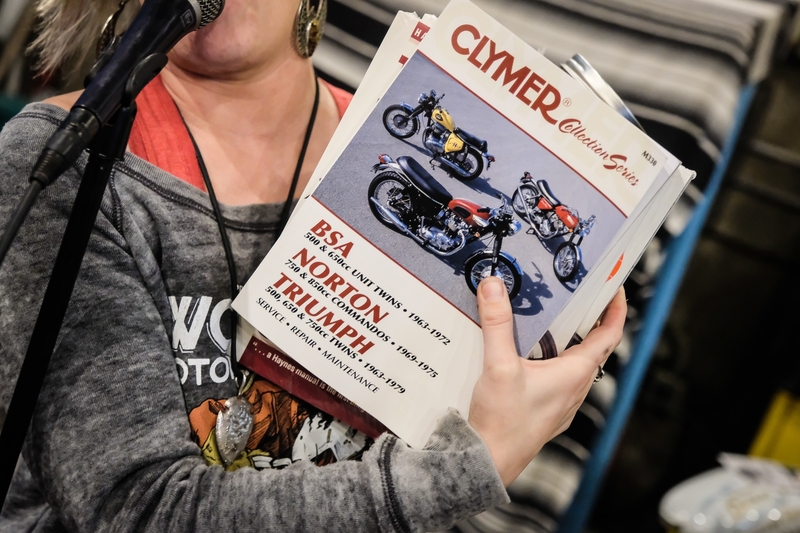 Our raffle had all sorts of good stuff! 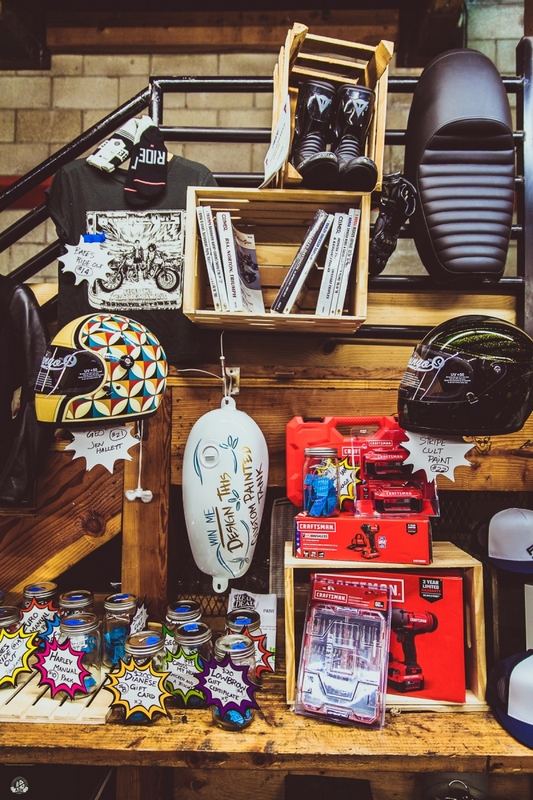 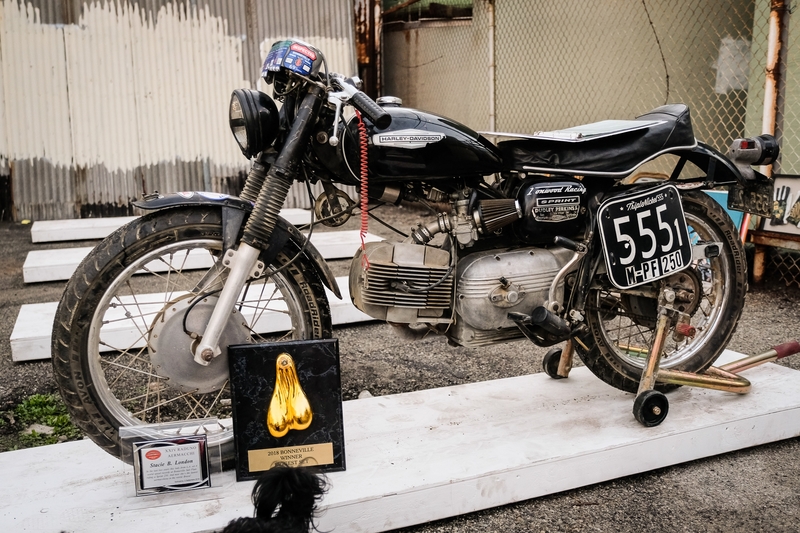 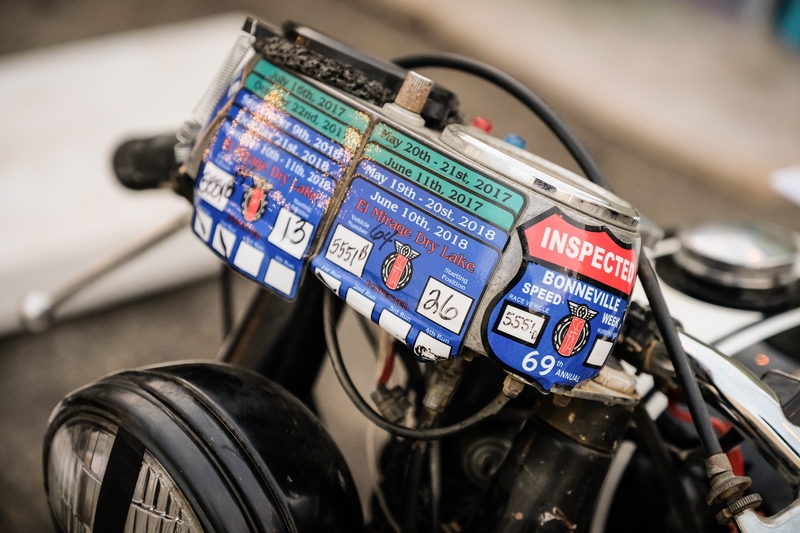 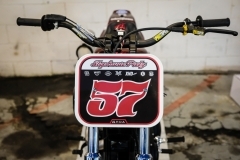 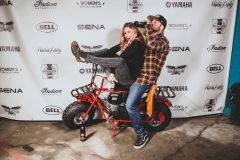 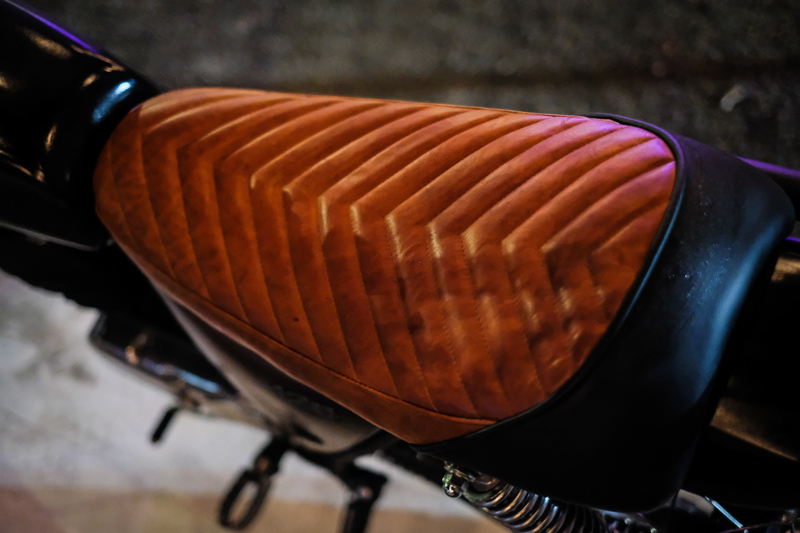 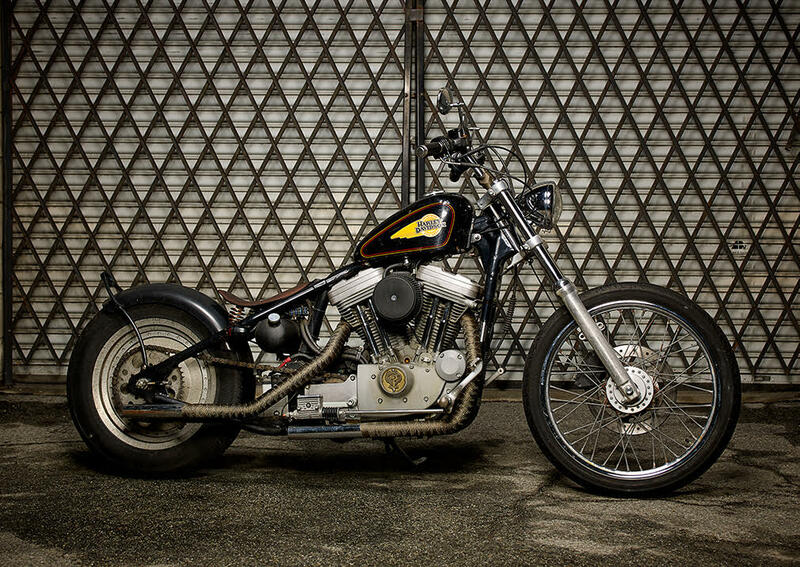 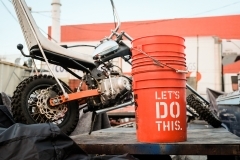 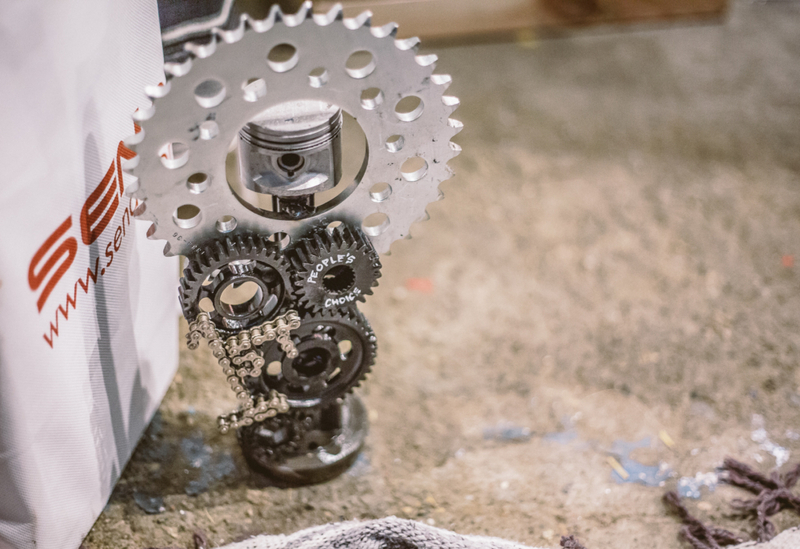 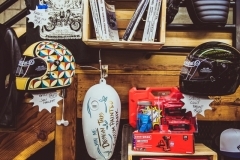 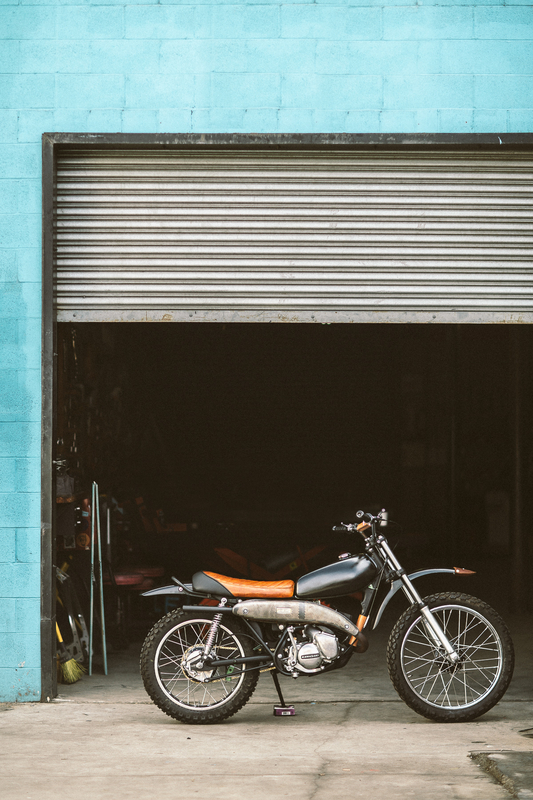 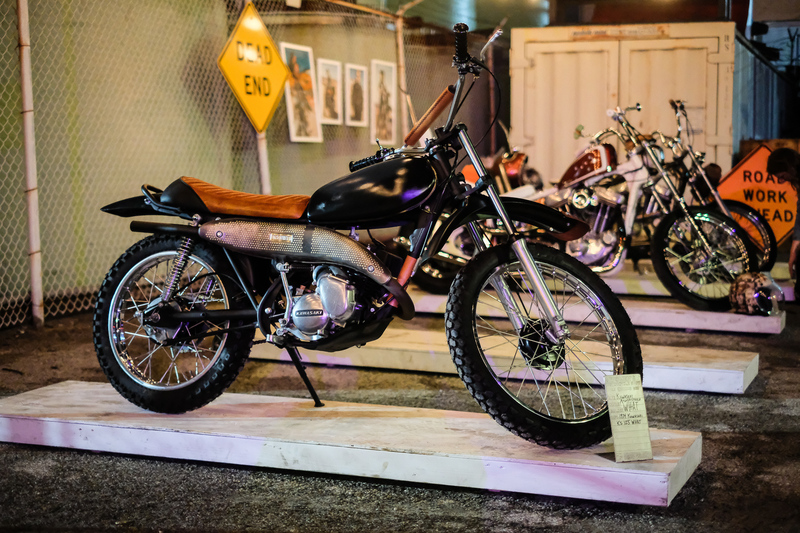 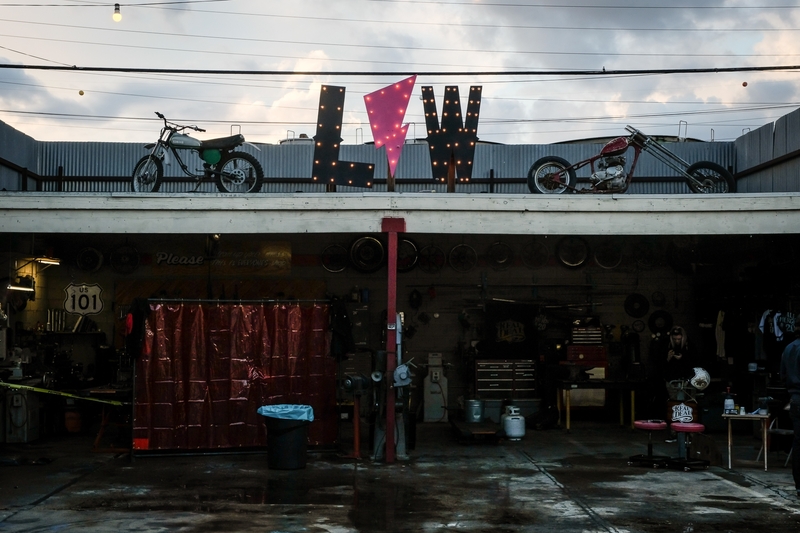 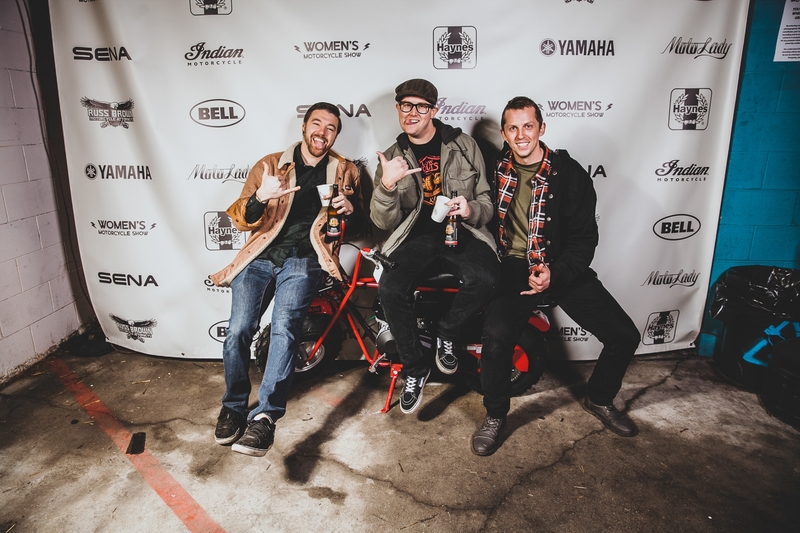 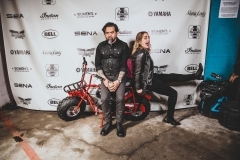 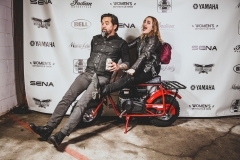 A brand new Coleman Minibike, Bell helmets, Sena 30k dual comm systems, gift certificates from Dainese, Lowbrow Customs, and Biltwell were just the tip of the iceberg. 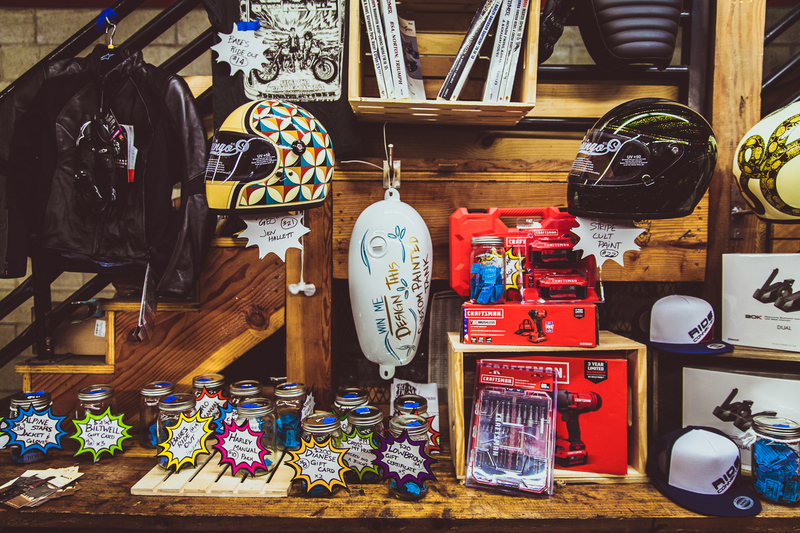 A whole kit of awesome tools from Craftsman, goodies from Babes Ride Out, and gear from Alpinestars. Not to mention Clymer Manuals, Honda Gear (including a MotoGP book signed by Marc Marquez and Dani Pedrosa), Roame Gear light up motorcycle shoes, Stellar Moto Brand mechanics suit, and a Lowbrow Customs banana tank that came with the custom paint job of your choice from Real Deal! 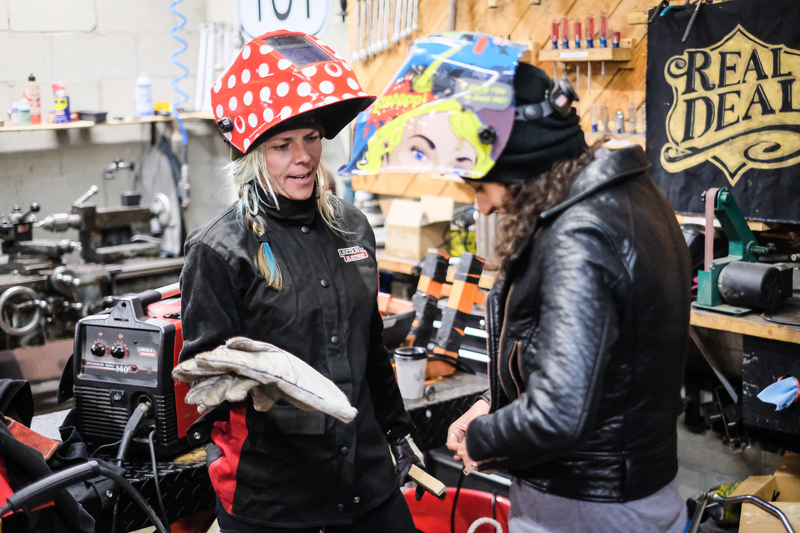 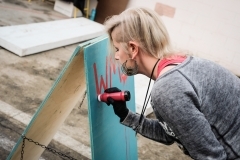 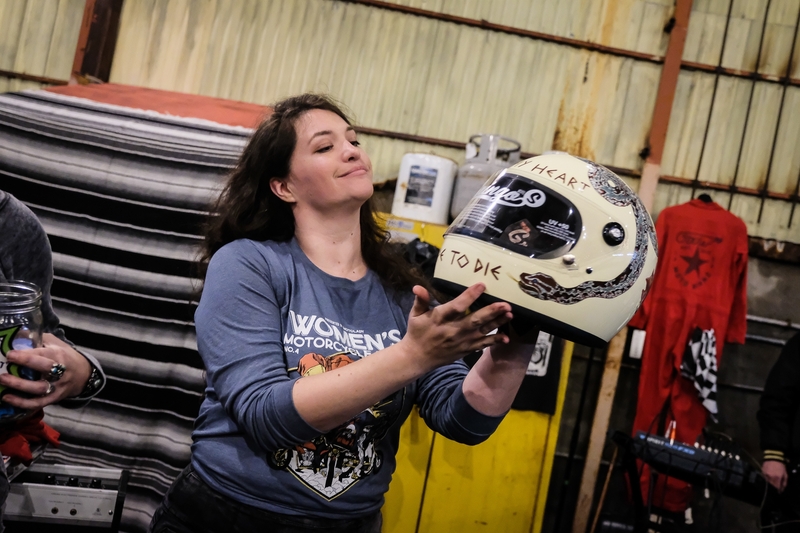 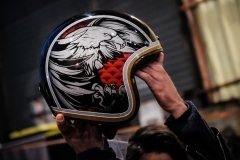 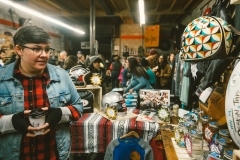 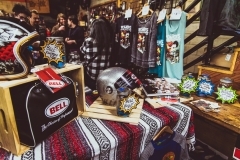 And don’t forget the three custom painted Biltwell Gringo S helmets by amazing women Paige Macy (IG @stripe_cult_painting), Jen Hallett (IG @jen_hallett_art), and Nicole Andrijauskas (IG @chicken_in_a_biscuit). 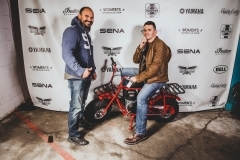 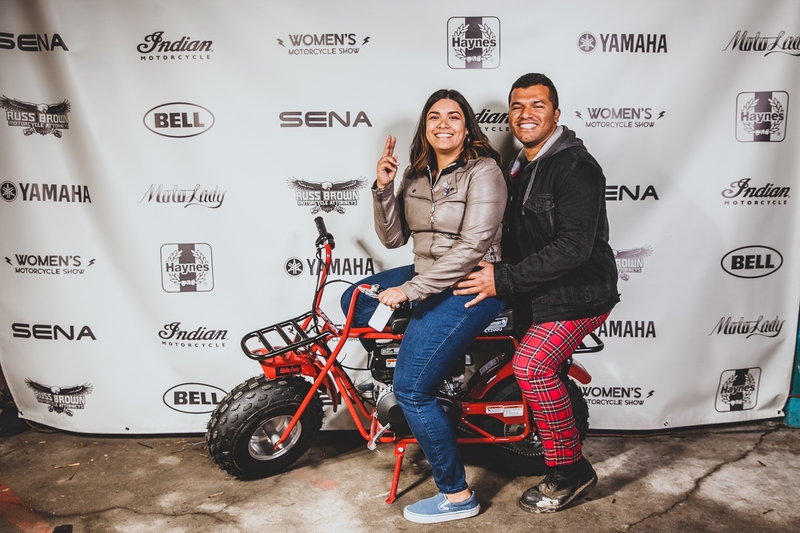 The super stoked winner of the Coleman minibike! 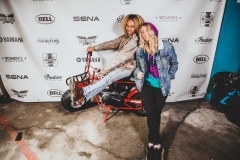 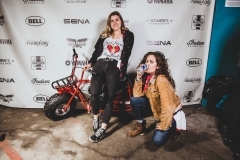 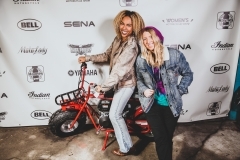 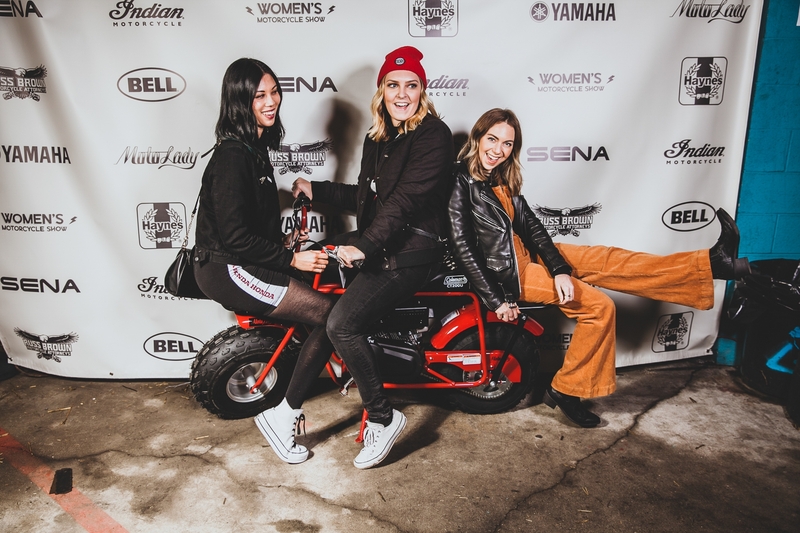 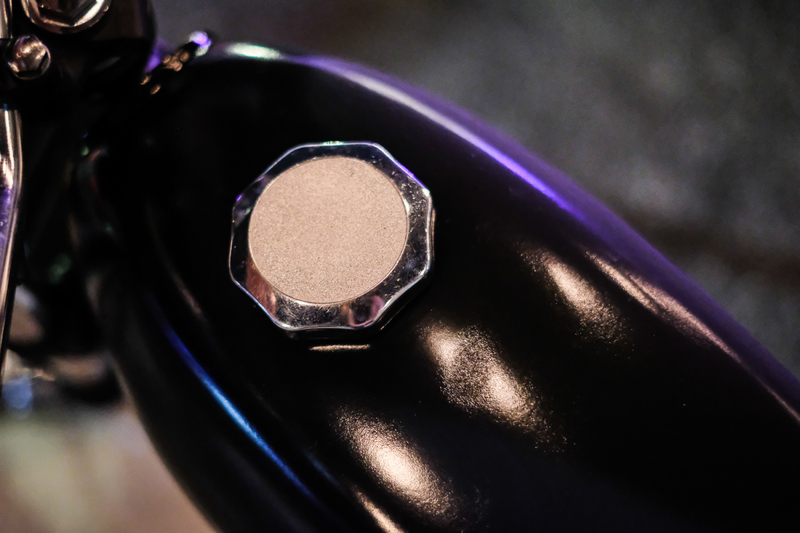 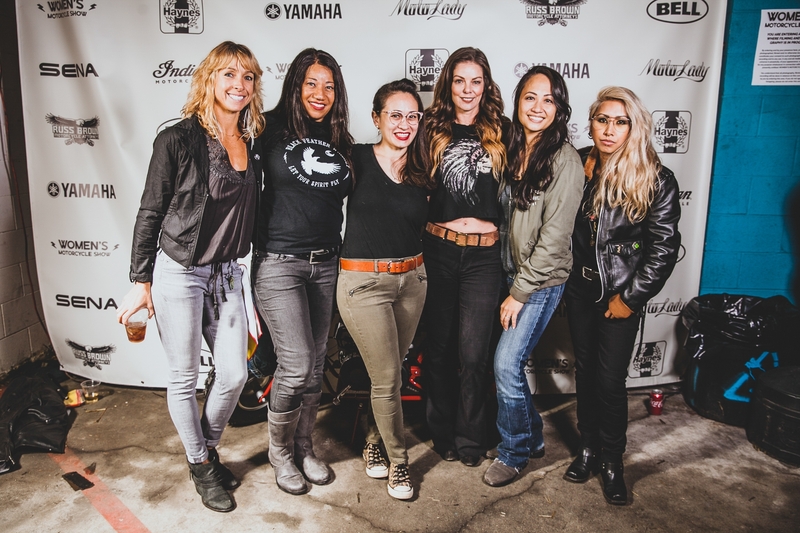 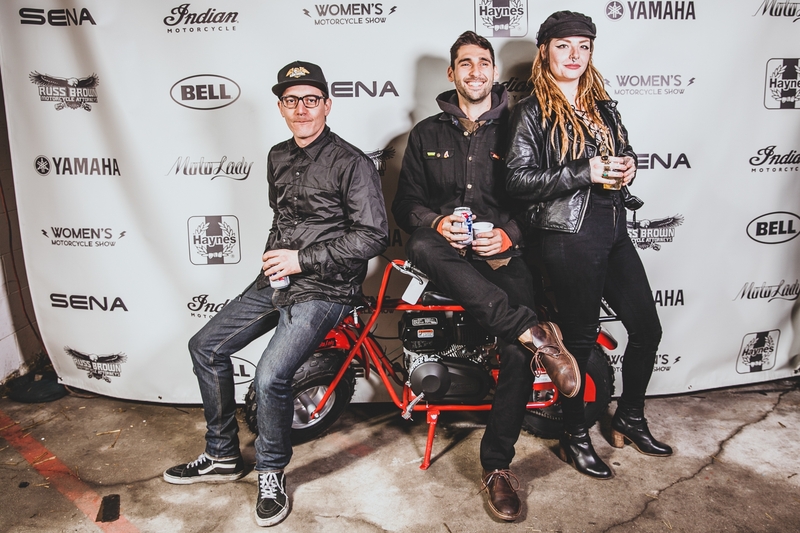 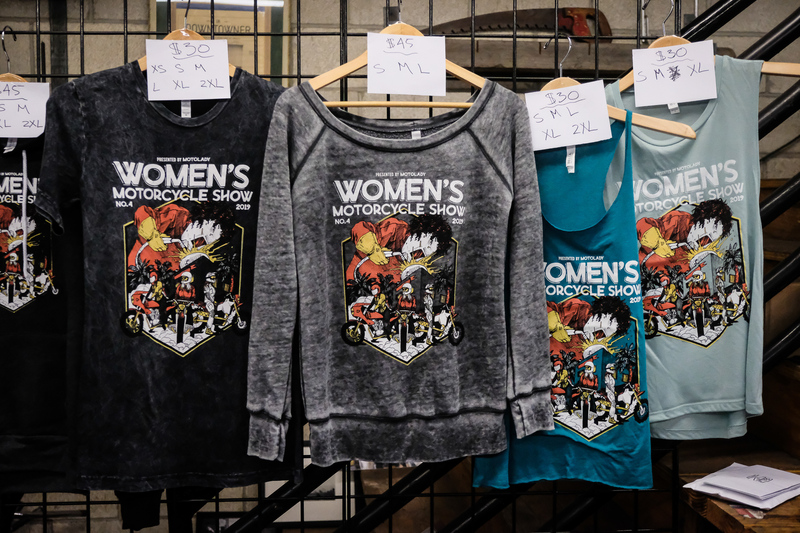 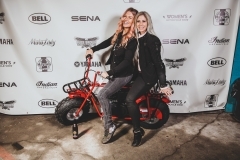 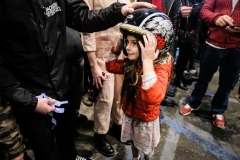 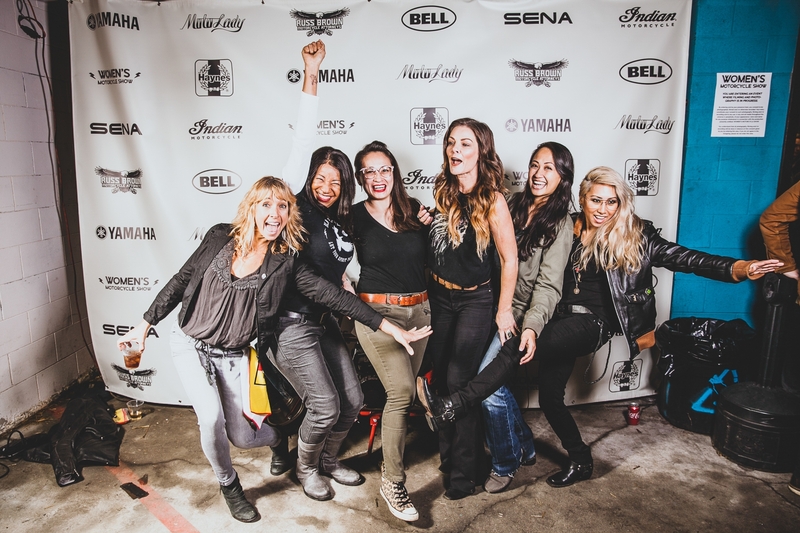 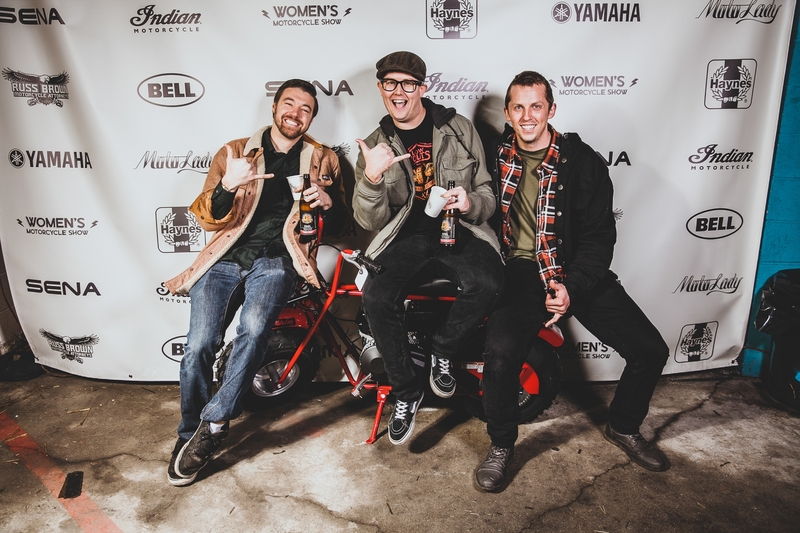 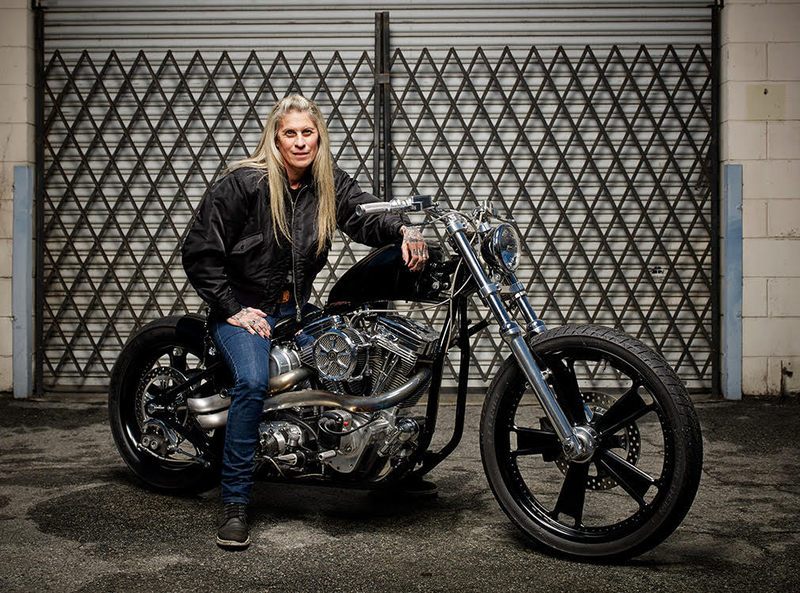 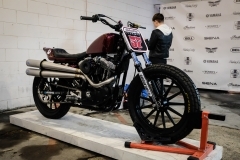 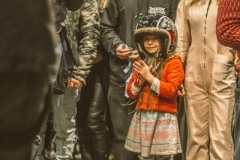 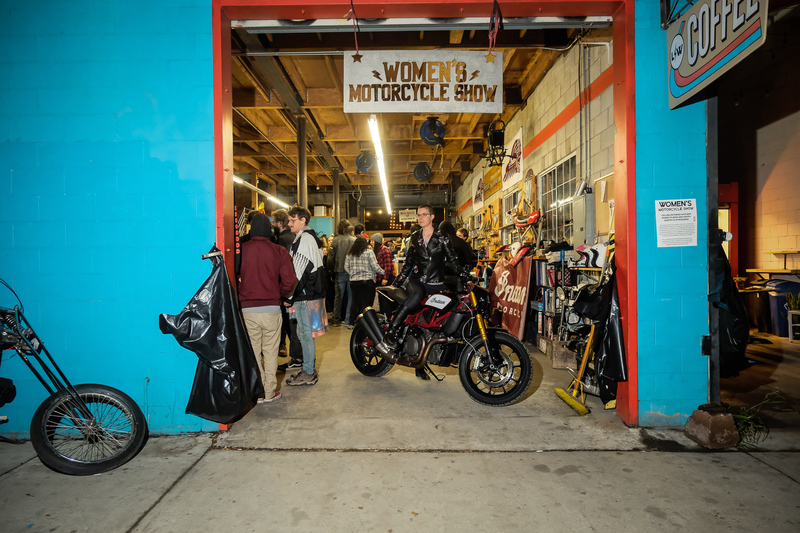 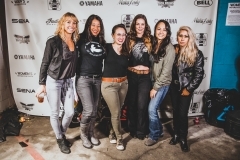 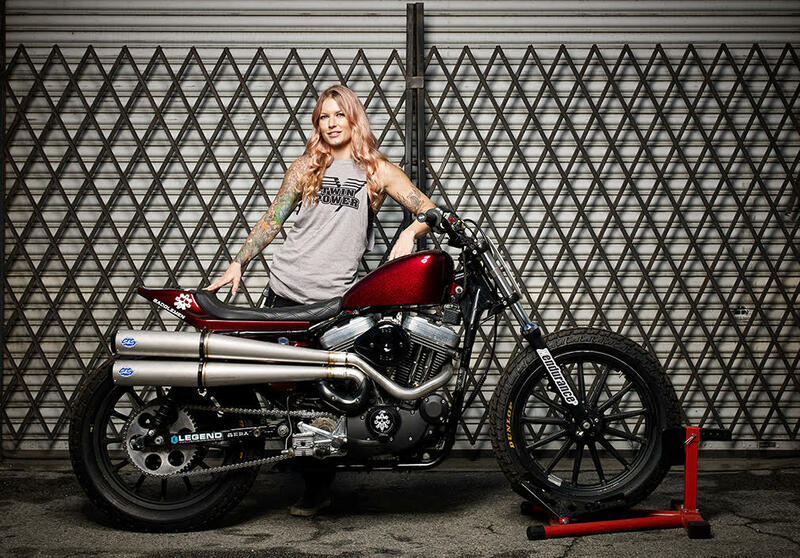 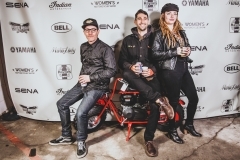 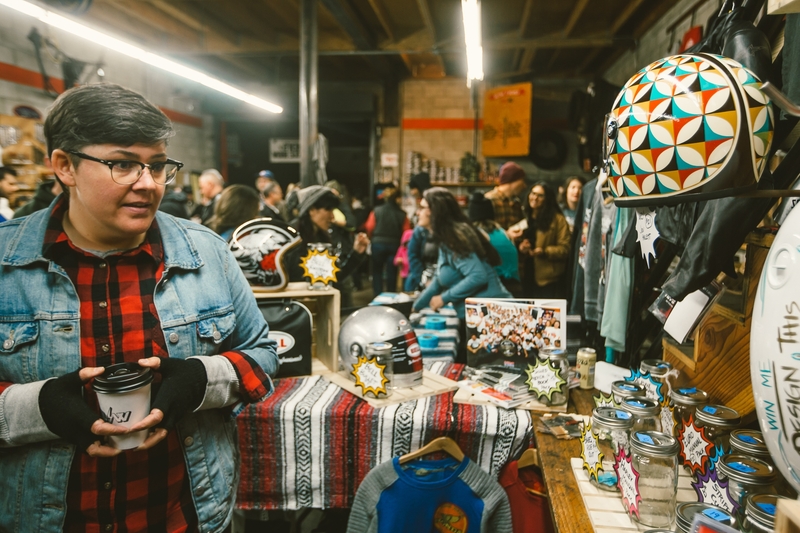 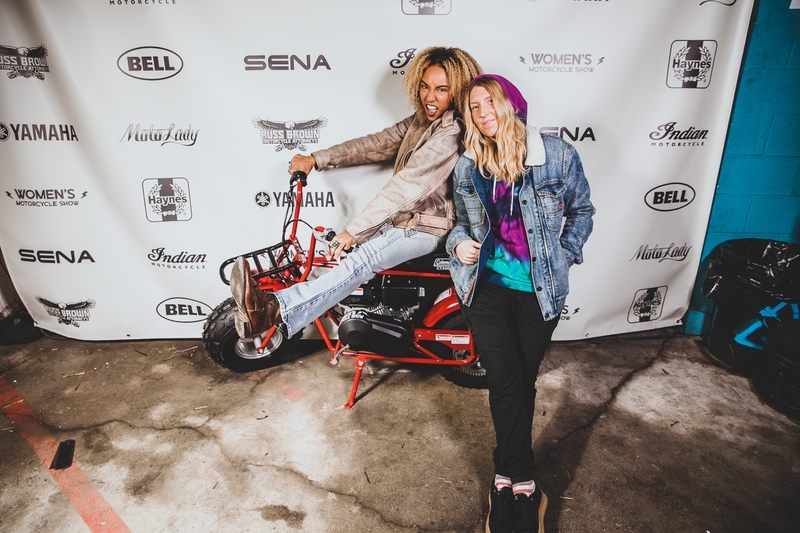 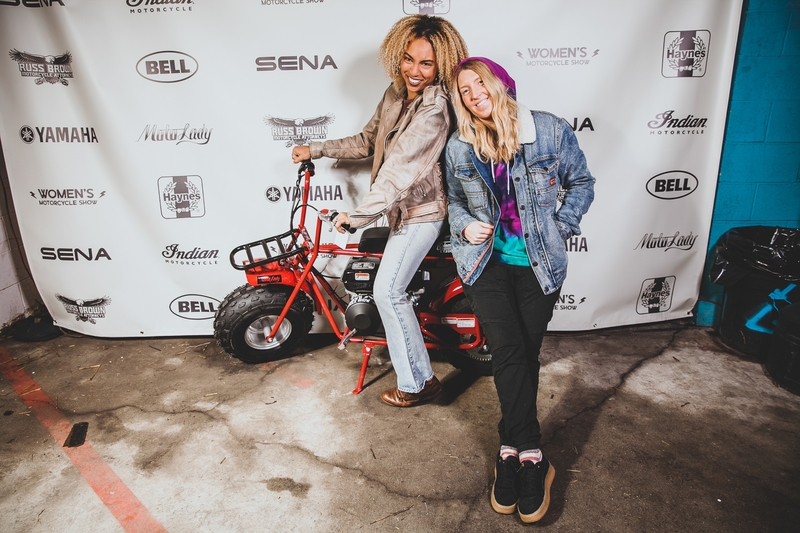 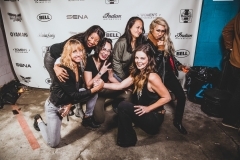 Women’s Motorcycle Show apparel was taken up a peg or two this year, with five options– a hoodie, wide neck sweater, distressed tee, racerback tank top, and muscle tank with low cut sides. 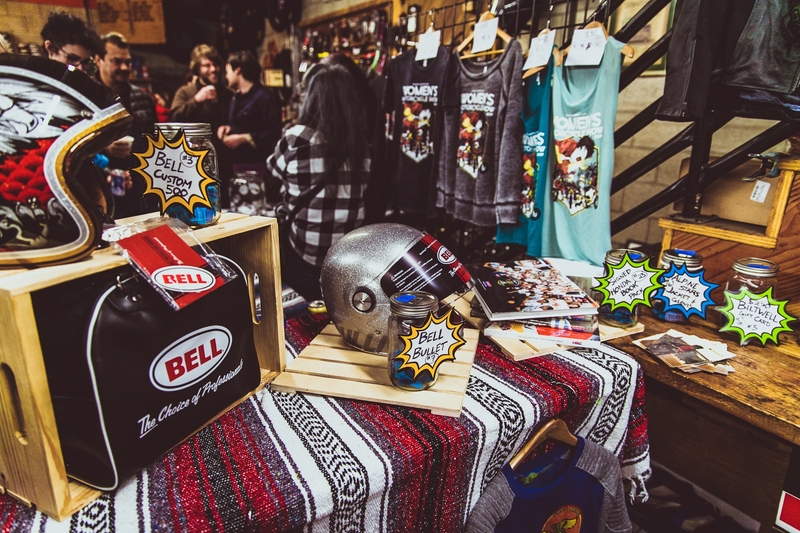 We still have some available, send us a message if you’d like to pick up your own! 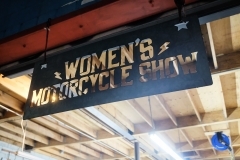 The new Indian Motorcycle FTR under the WMS sign at the Lucky Wheels entrance! 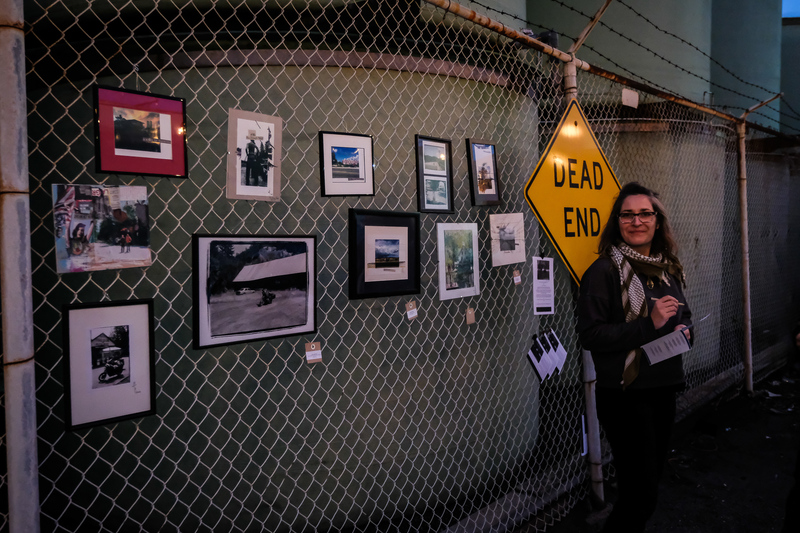 Our 60-foot art gallery wall featured work from Hamerred, Elizabeth Raab, Jessie Gentry, and more! 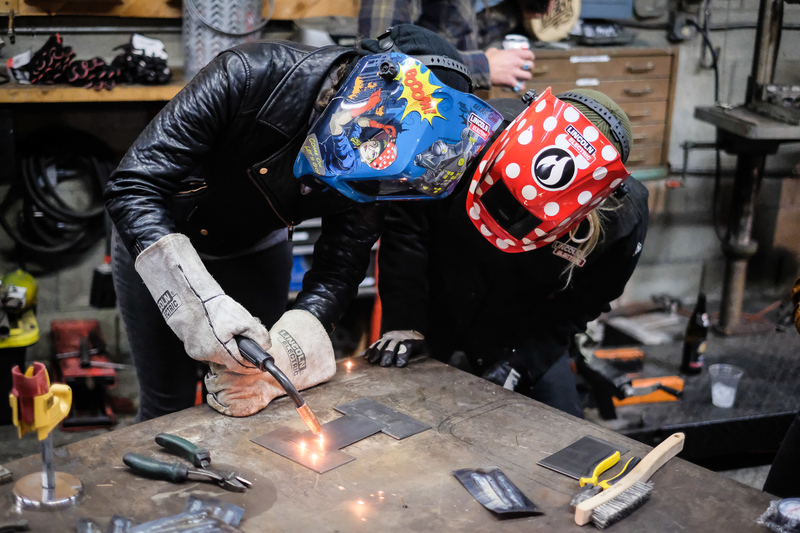 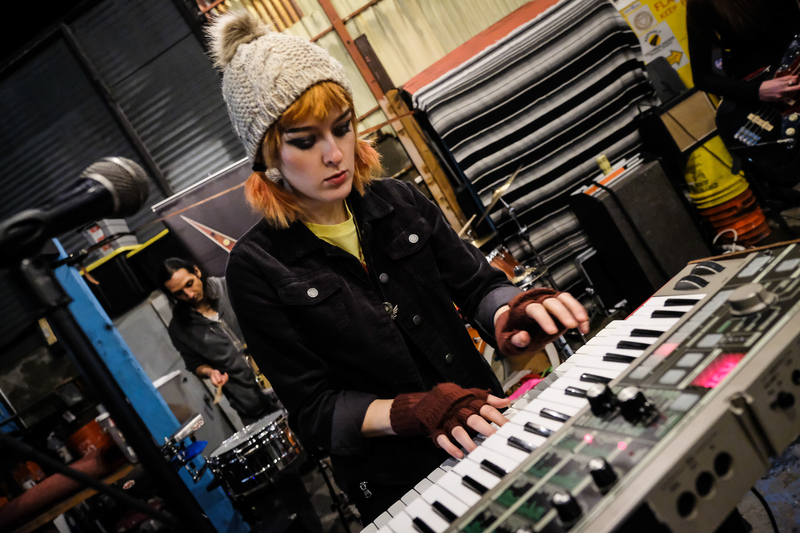 One of the coolest things about this show for us is seeing women come together to build and create awesome works. Amanda Steele (IG @jwhatsaidwhat) started her build 38 days before the show, putting on the finishing touches the day-of at Lucky Wheels. 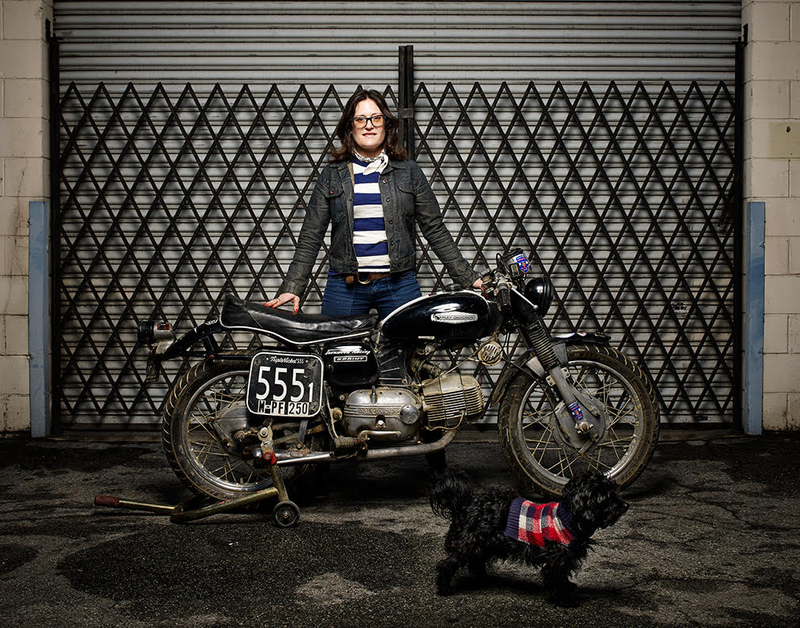 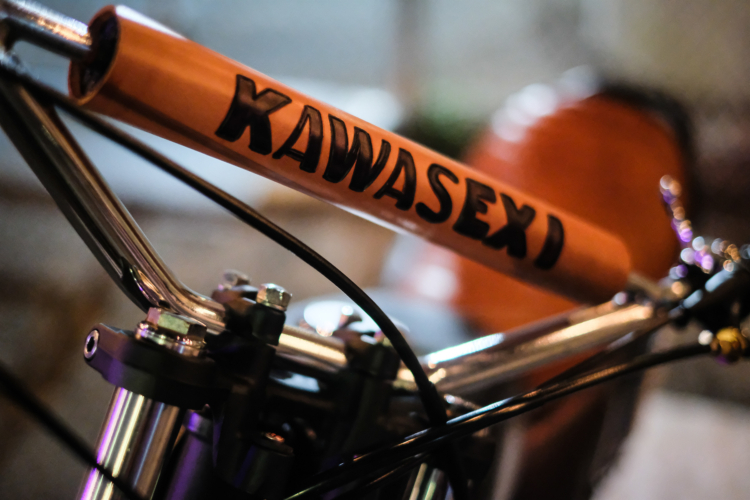 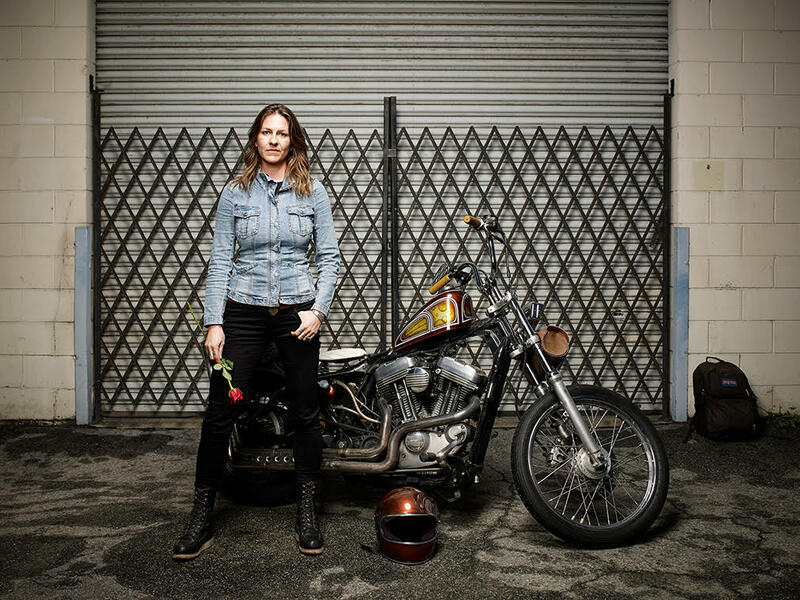 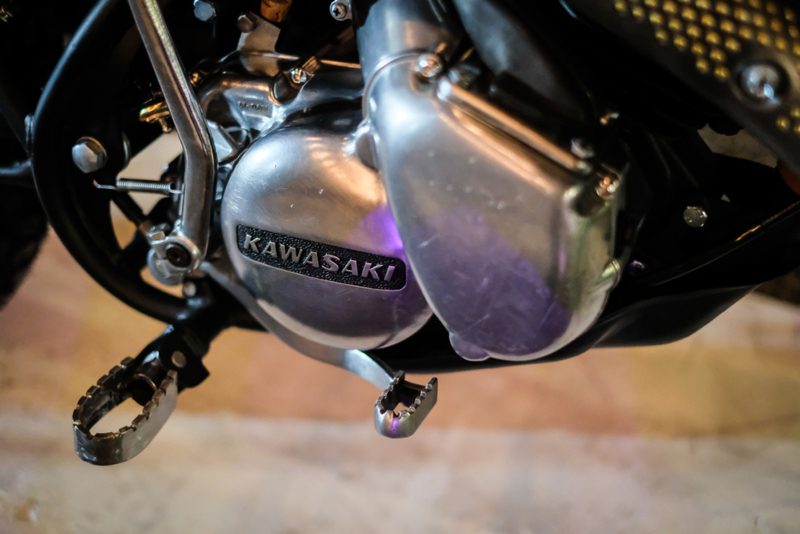 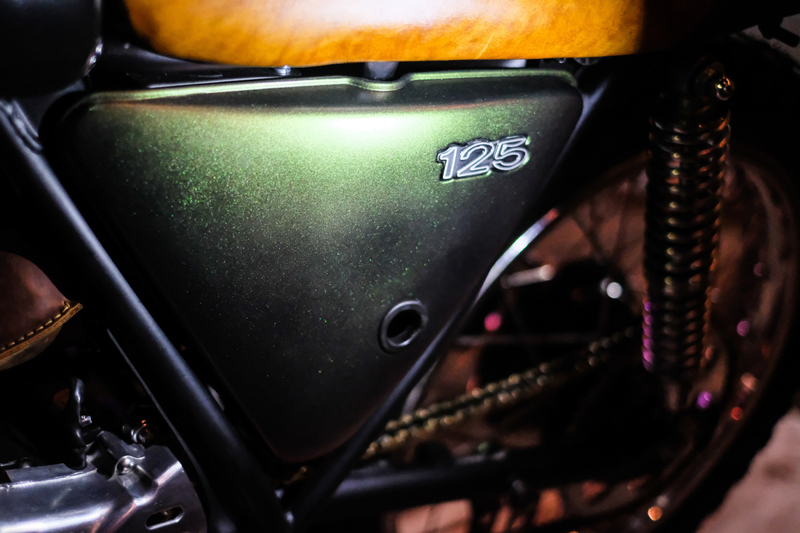 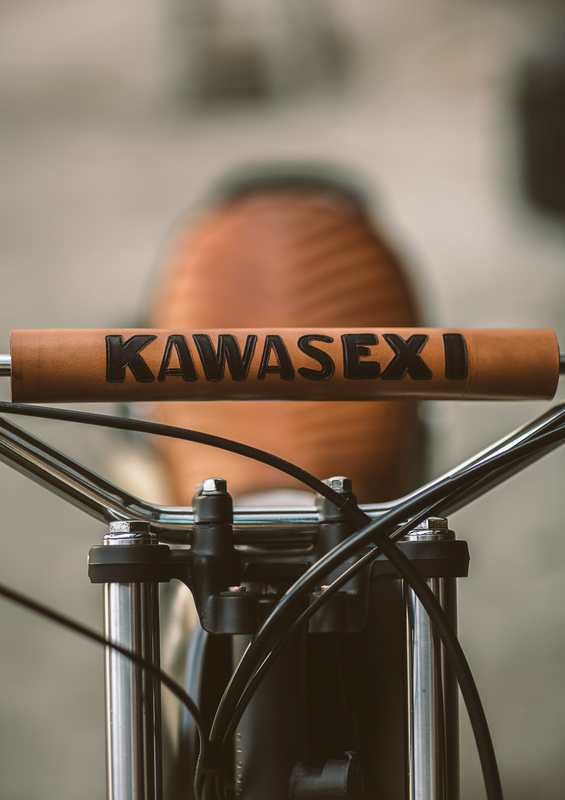 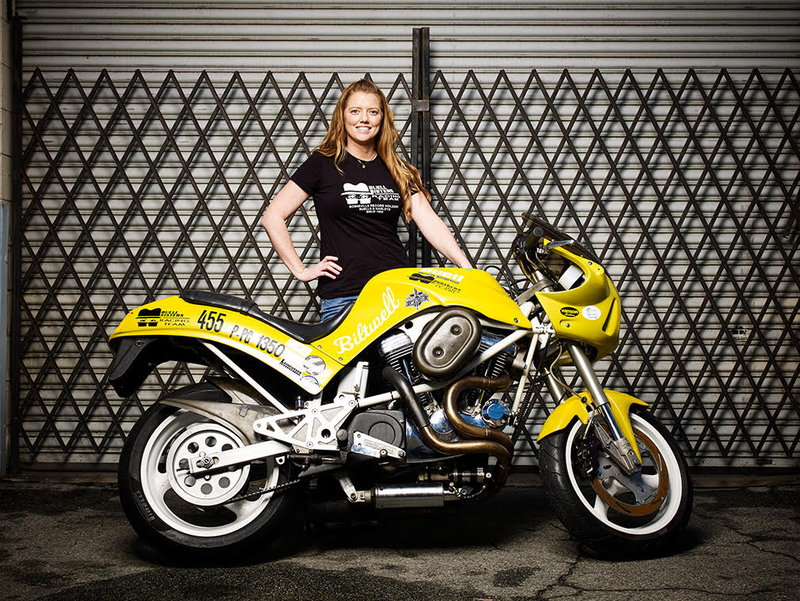 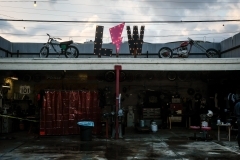 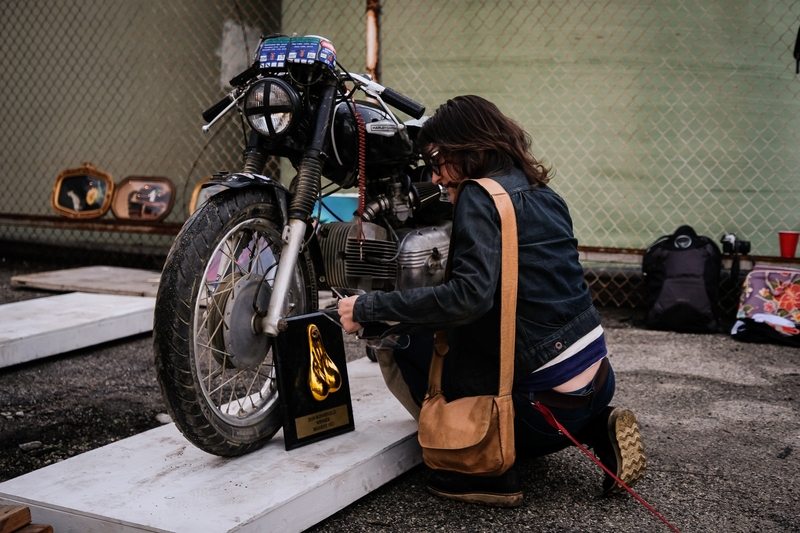 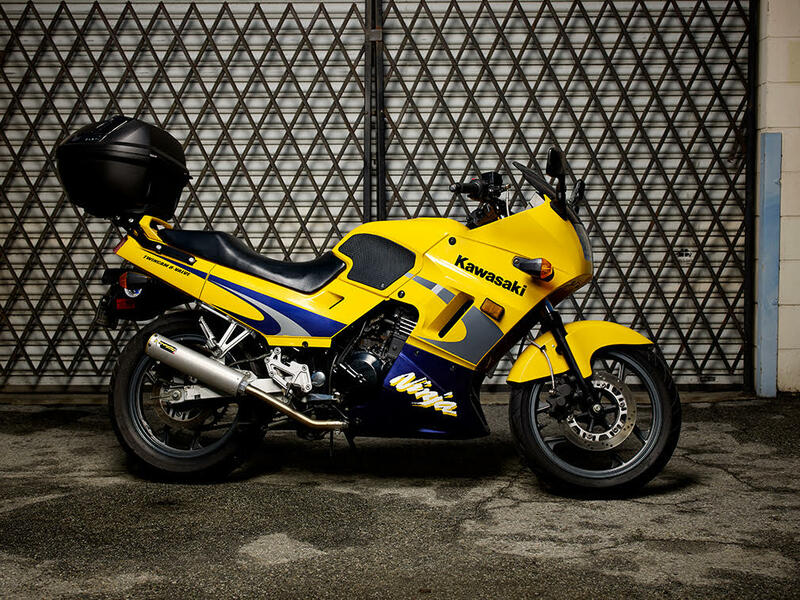 She traveled from Denver, Colorado with her custom Kawasaki 125, named the Kawasexi (or the 127WHAT). 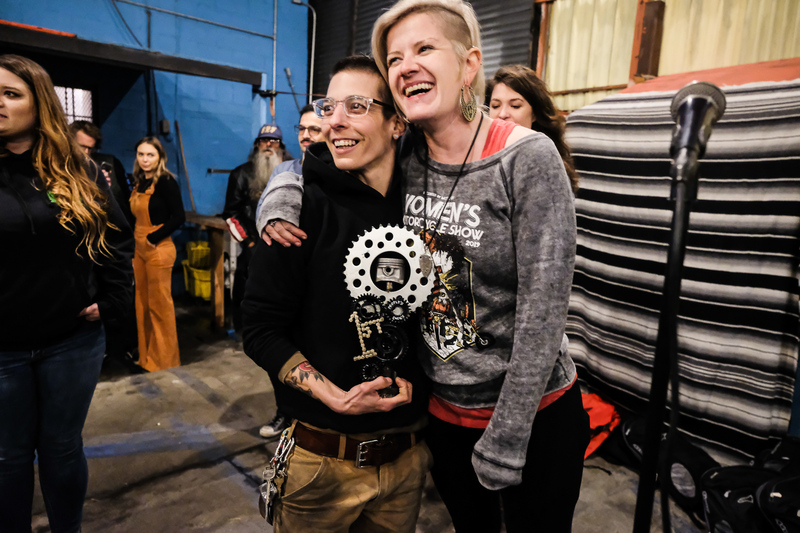 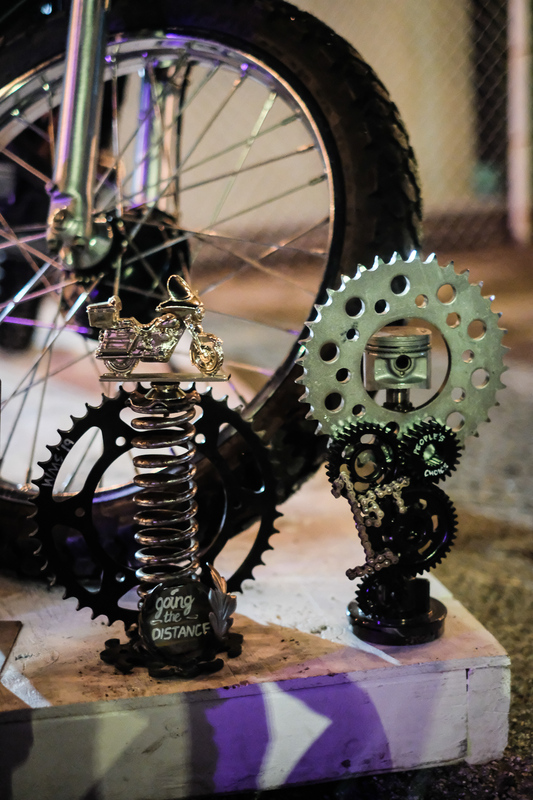 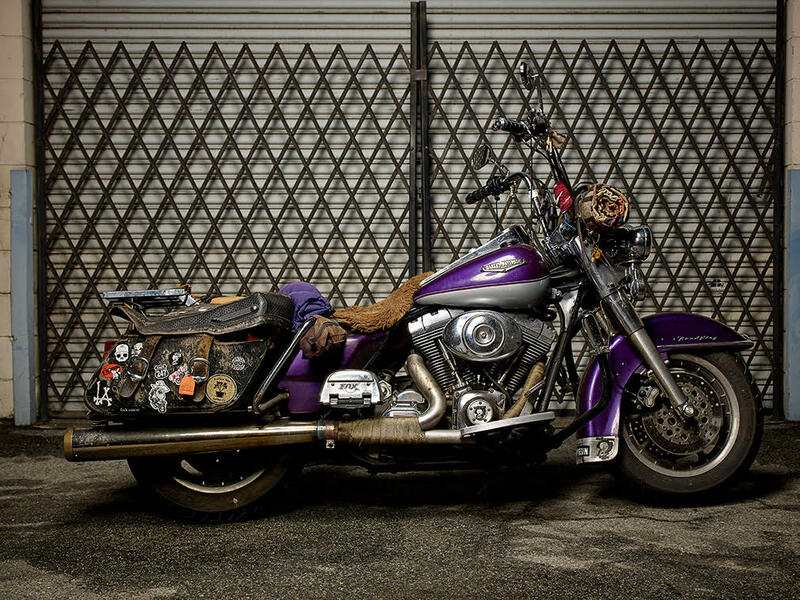 This effort won her the Going the Distance Award (for longest trek with a showbike), and People’s Choice! 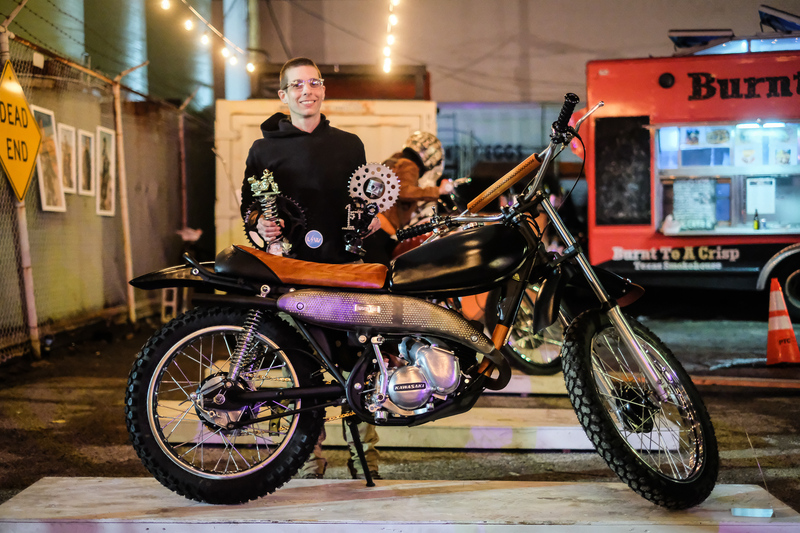 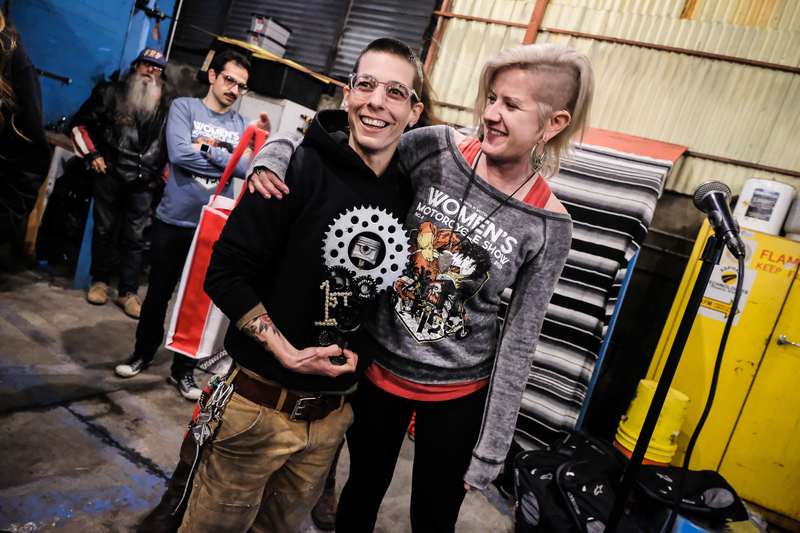 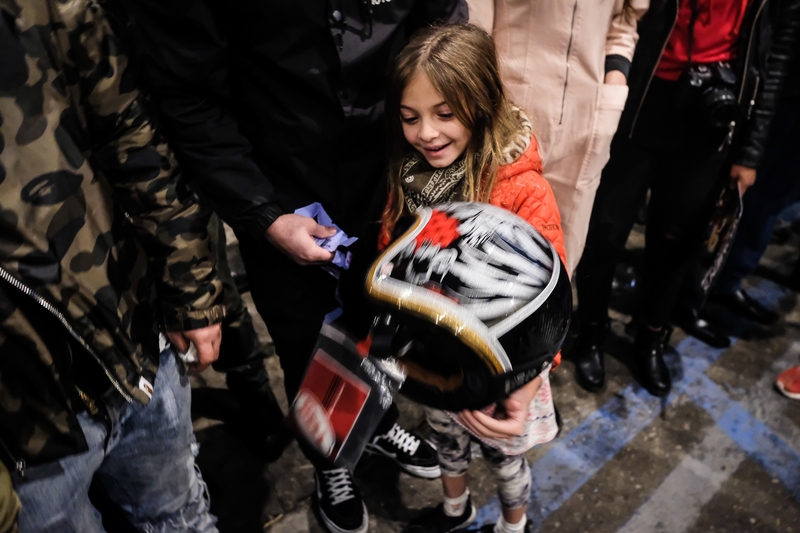 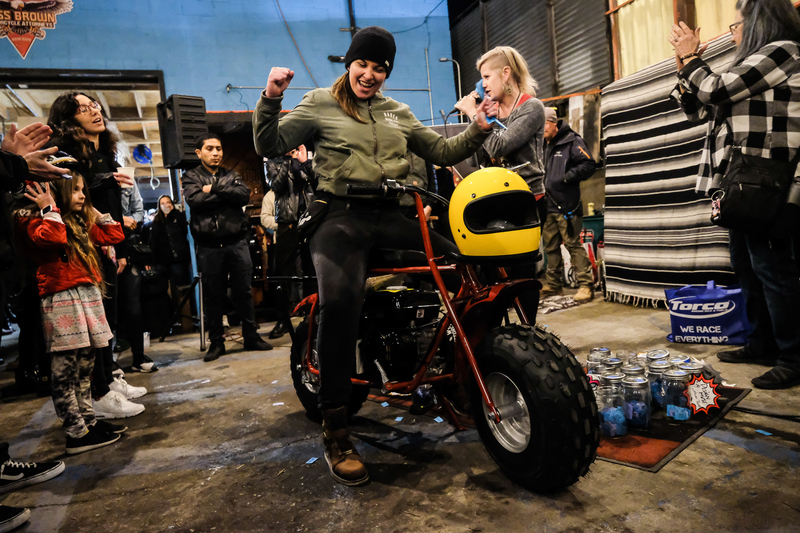 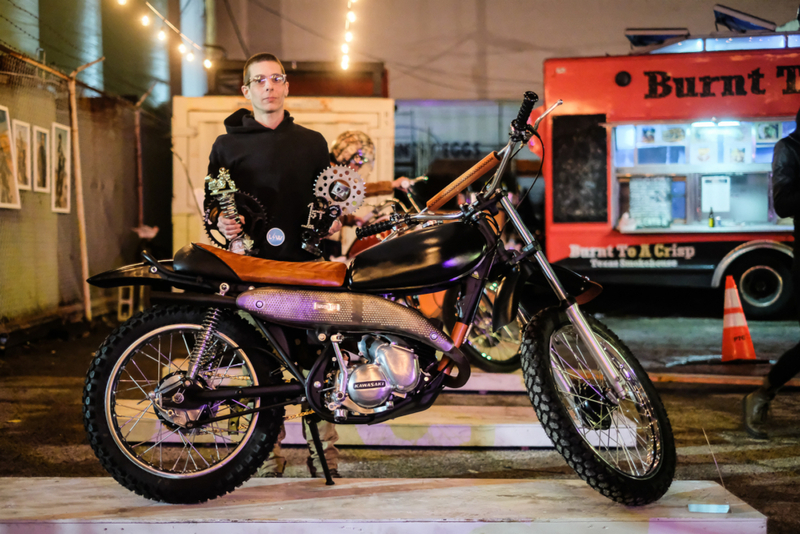 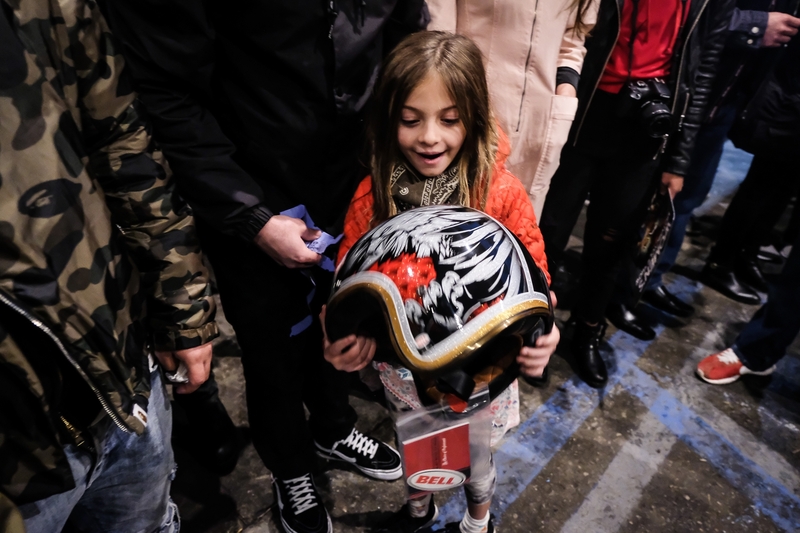 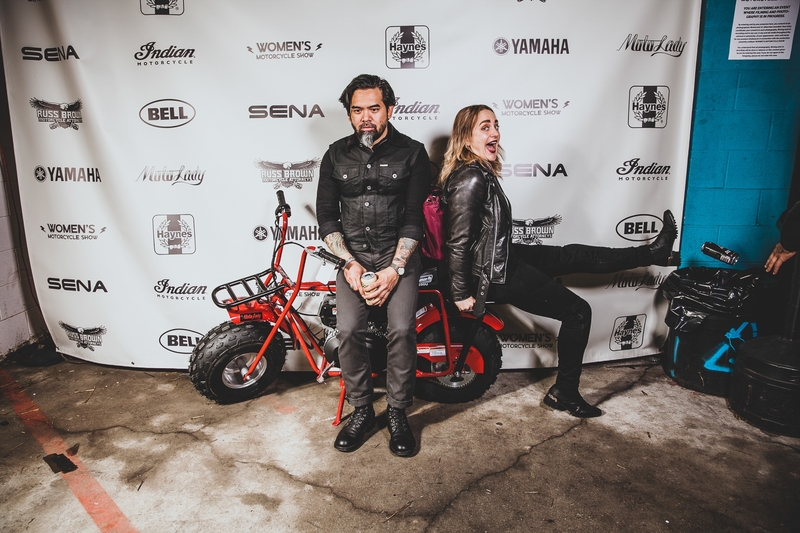 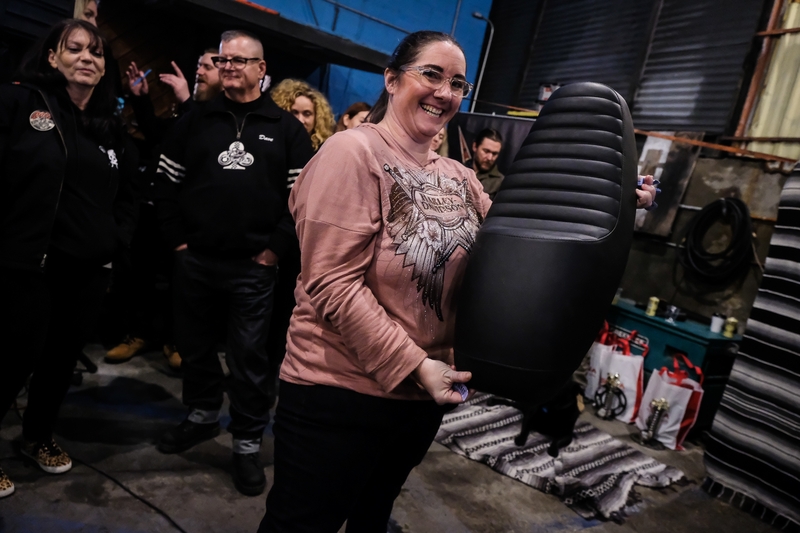 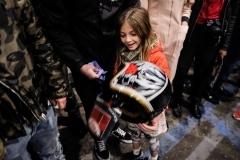 Thanks to Coleman, Amanda also took home a brand new minibike along with her People’s Choice trophy made by Sofi Tsingos of GT-Moto. 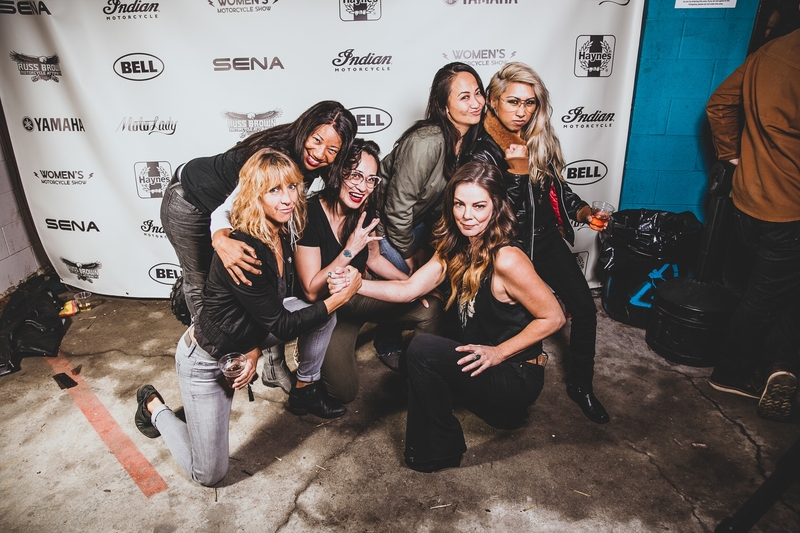 We are so looking forward to seeing all the projects you awesome ladies get on for next year, can’t wait for the big year five! 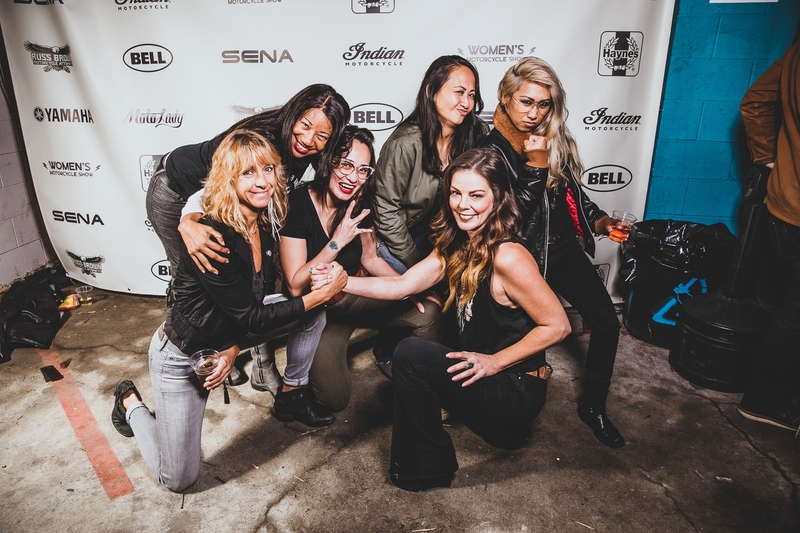 Take a peek at the rest of the photos (and photobooth shots) below! And now for the photobooth photos from Mariya Stangl. 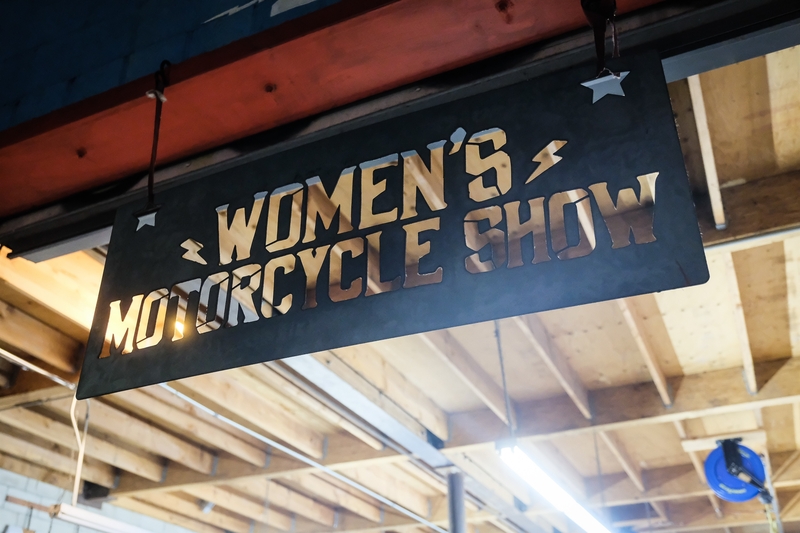 Stay tuned for the full video, And we can’t wait to see you next year! 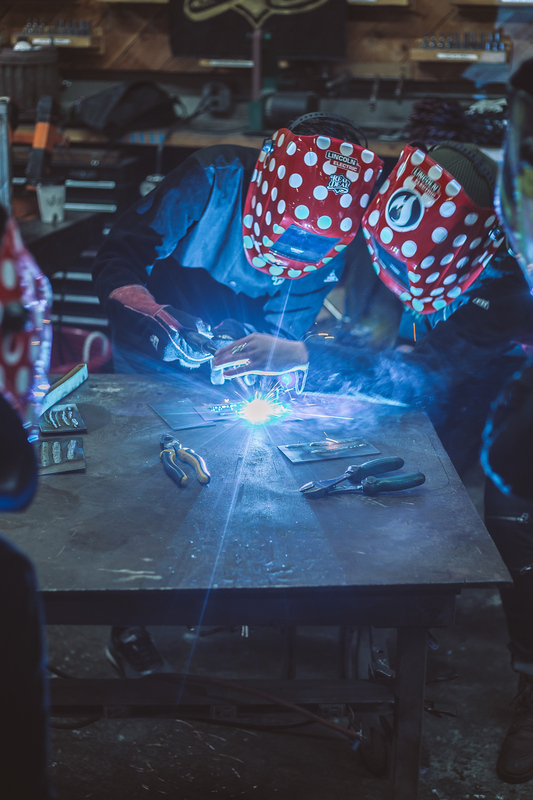 Want to get involved with year five? Send us a message!